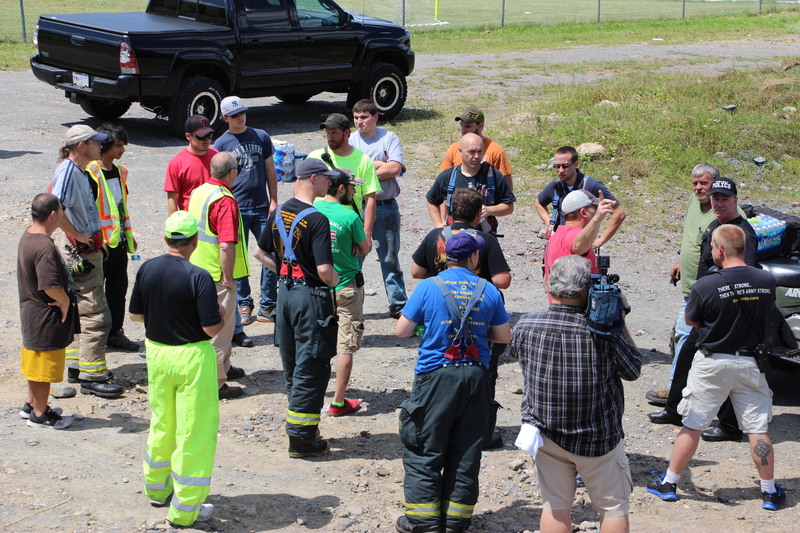 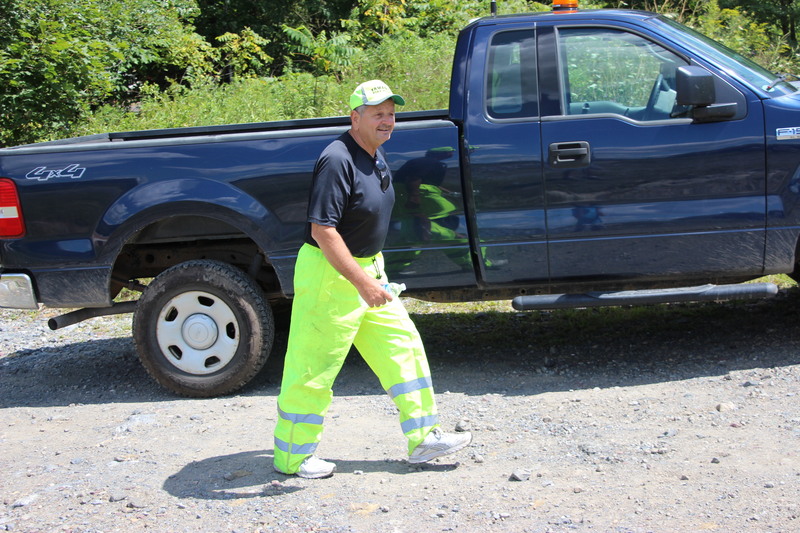 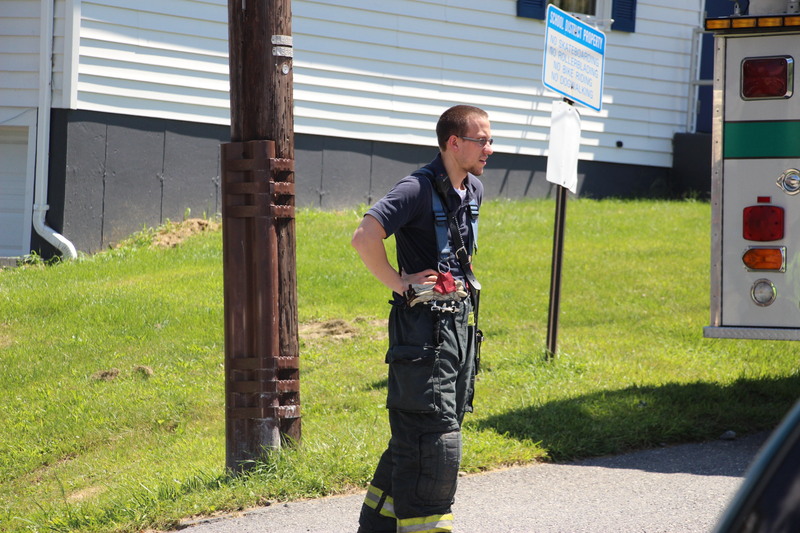 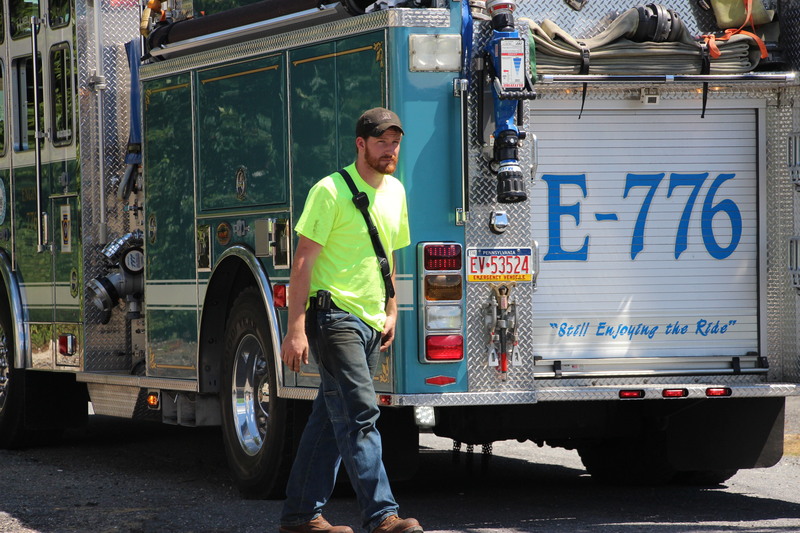 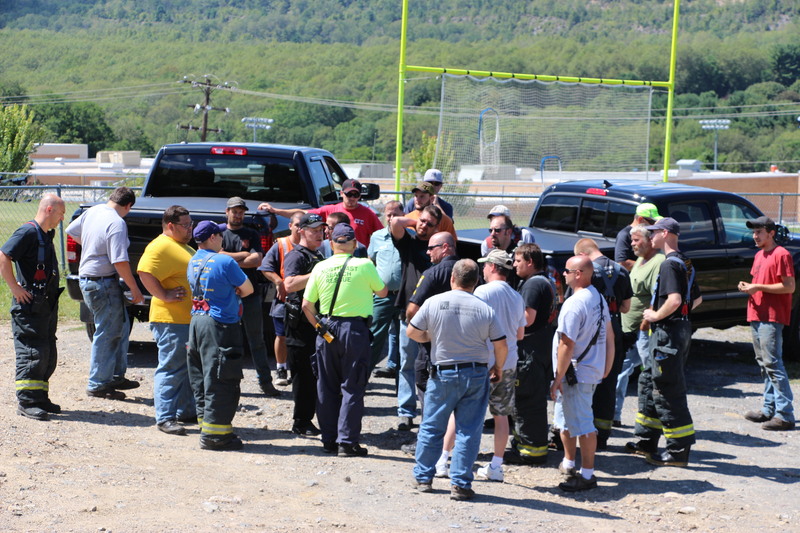 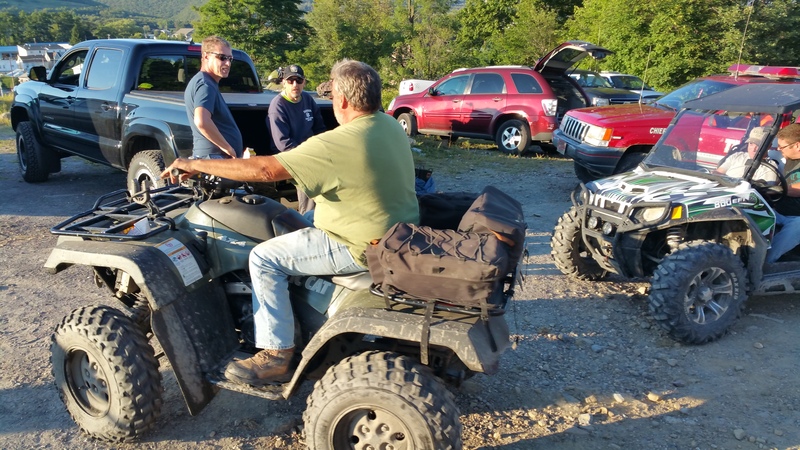 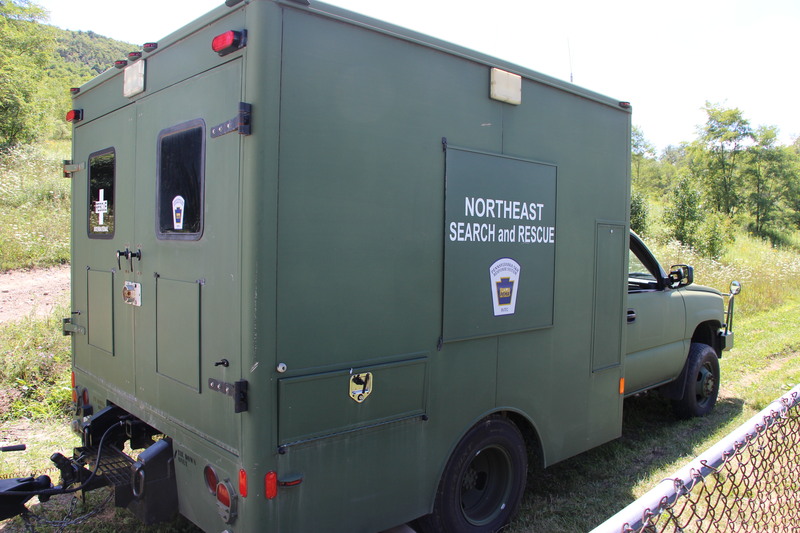 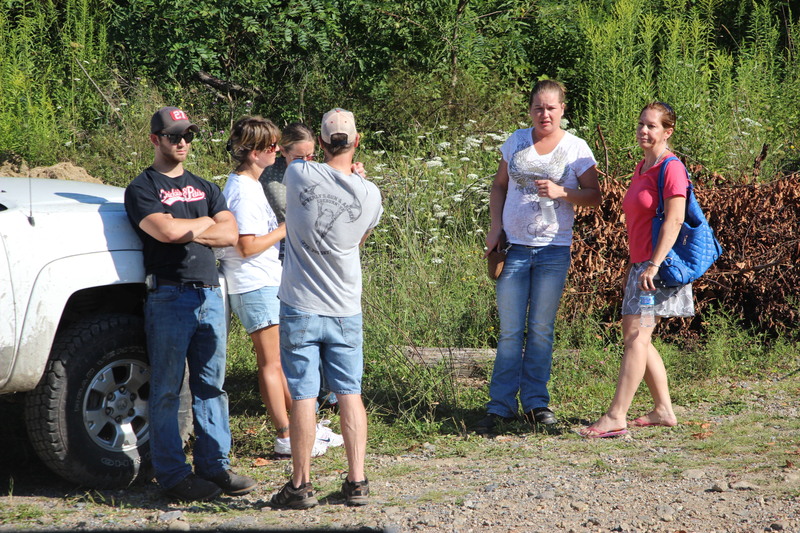 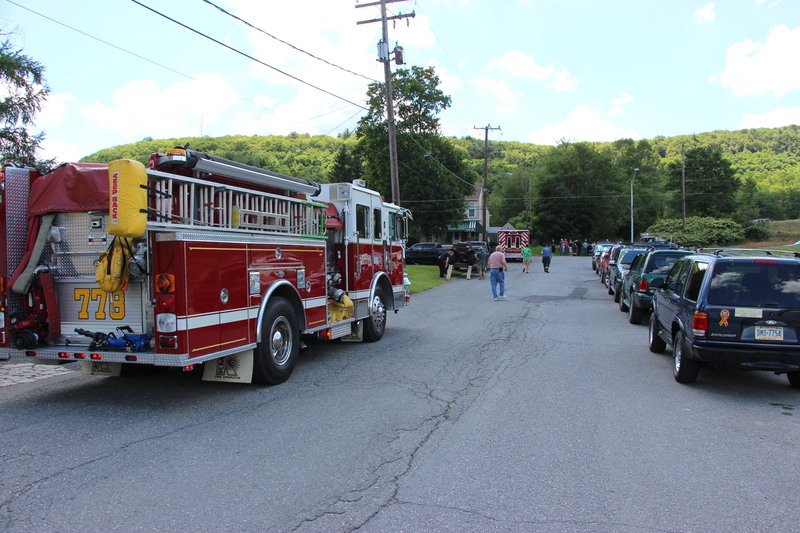 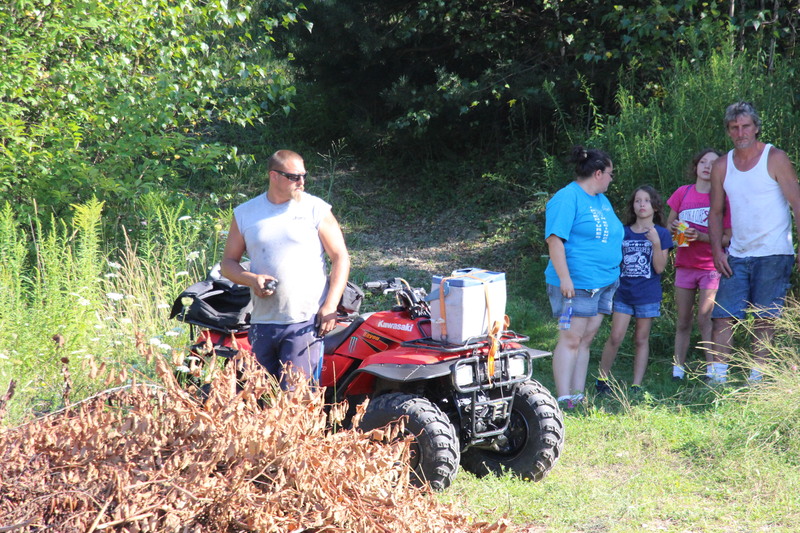 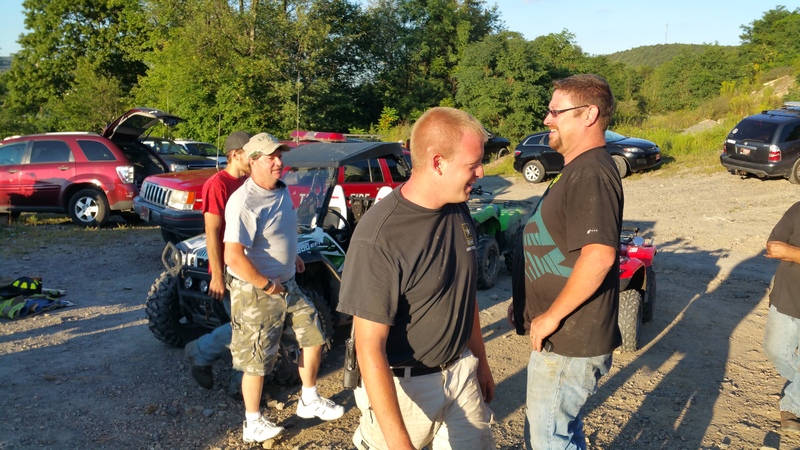 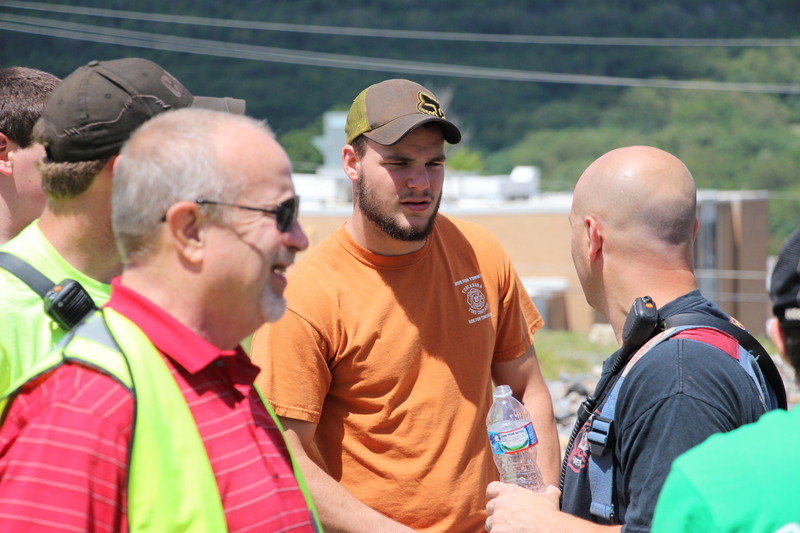 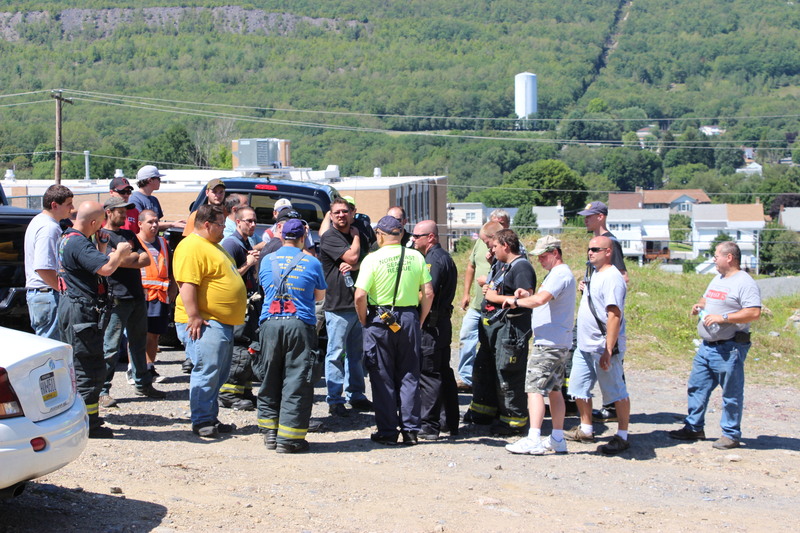 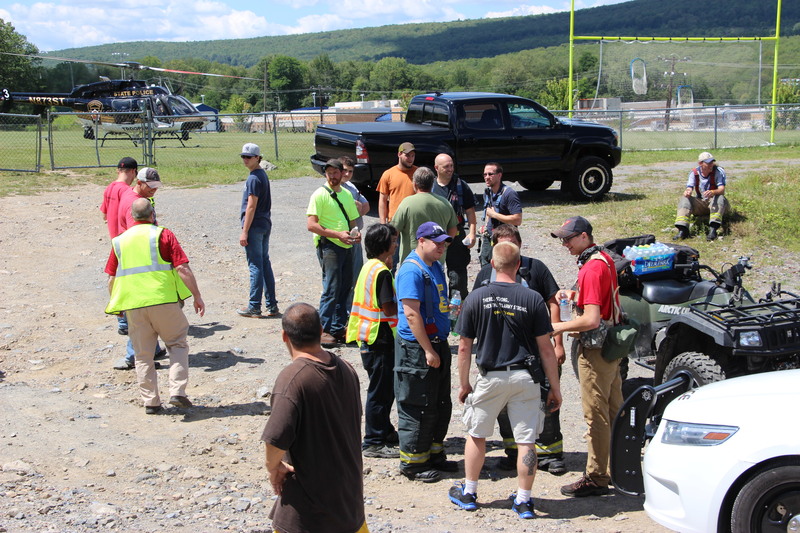 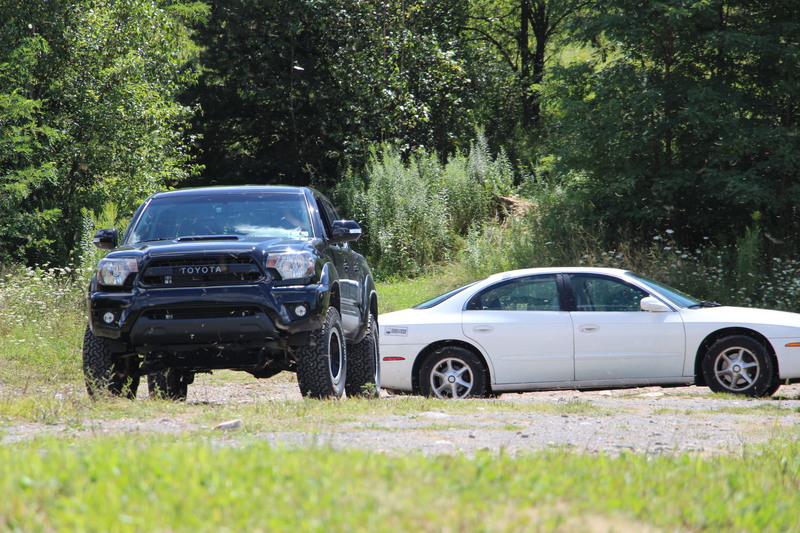 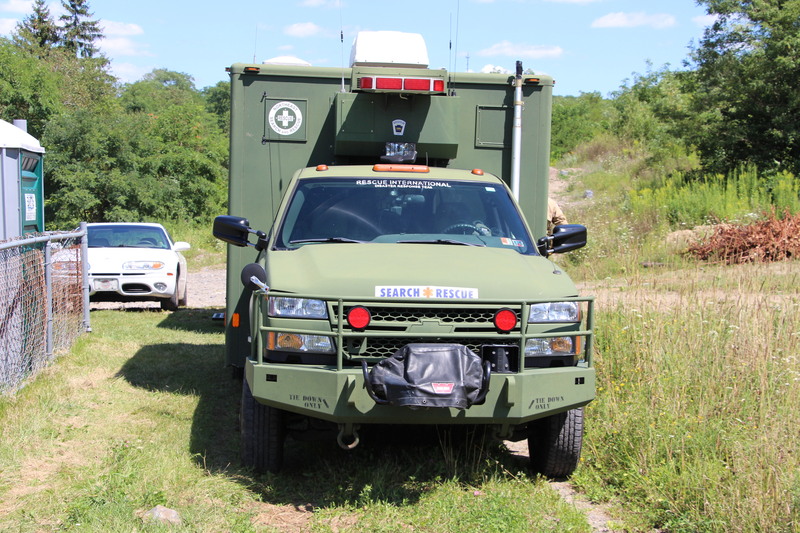 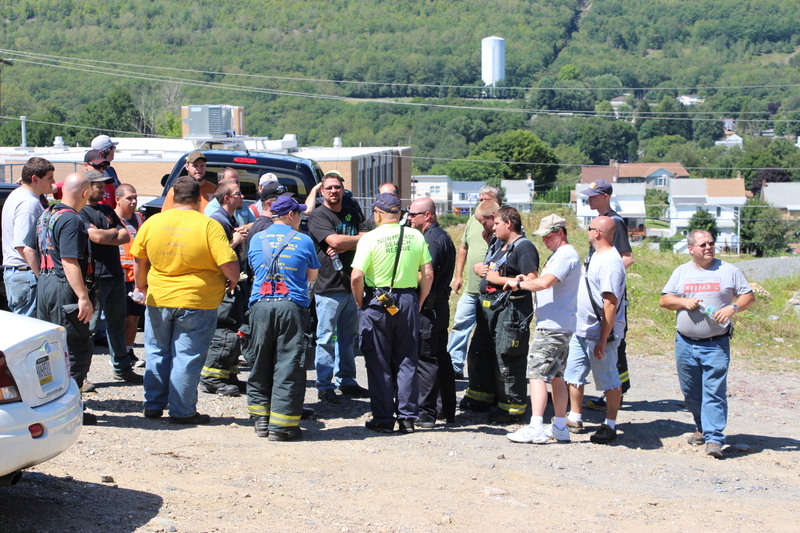 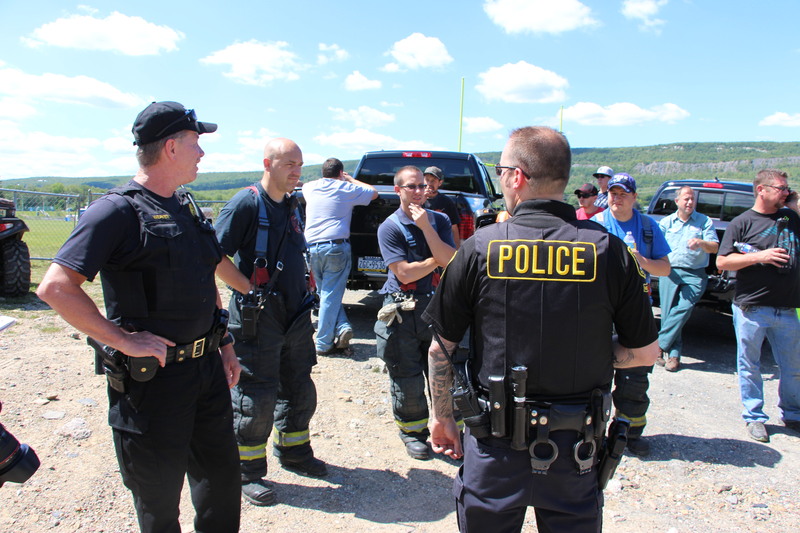 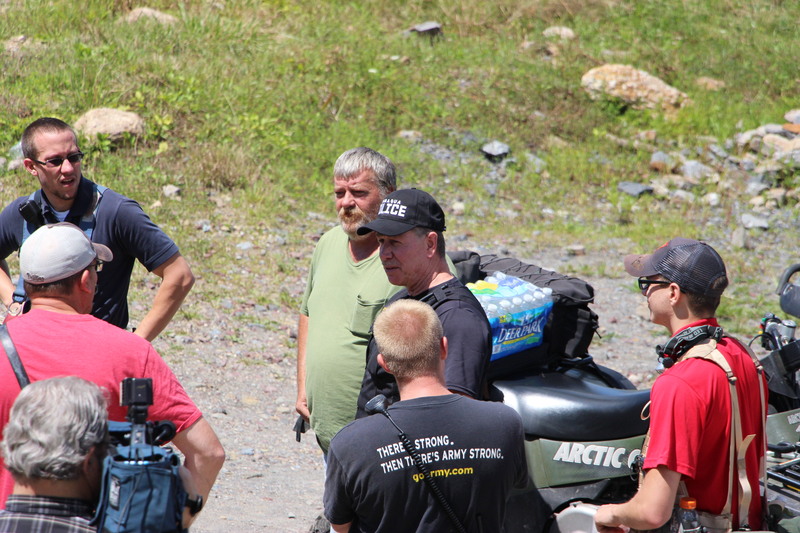 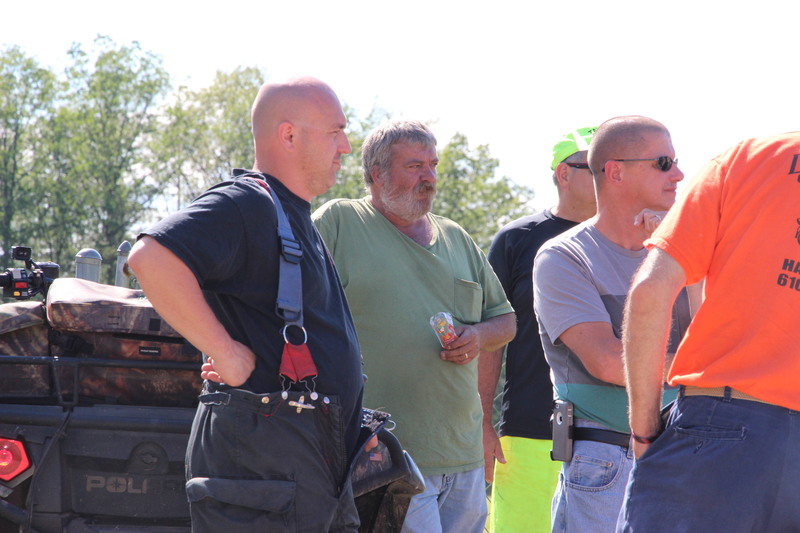 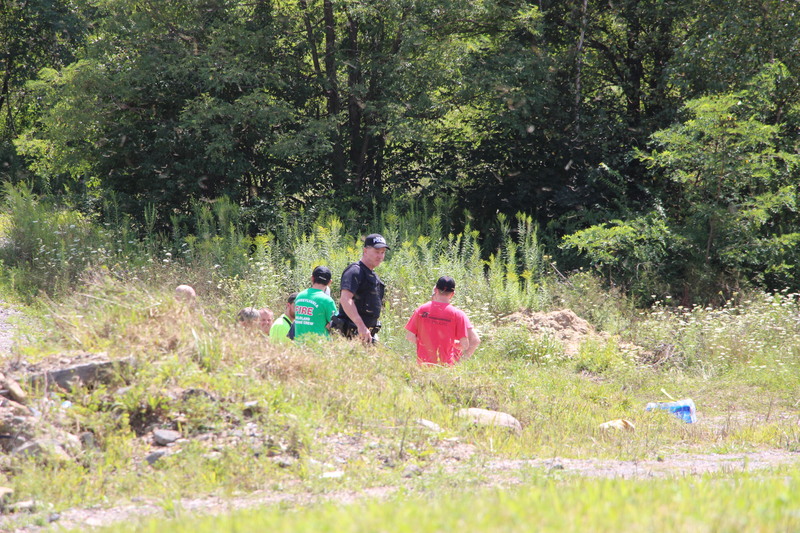 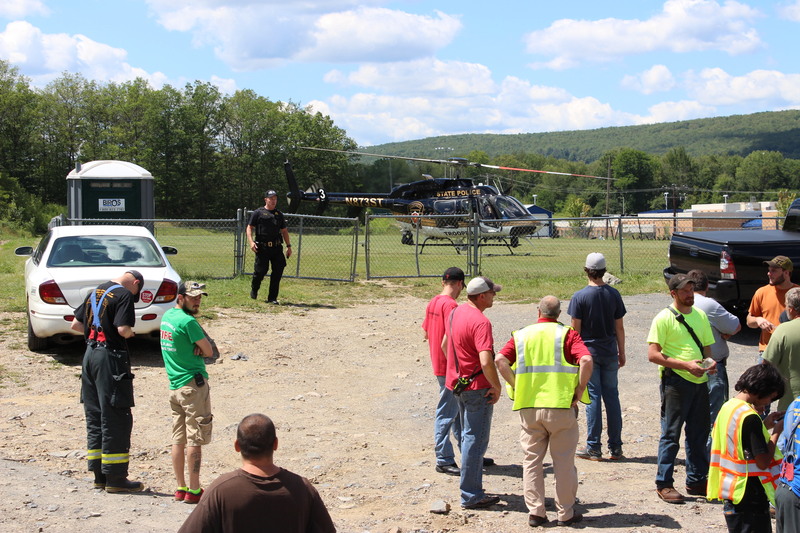 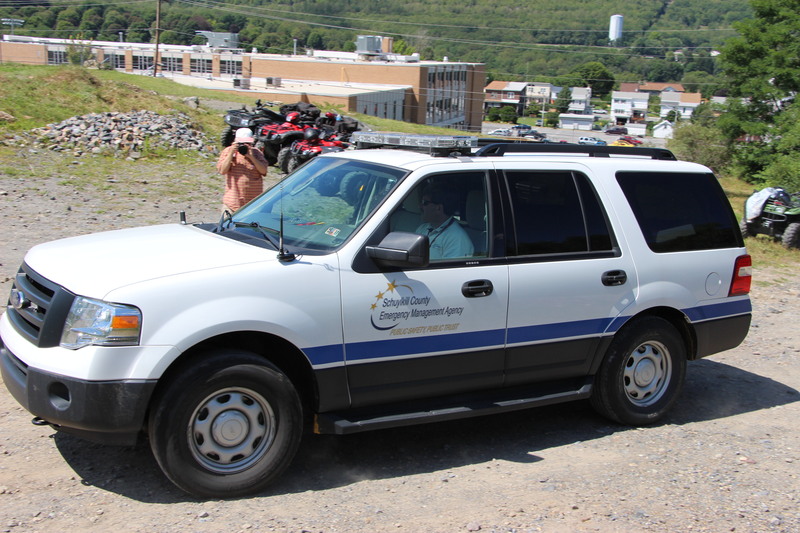 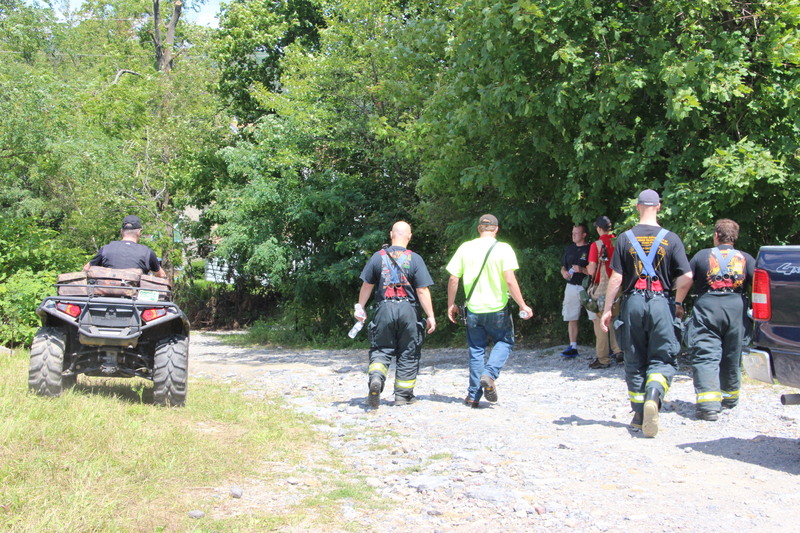 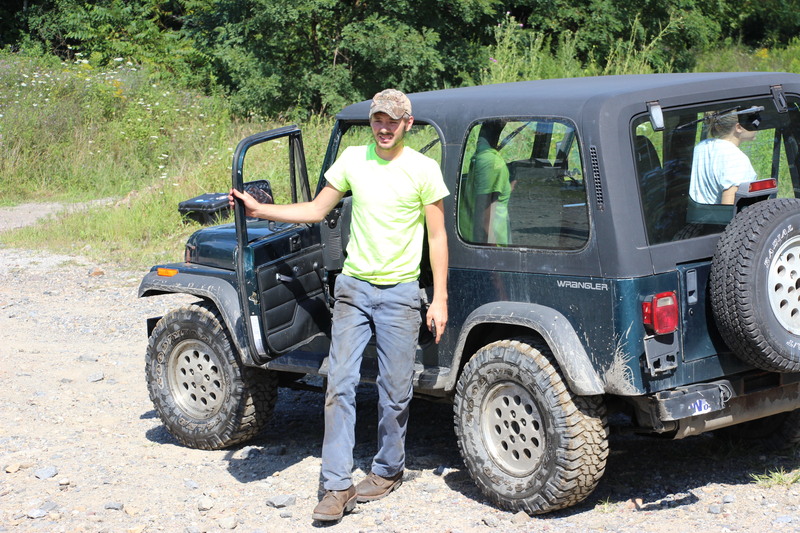 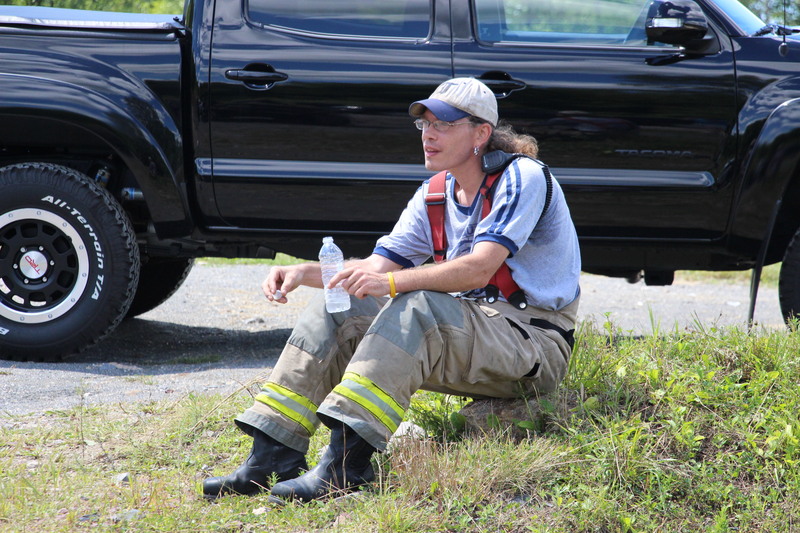 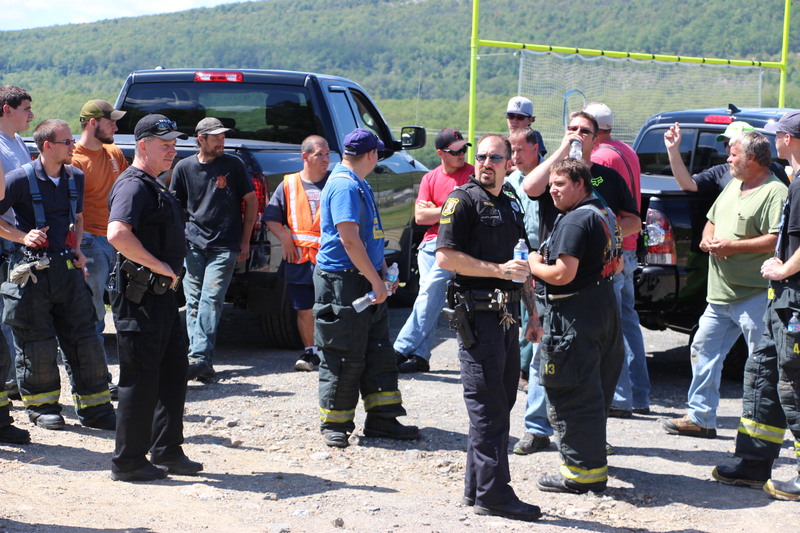 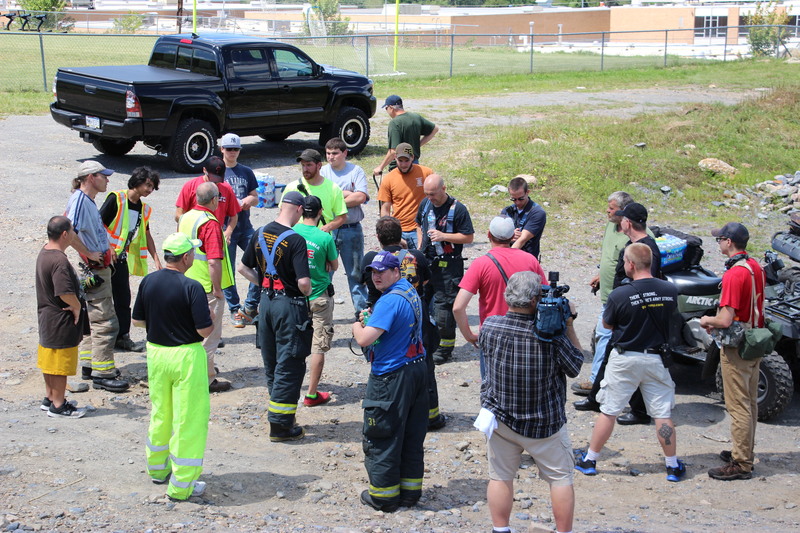 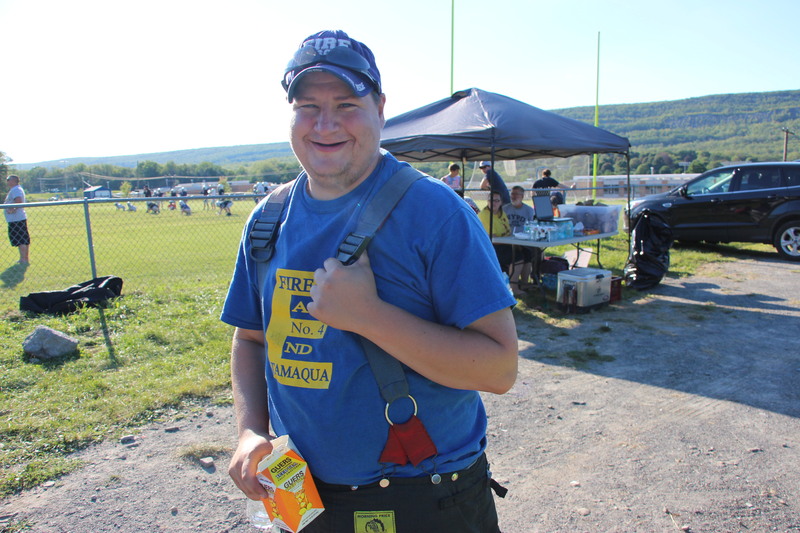 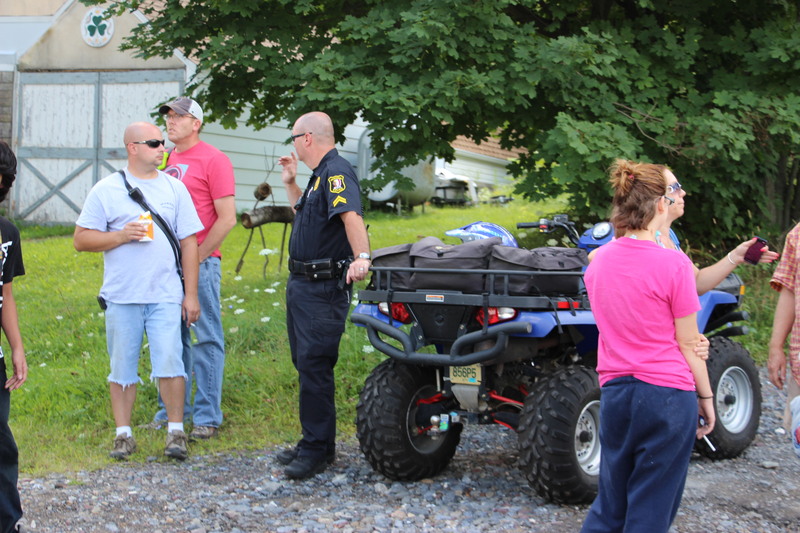 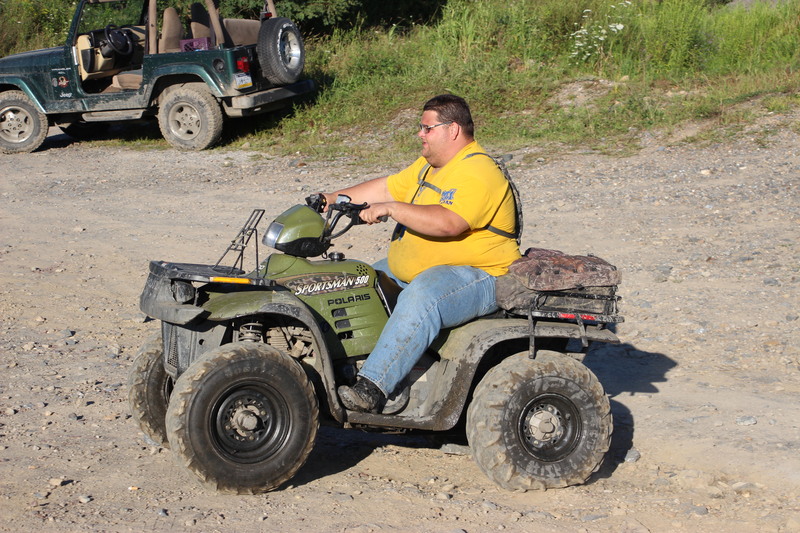 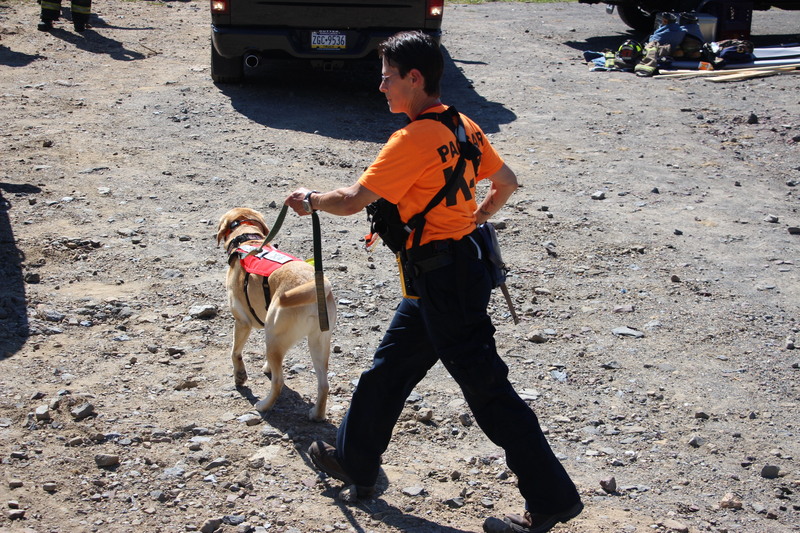 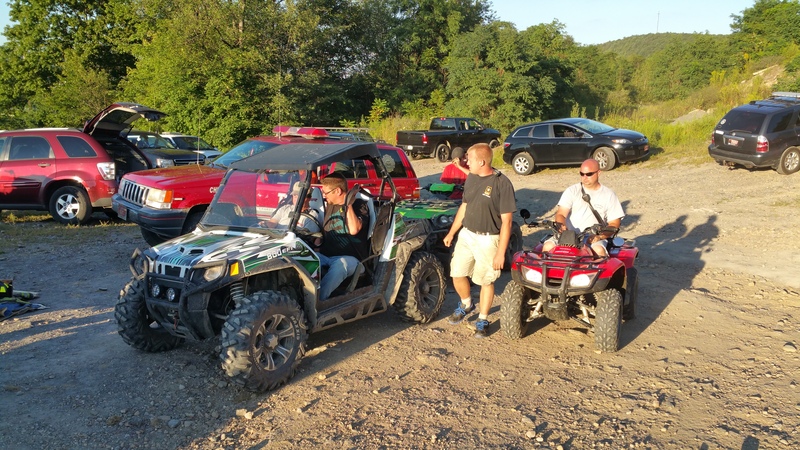 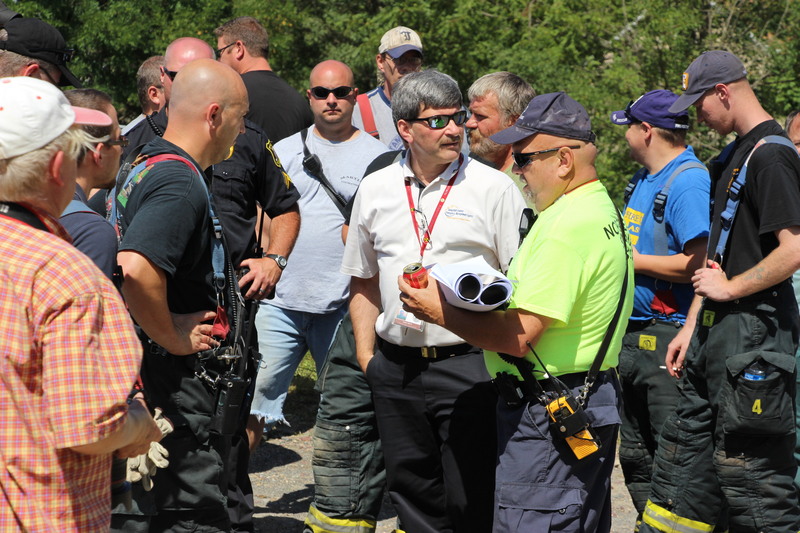 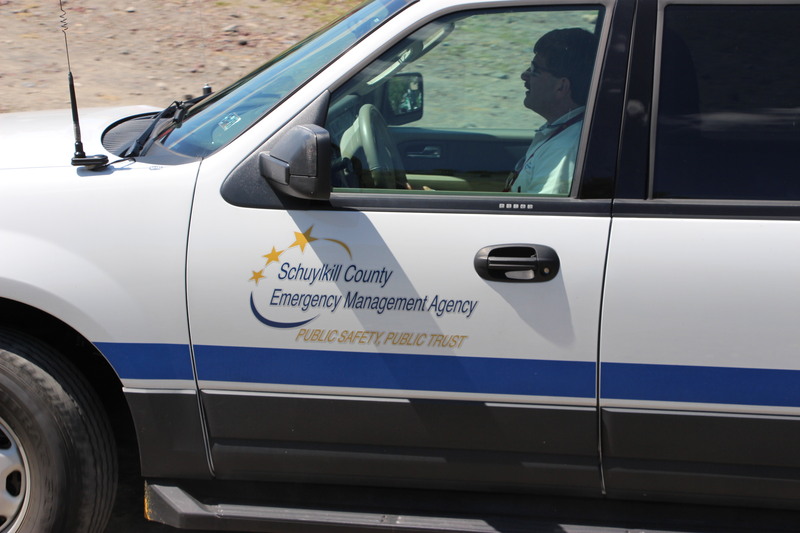 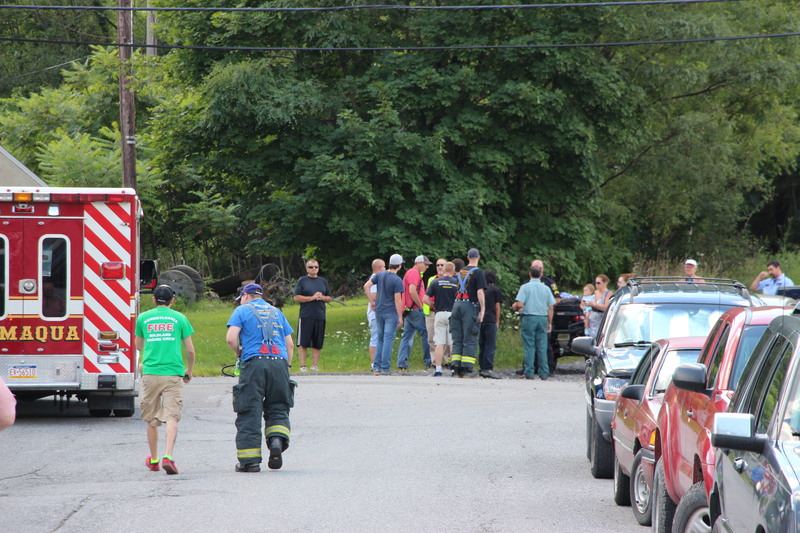 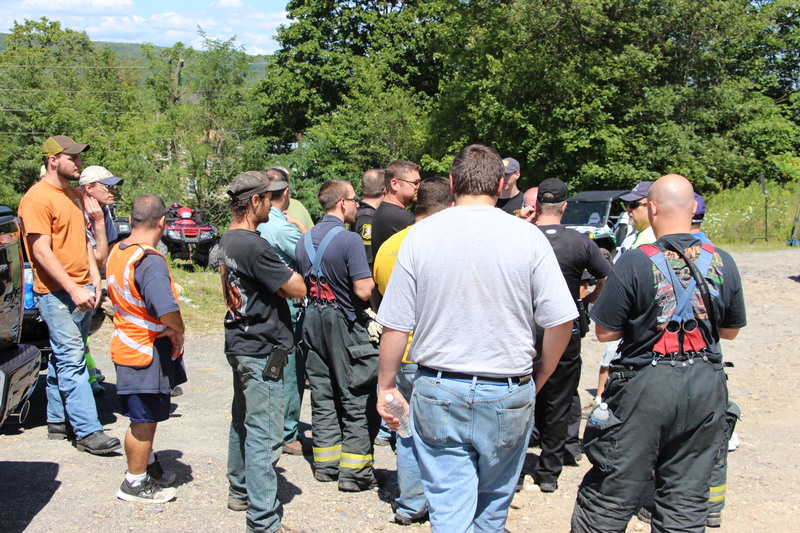 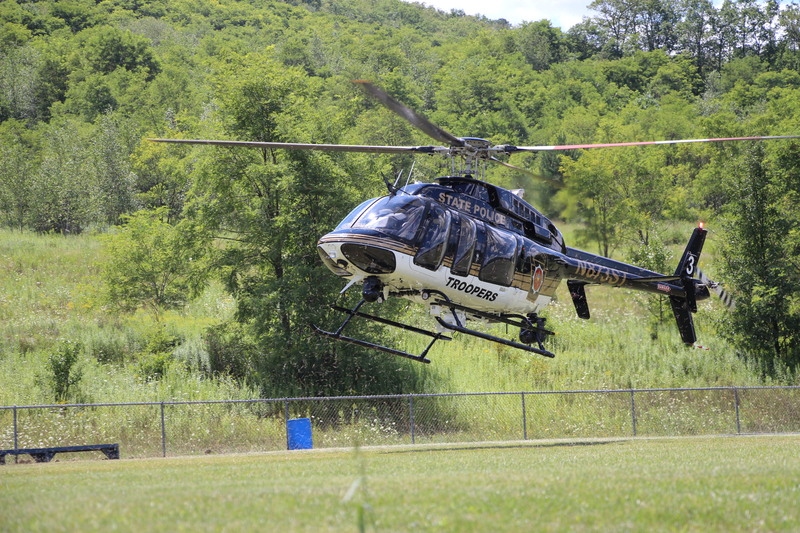 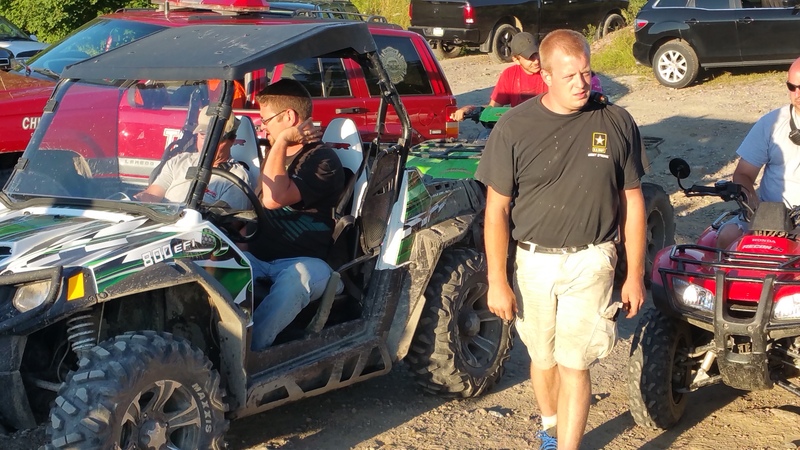 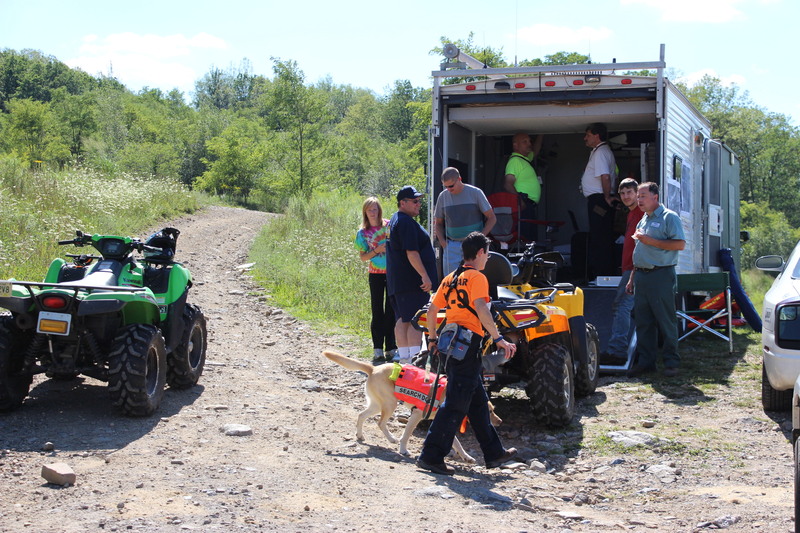 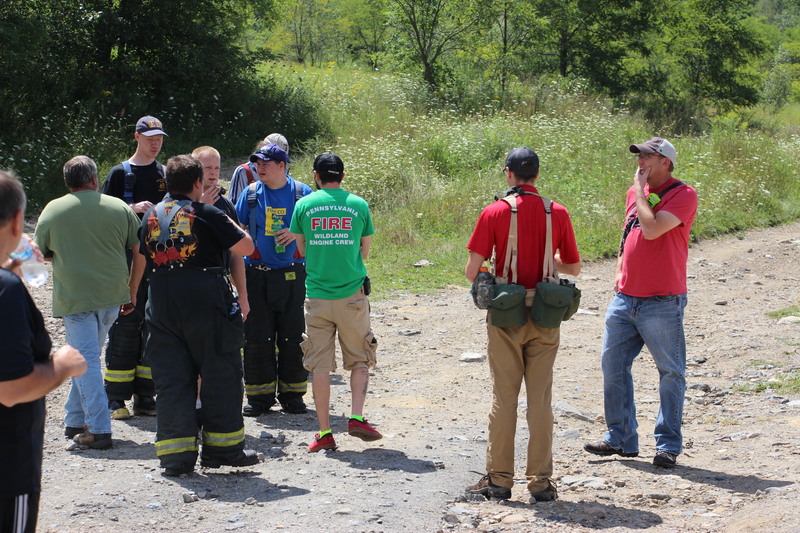 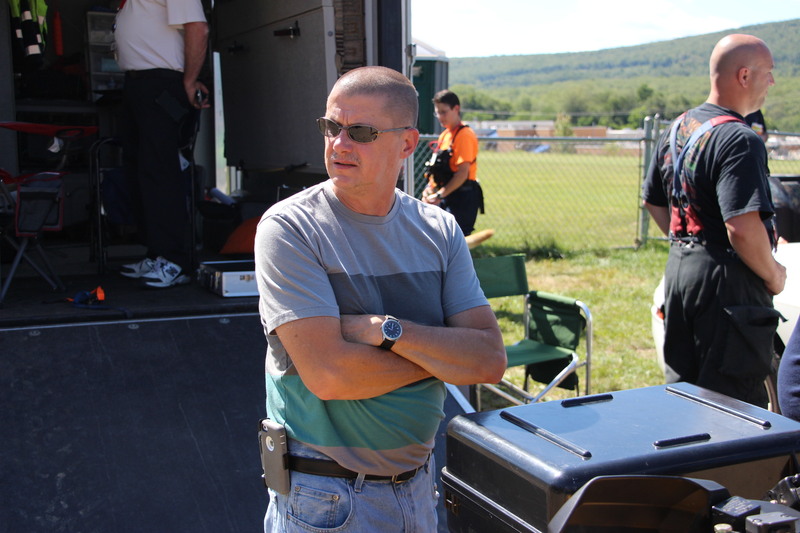 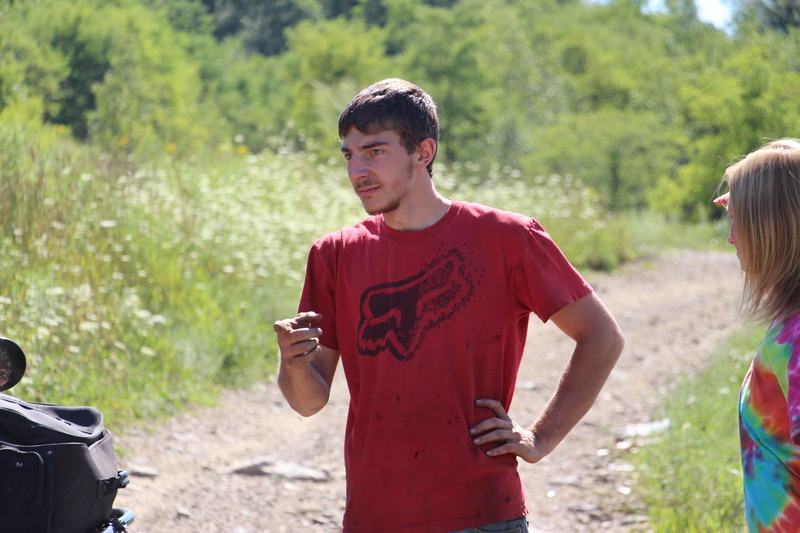 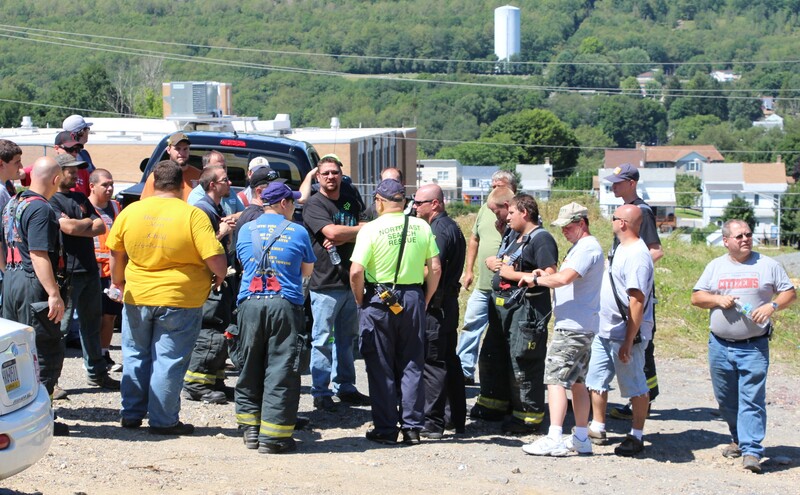 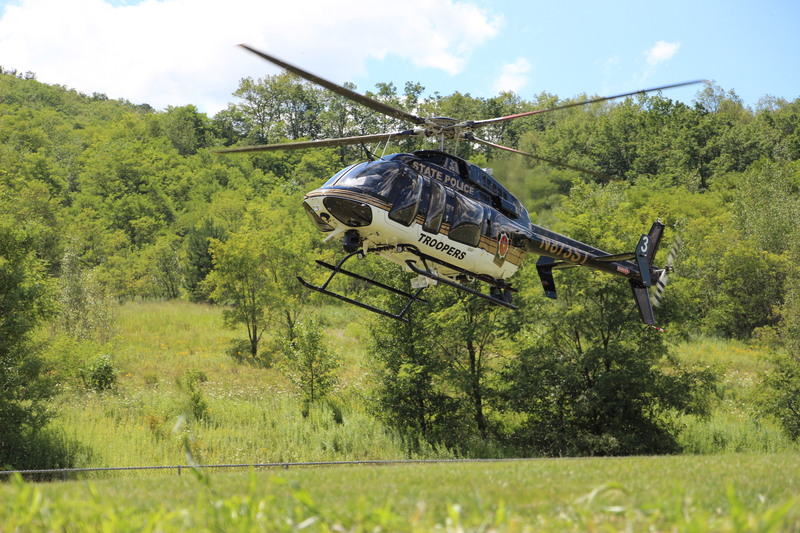 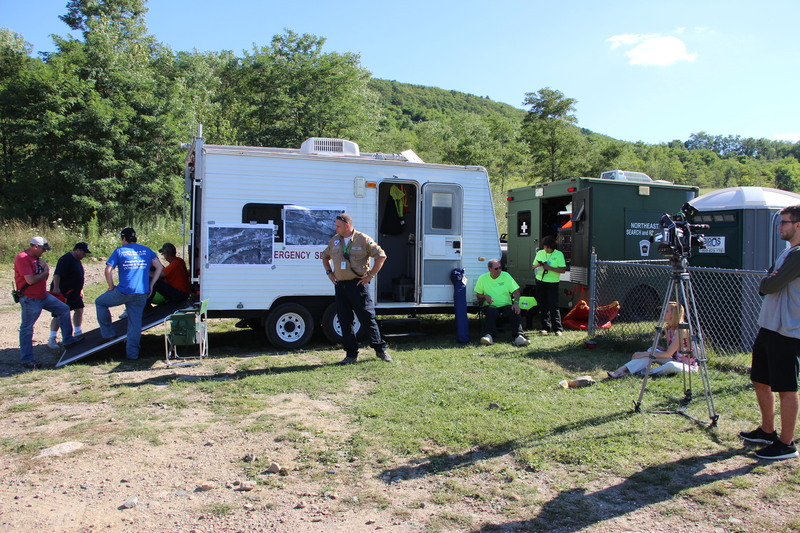 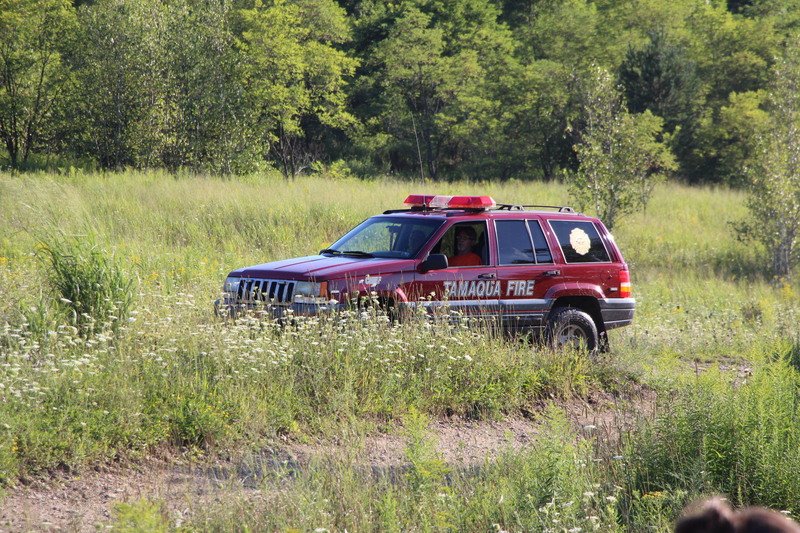 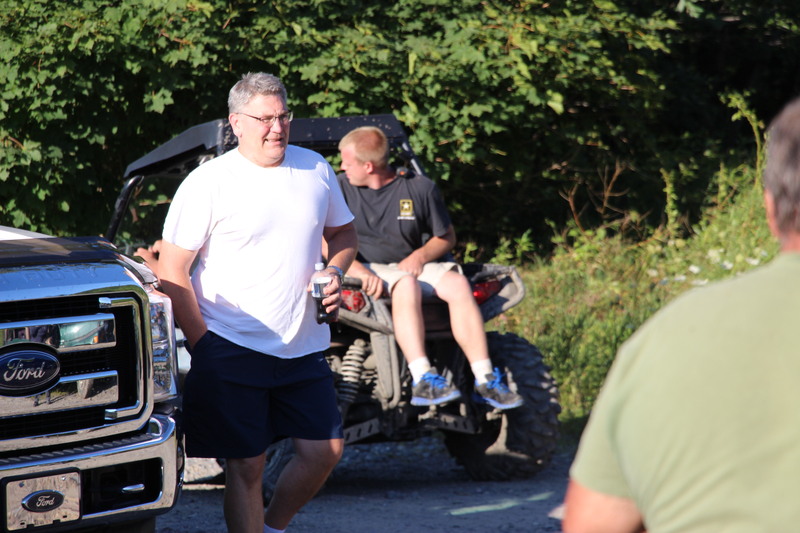 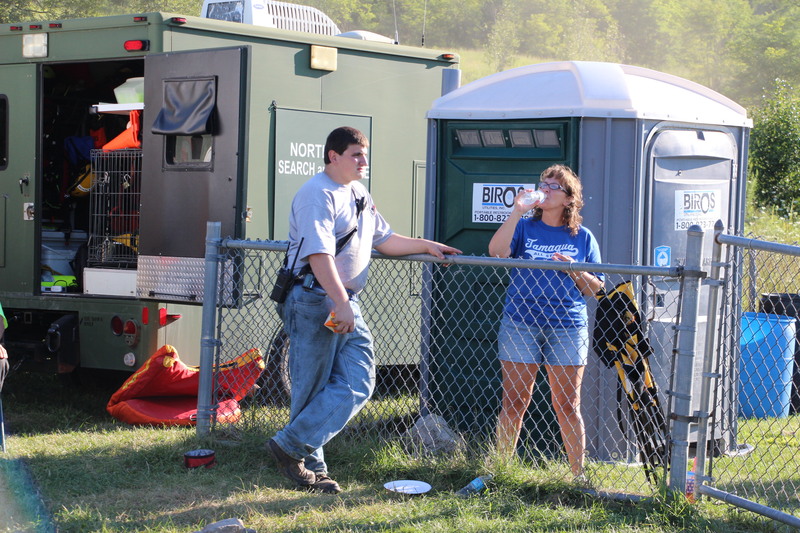 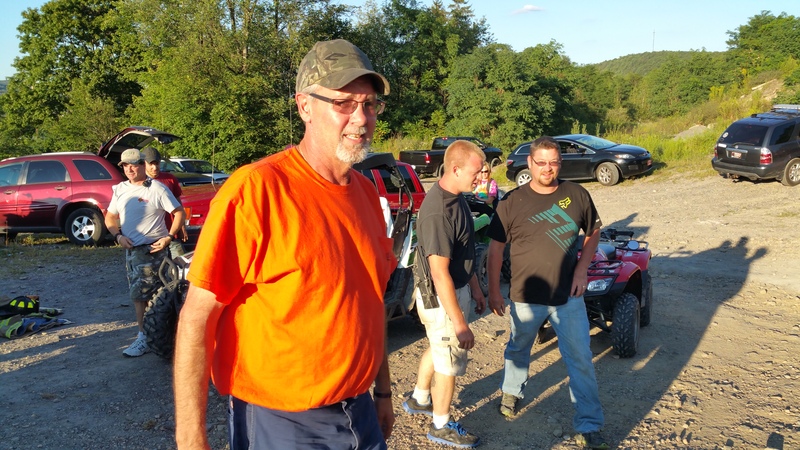 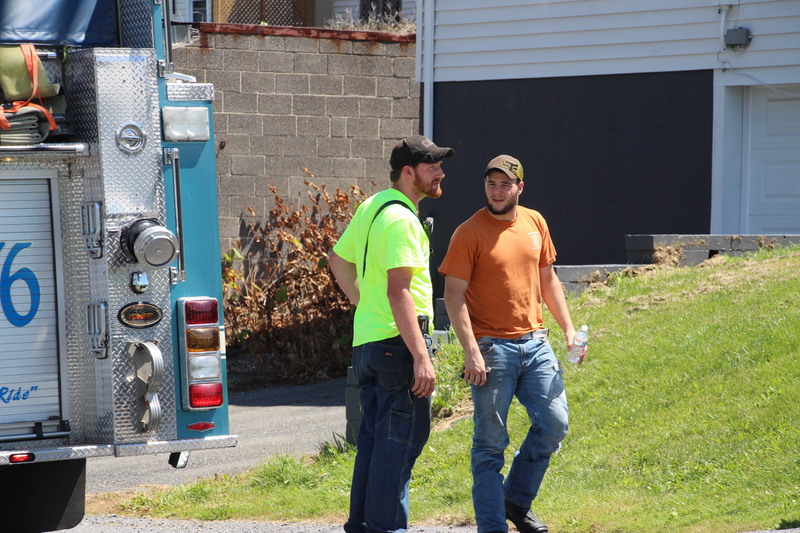 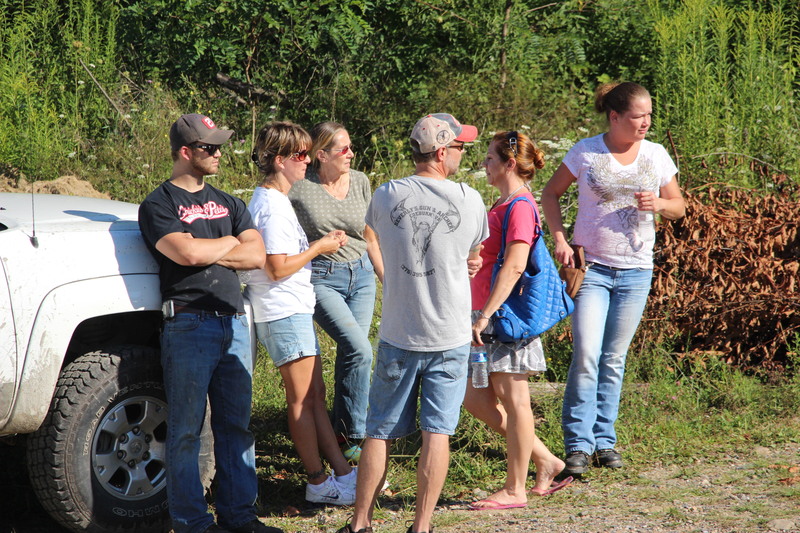 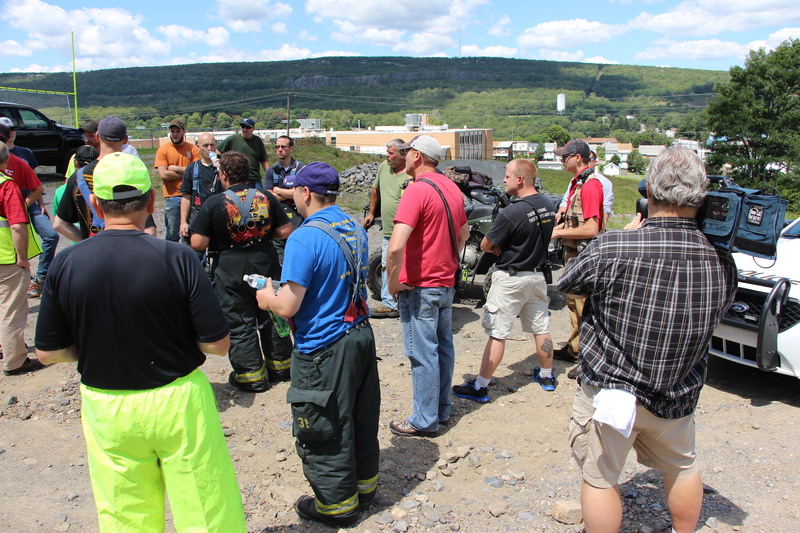 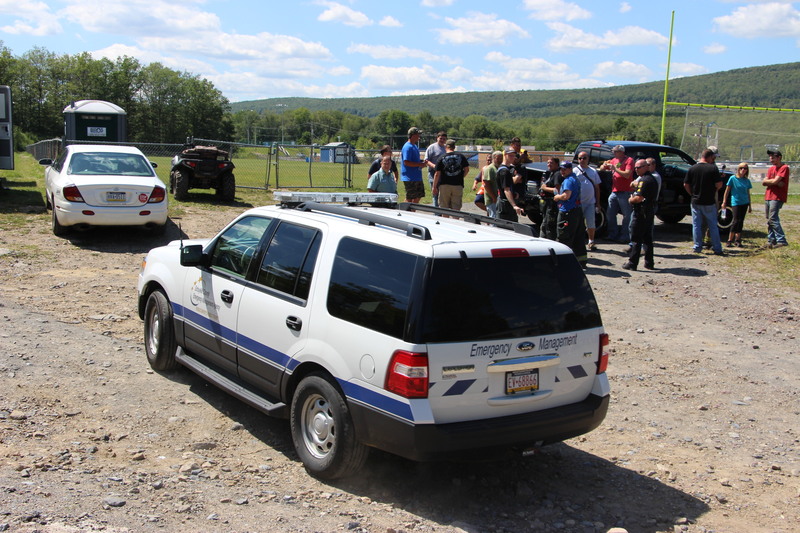 An estimated 50 emergency personnel spent about 8 hours today (Thursday, August 13, 2015) searching Tamaqua’s South Ward mountain (Sharp Mountain) for a missing 29-year-old Tamaqua man. 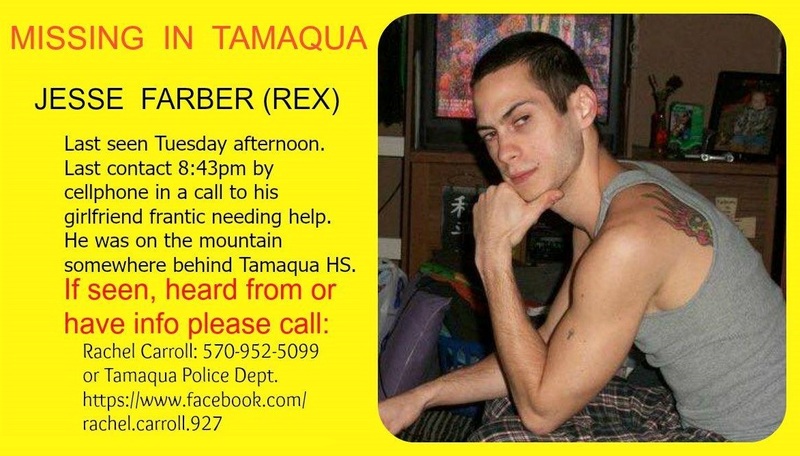 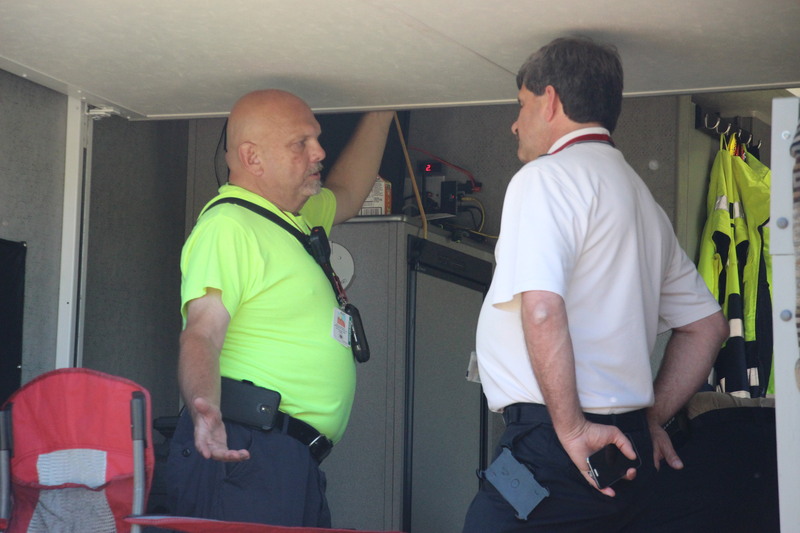 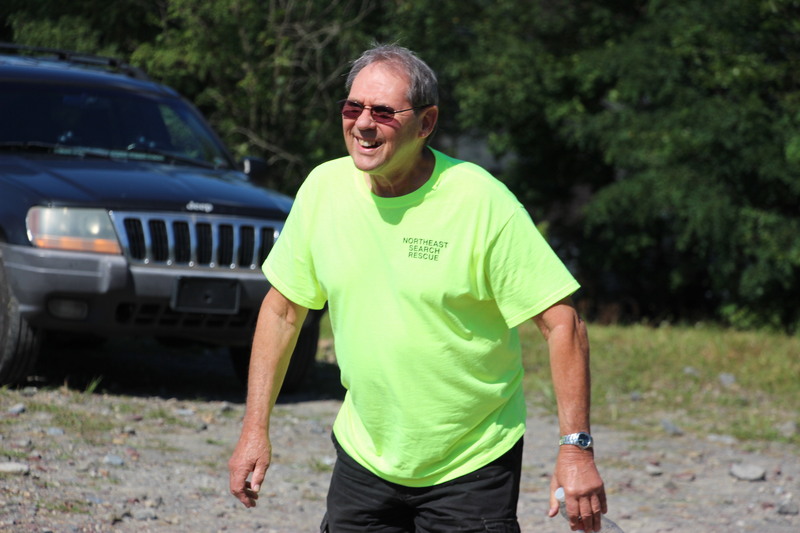 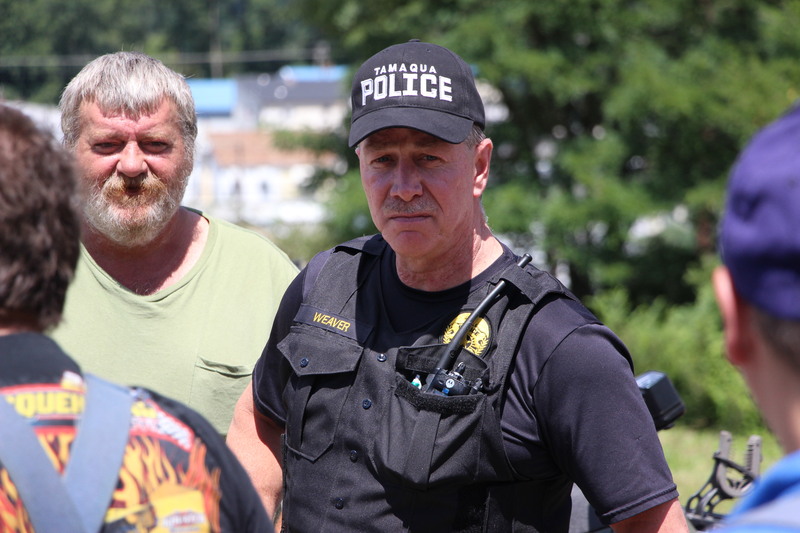 Despite their efforts, the man, identified as Jesse “Rex” Farber, was not found. 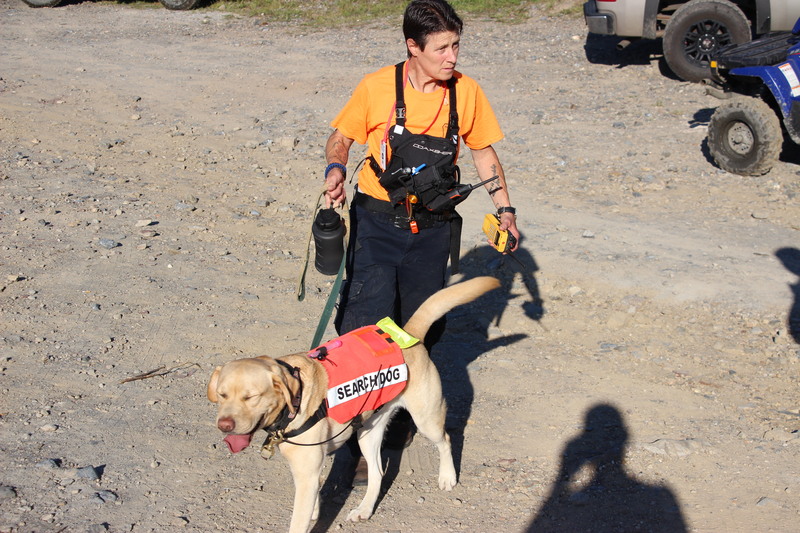 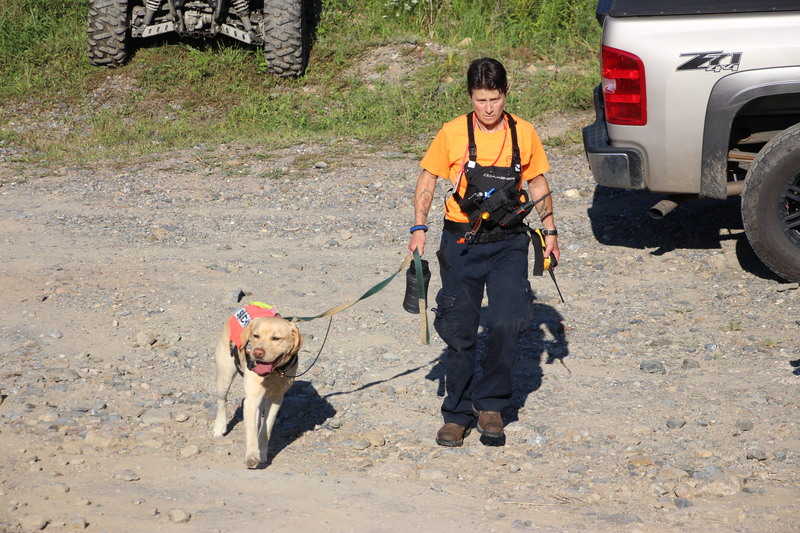 The search, which started around 11:30 AM today, ended around 8:30 PM with dog teams making a few more trips up the mountain. 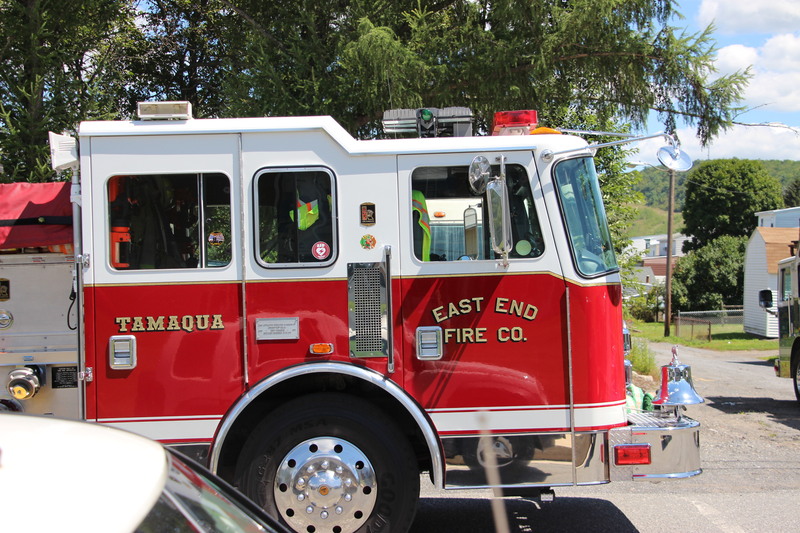 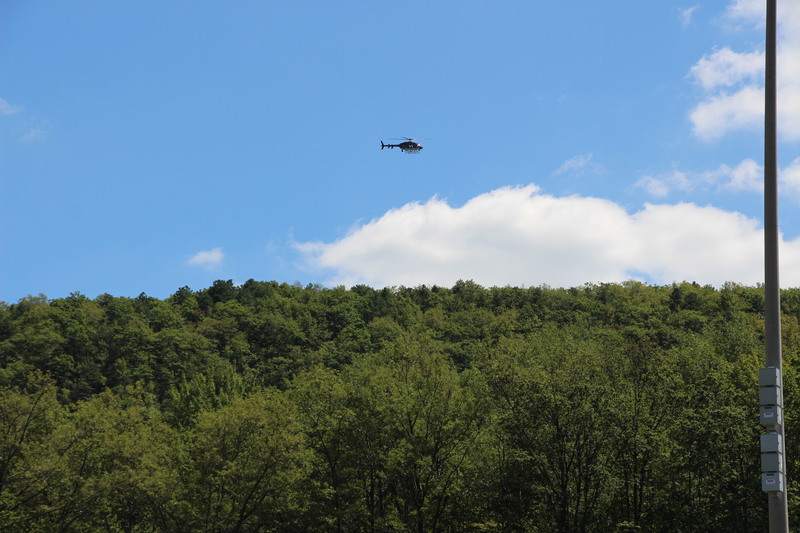 In addition, some crews could be seen searching the mountain north east of Tamaqua. 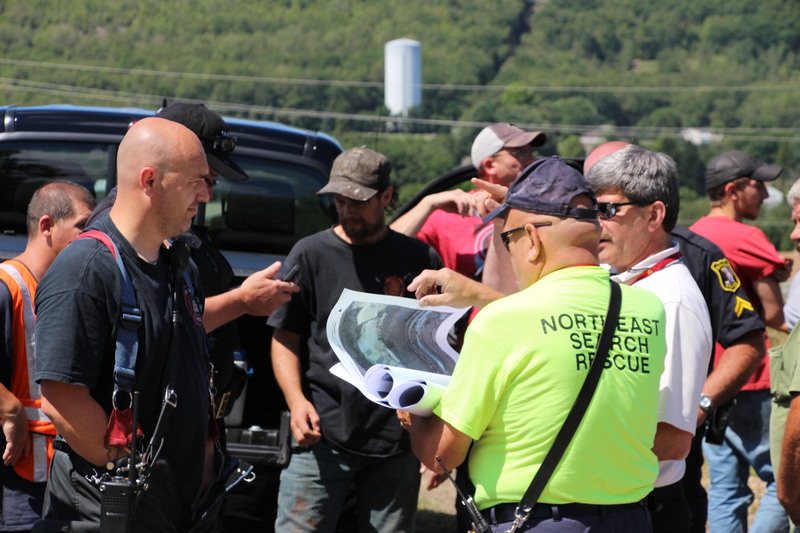 Some officials pointed out Sharp Mountain was a simply best guess with the information they had, adding that Jesse could be on any mountain or anywhere. 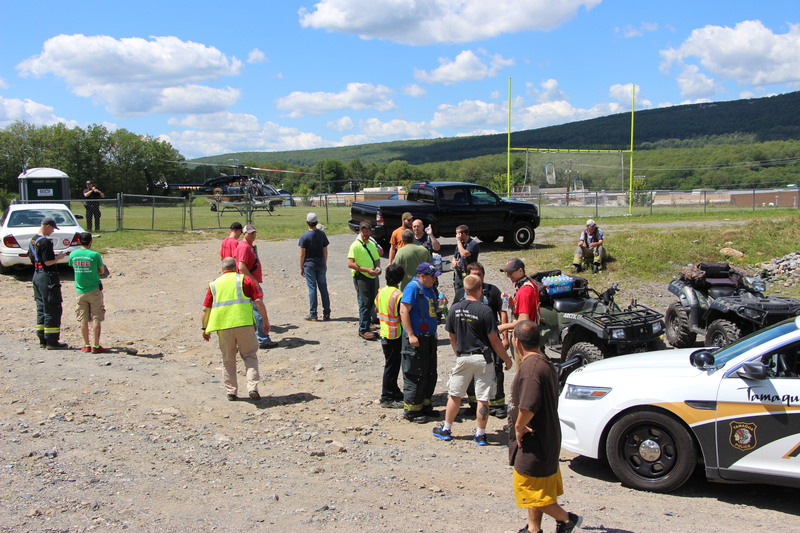 Search teams included members of the Tamaqua Fire Department, Tamaqua Police Department, Tamaqua Rescue Squad, Tamaqua Fire Police, Pennsylvania State Police, Schuylkill County Emergency Management Agency (SCEMA), Northeast Search and Rescue, Pocono Search and Rescue, and a few community members. 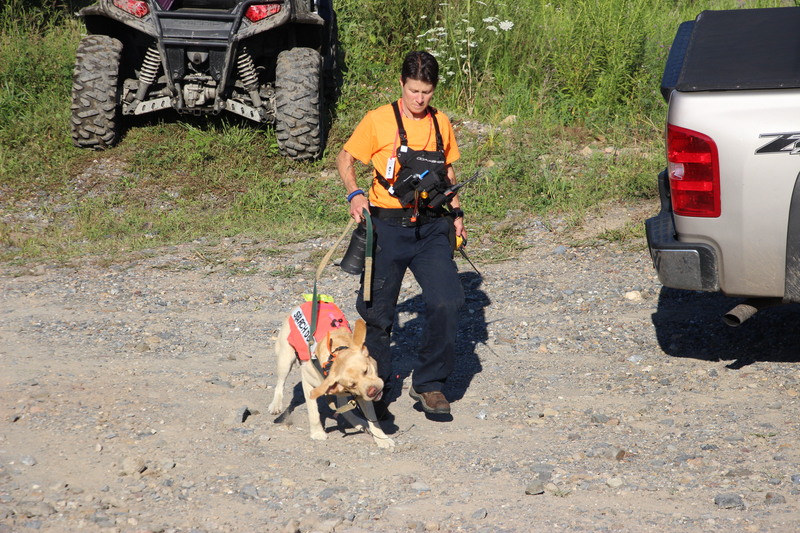 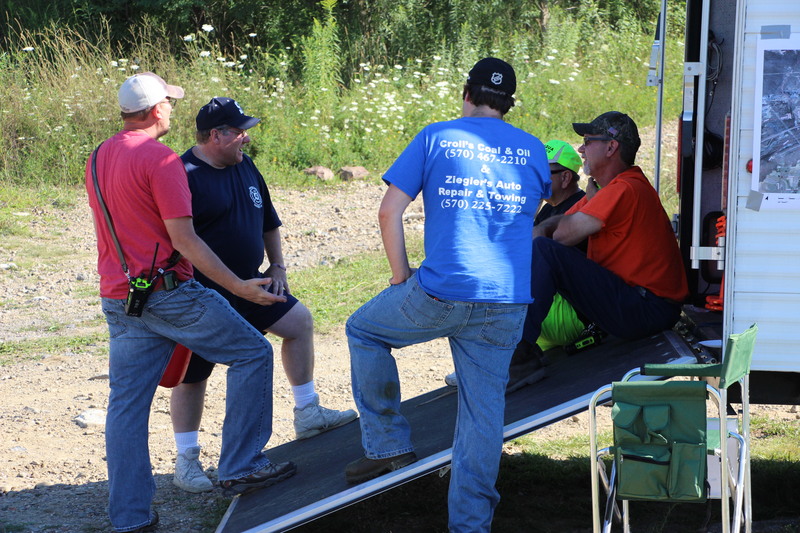 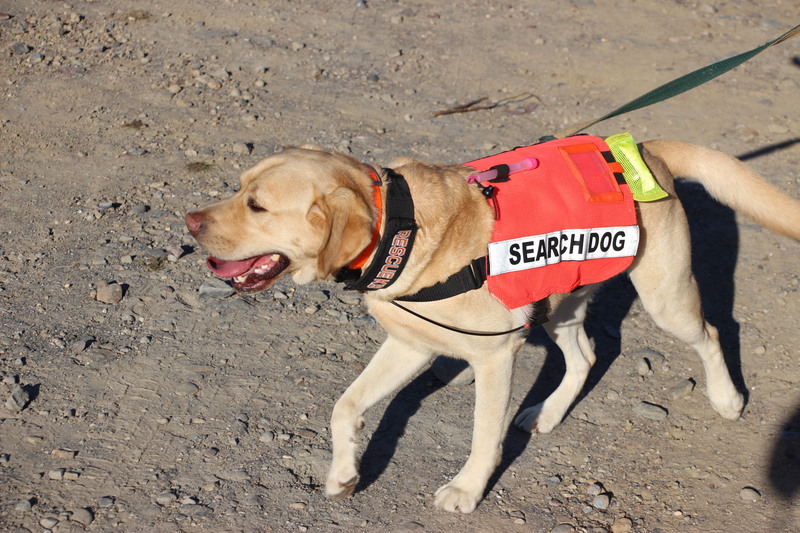 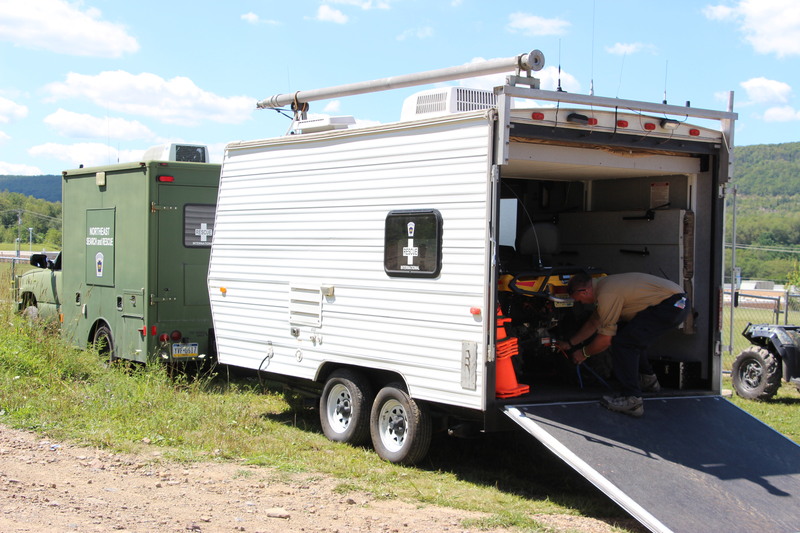 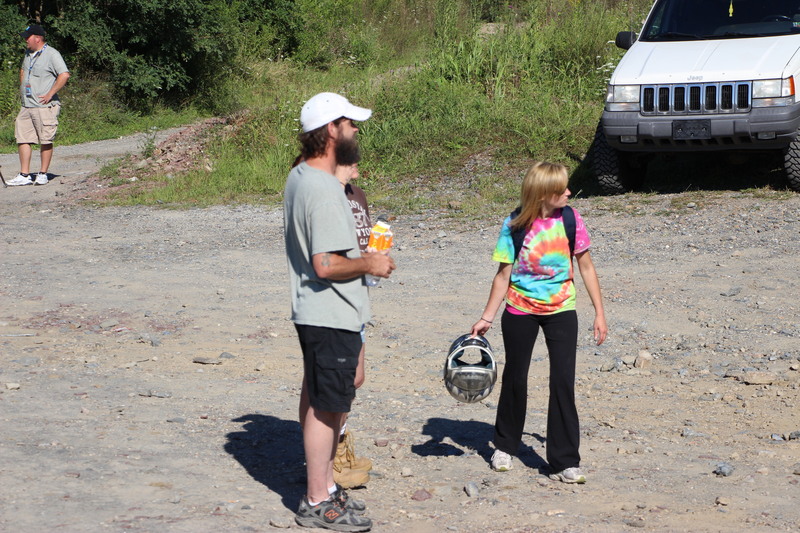 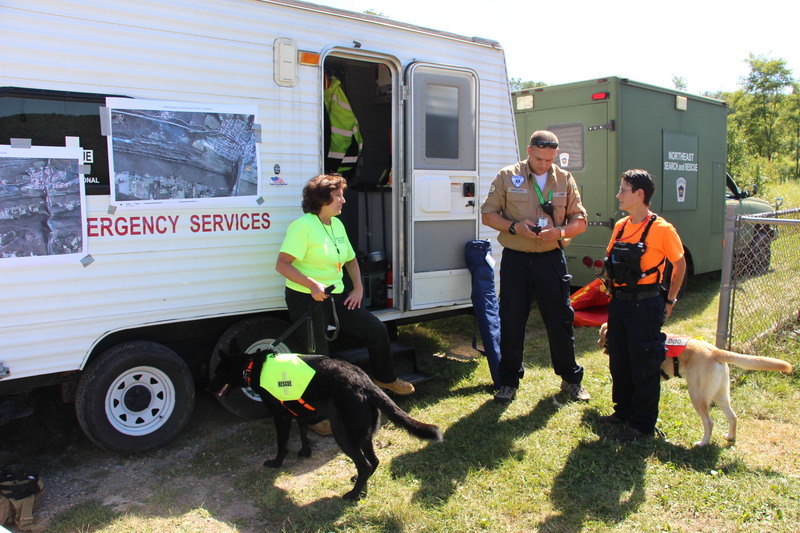 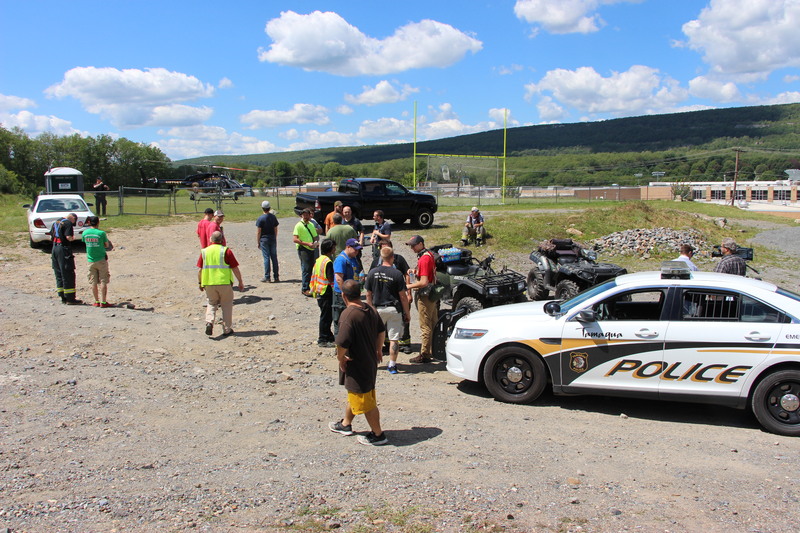 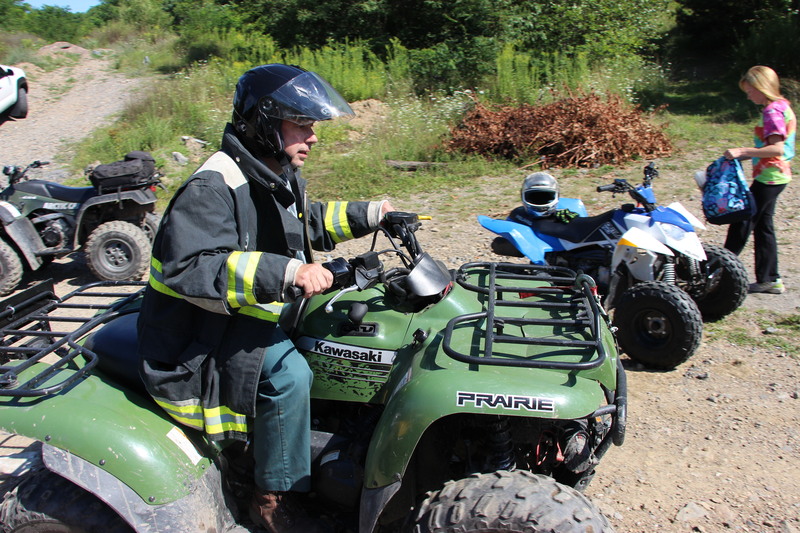 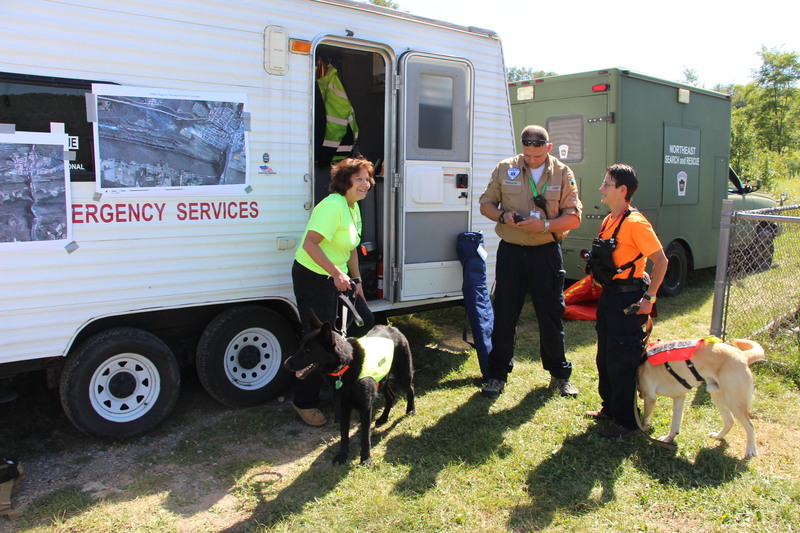 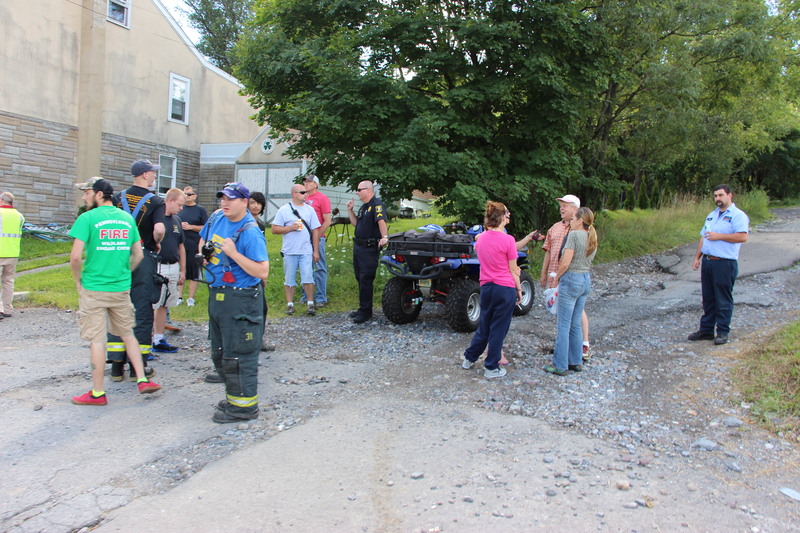 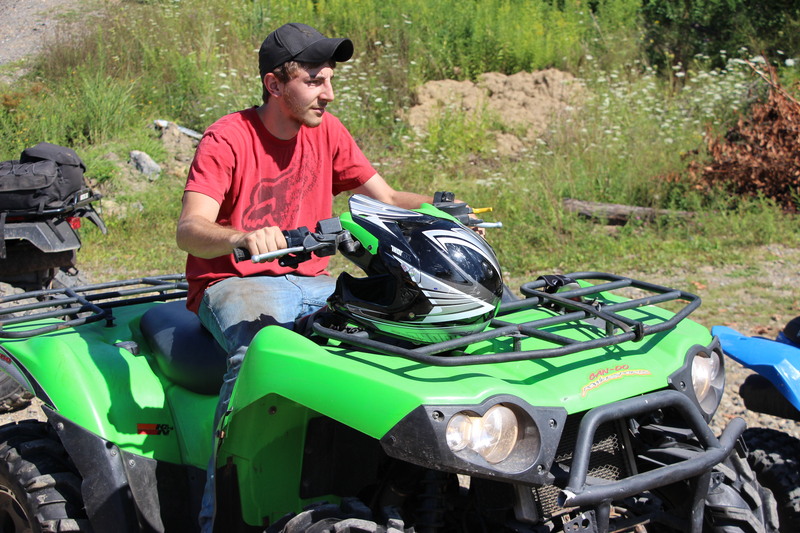 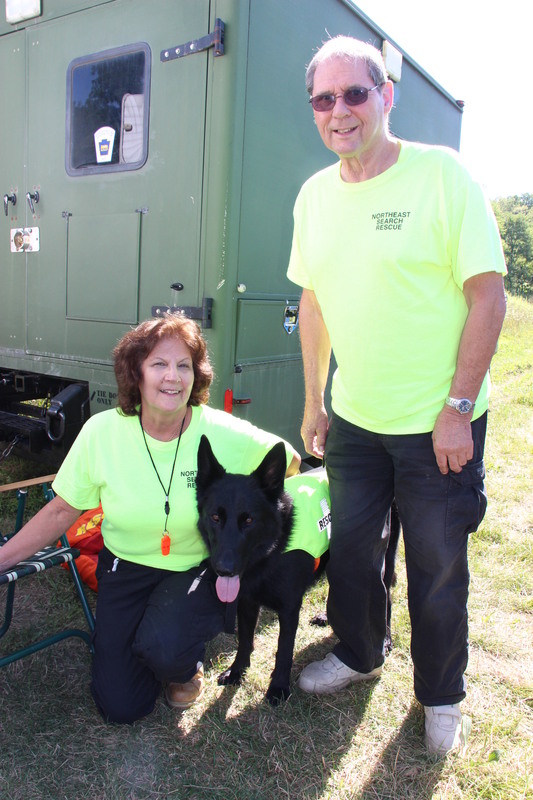 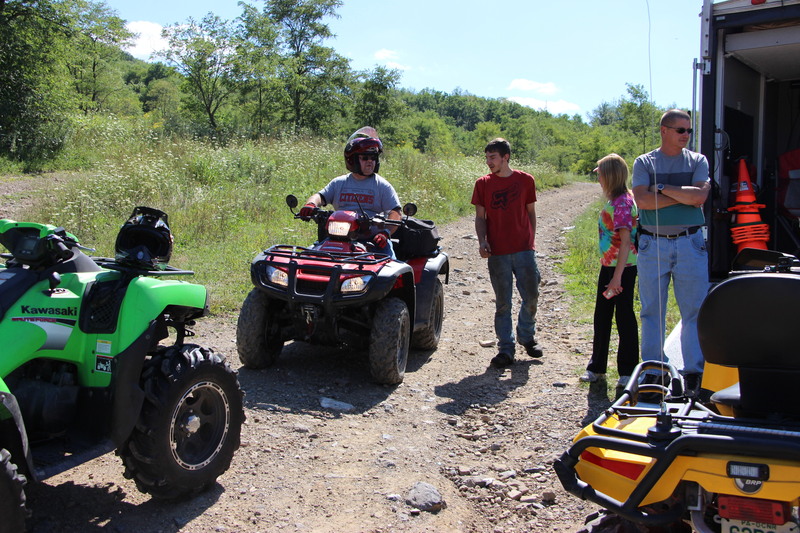 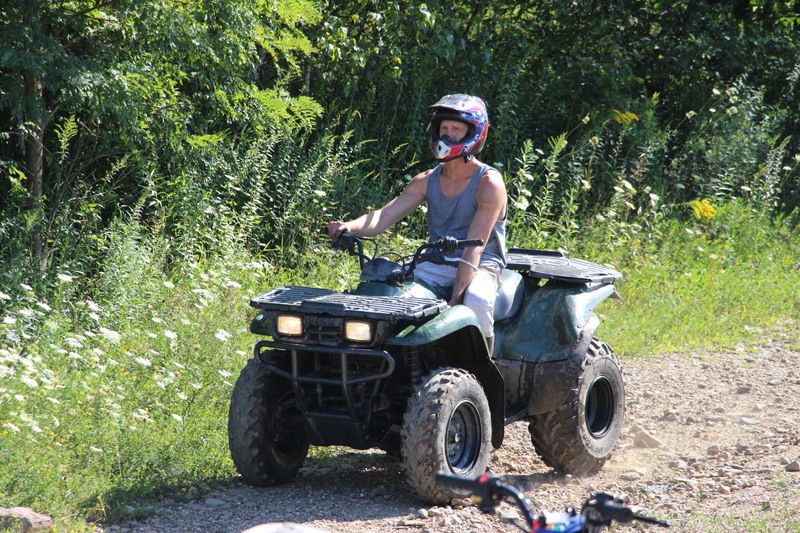 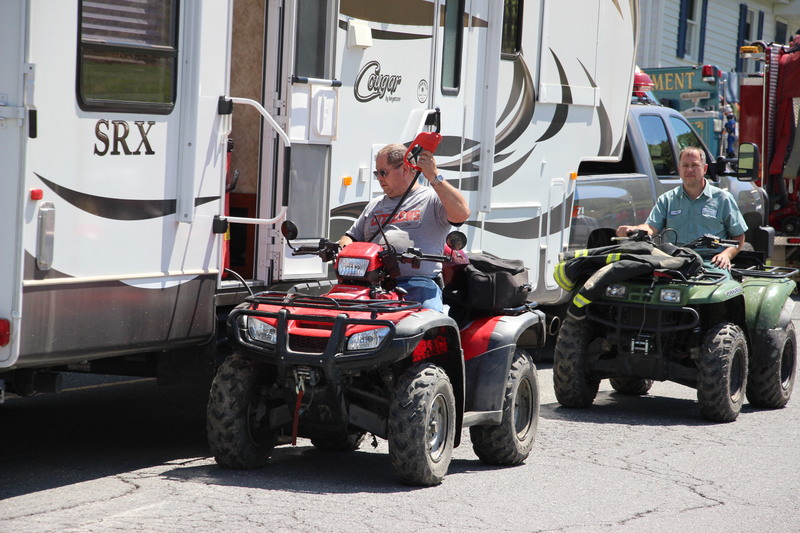 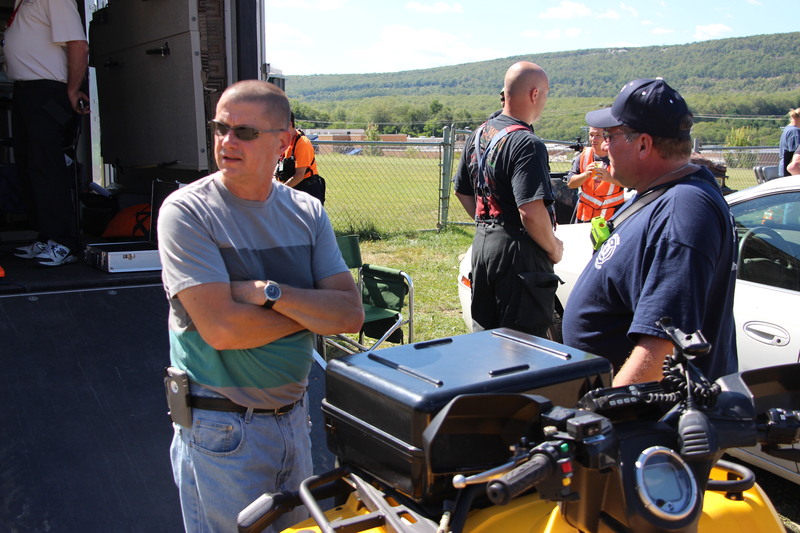 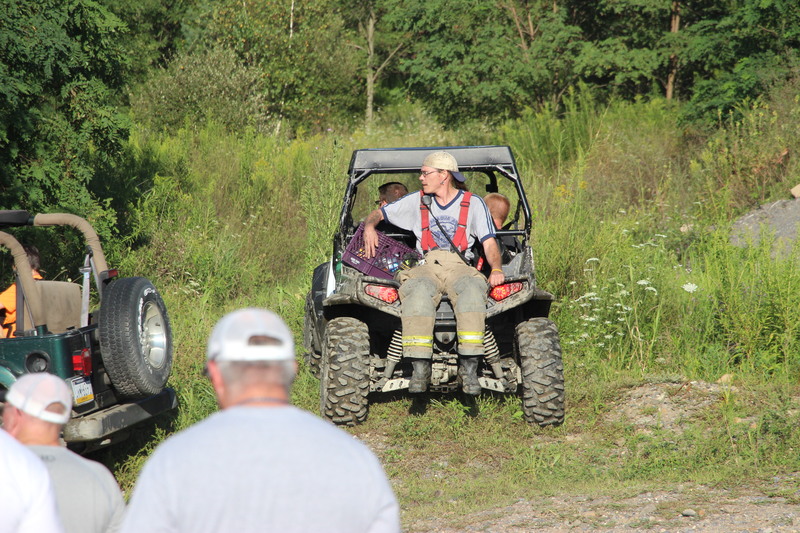 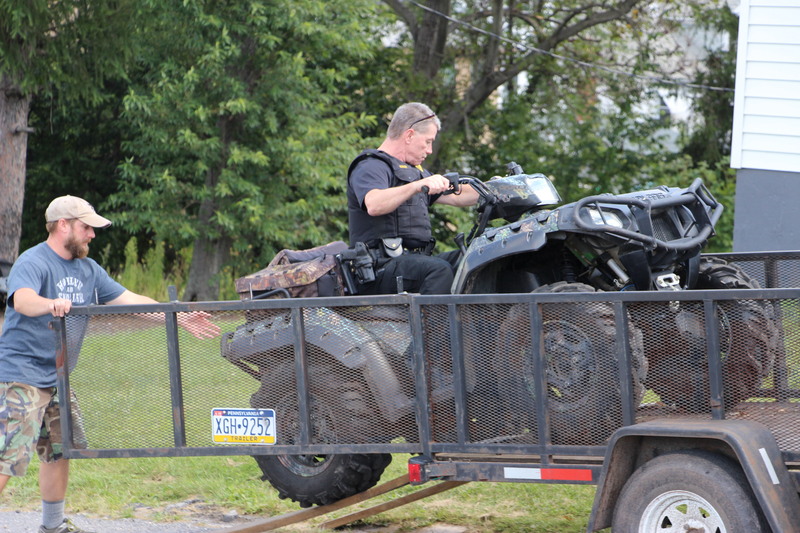 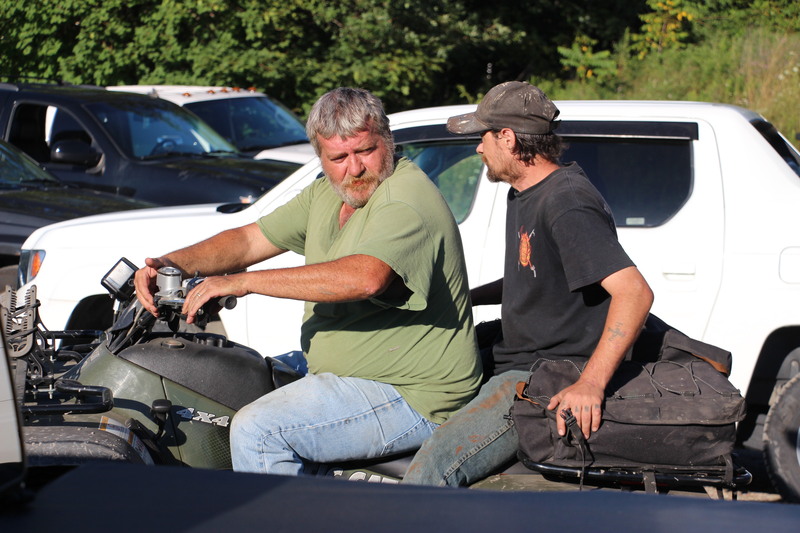 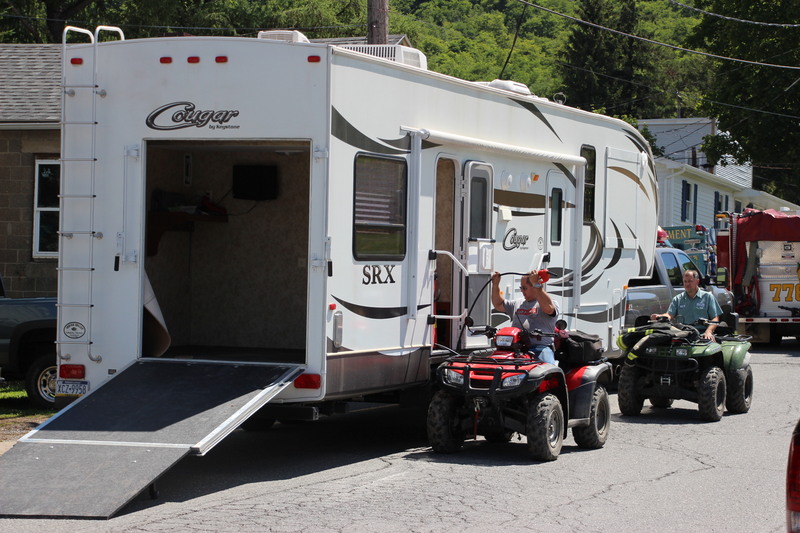 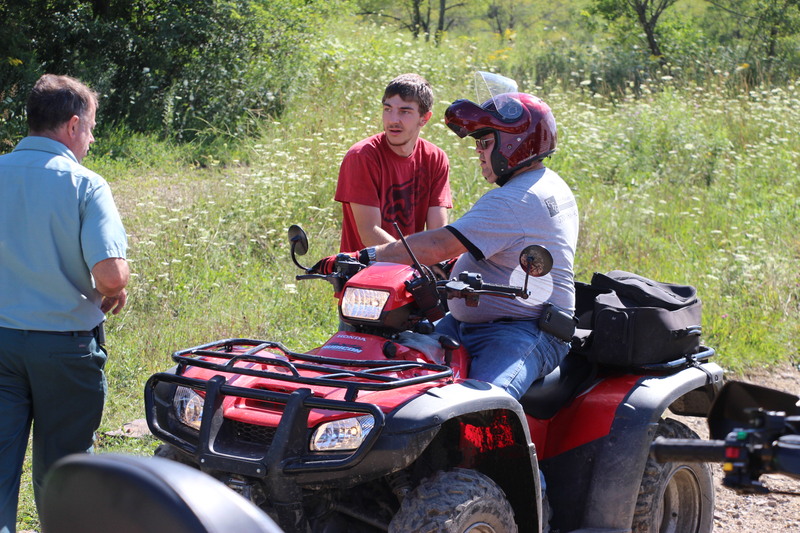 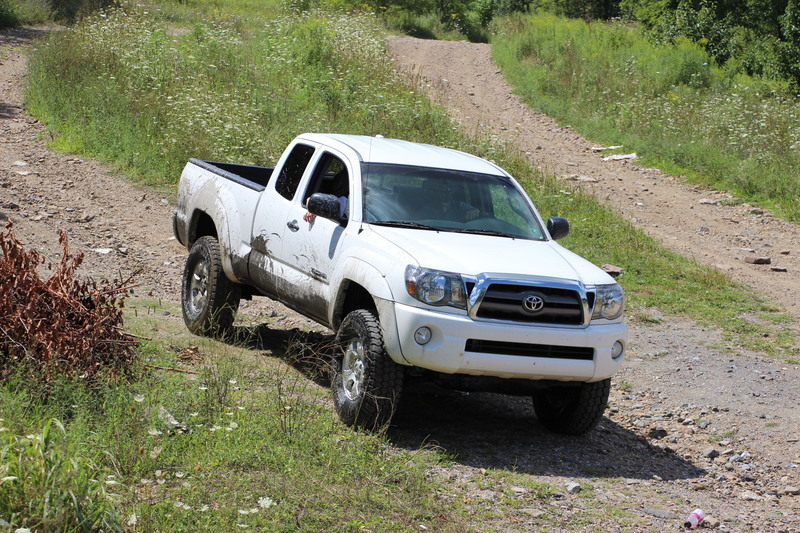 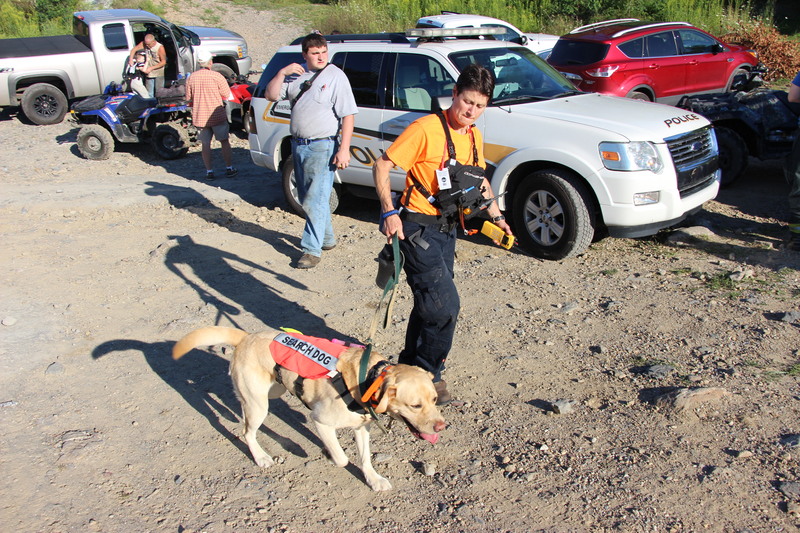 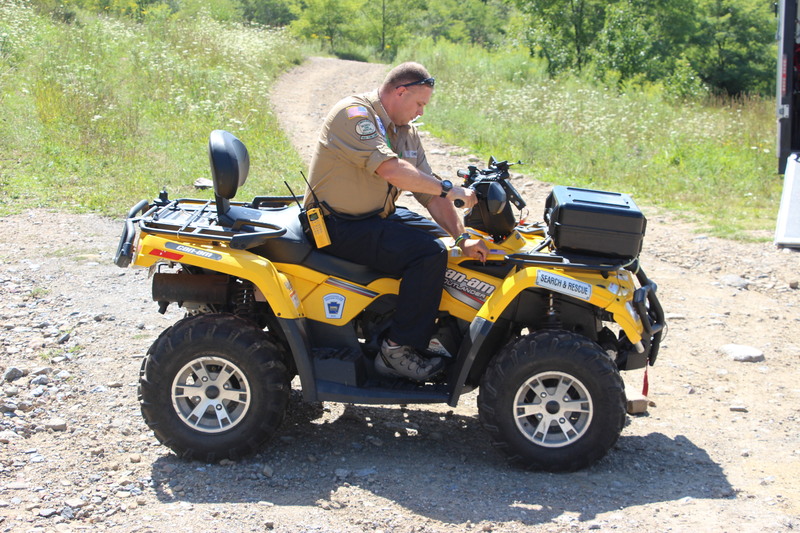 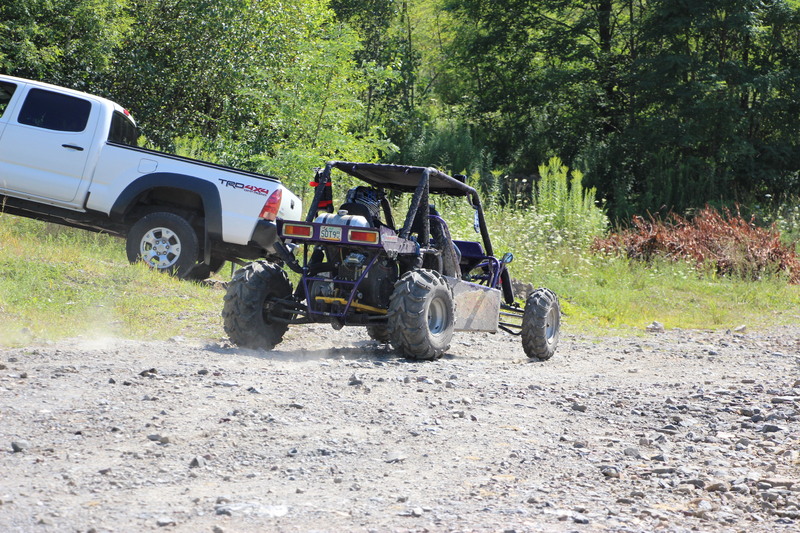 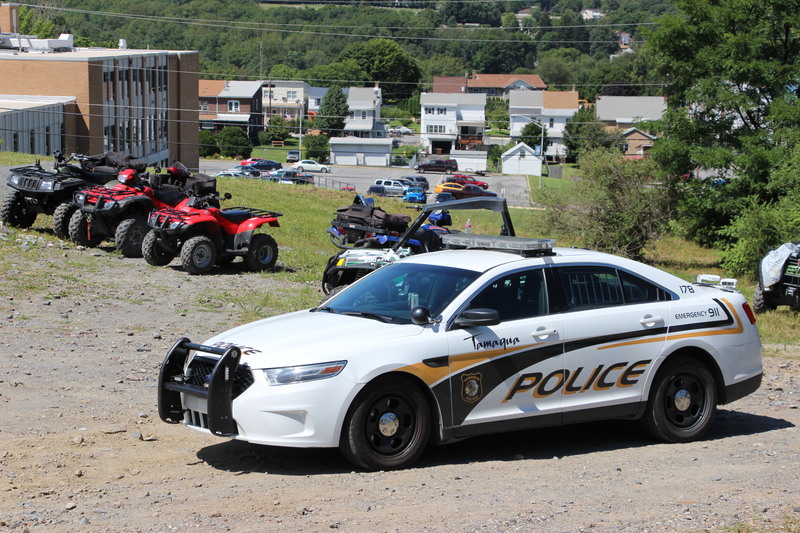 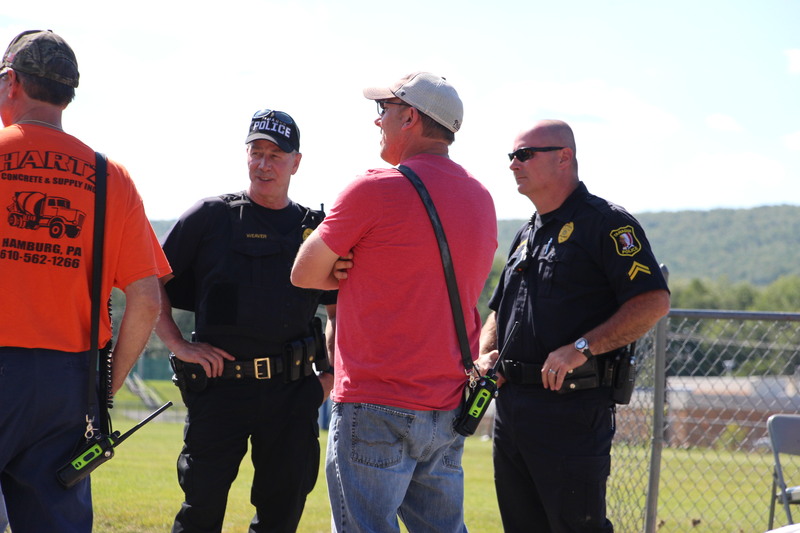 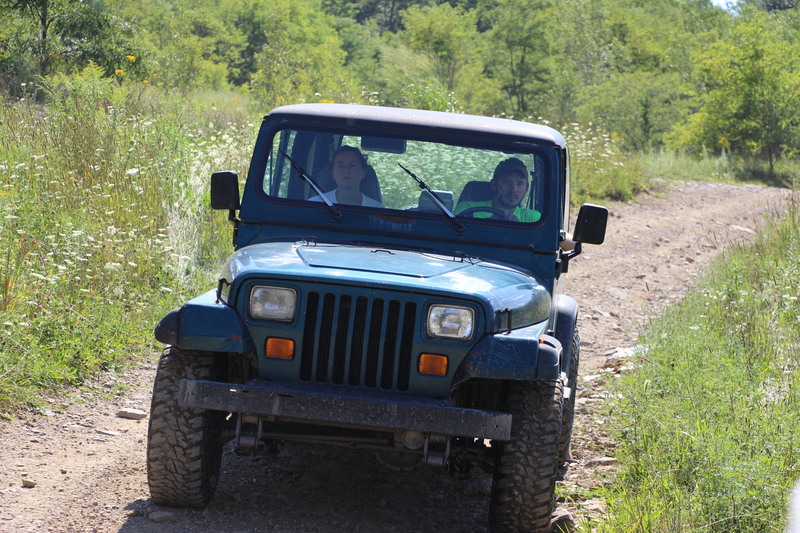 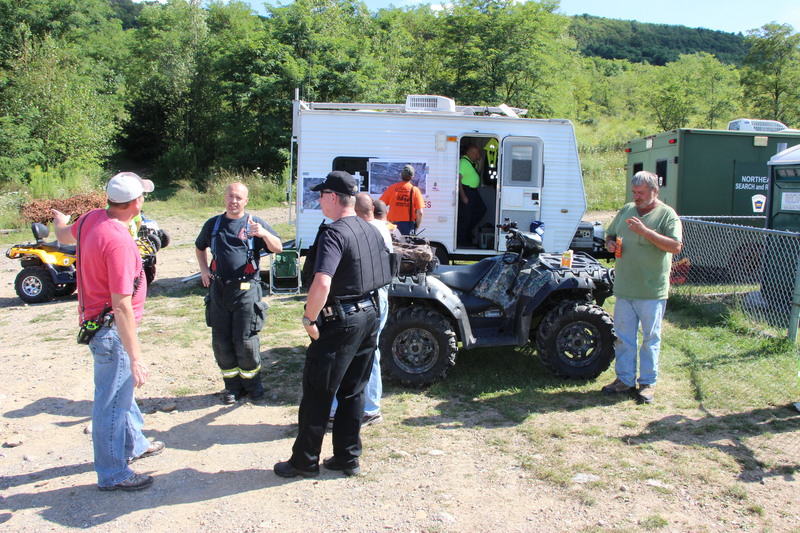 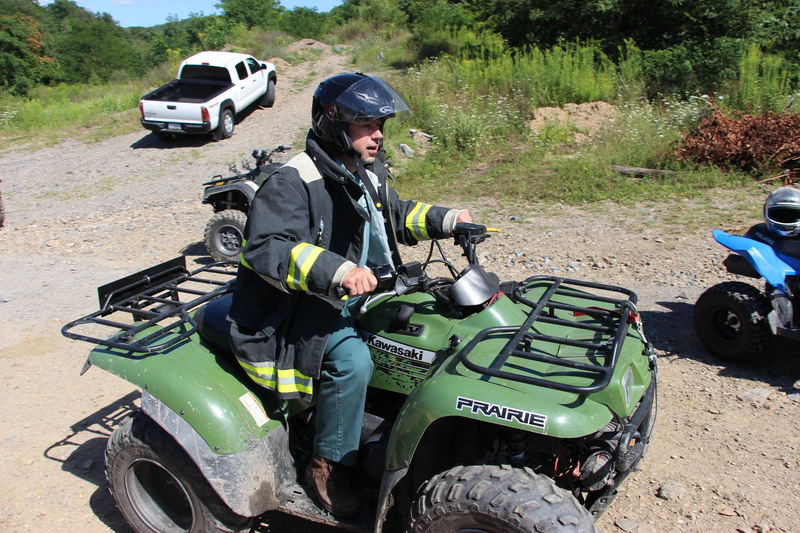 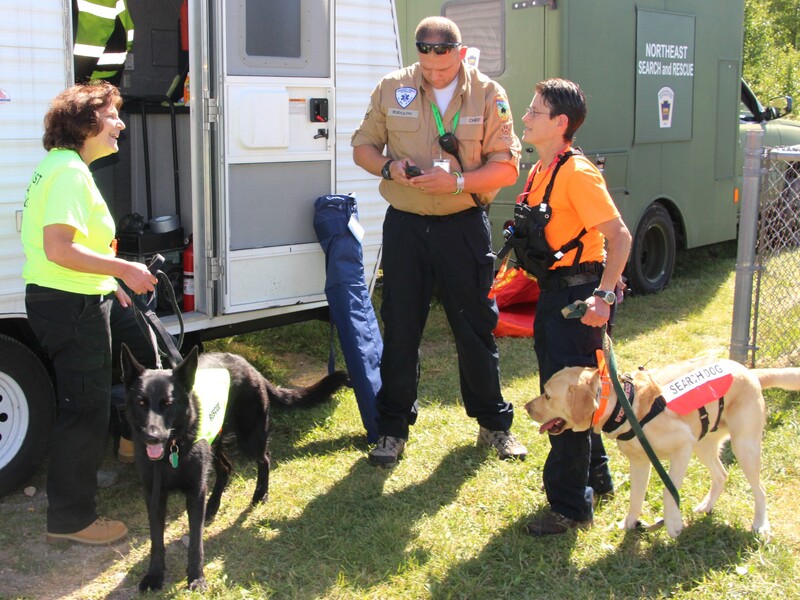 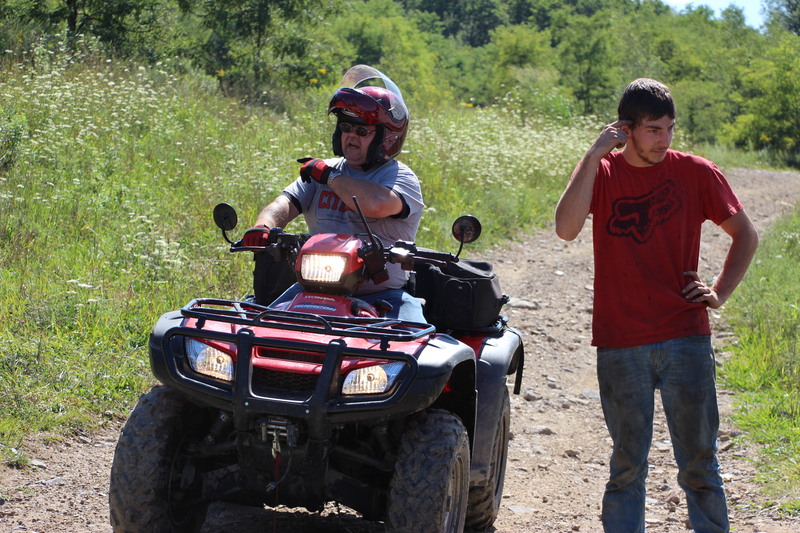 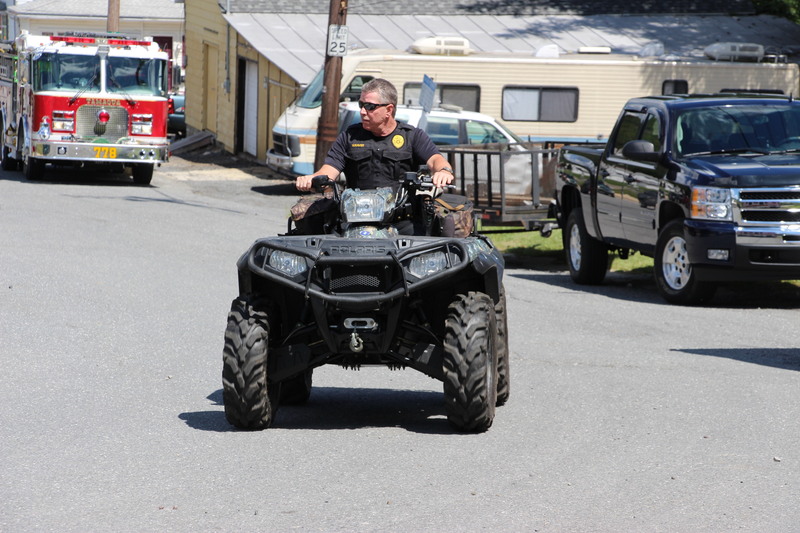 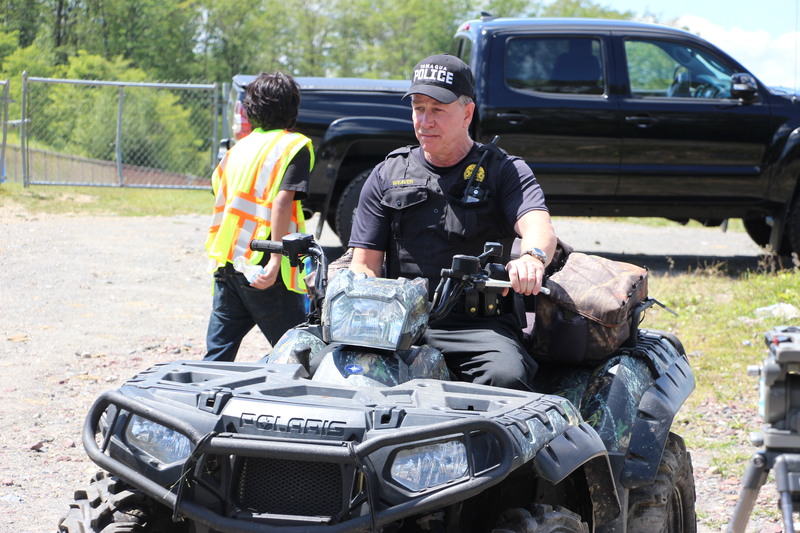 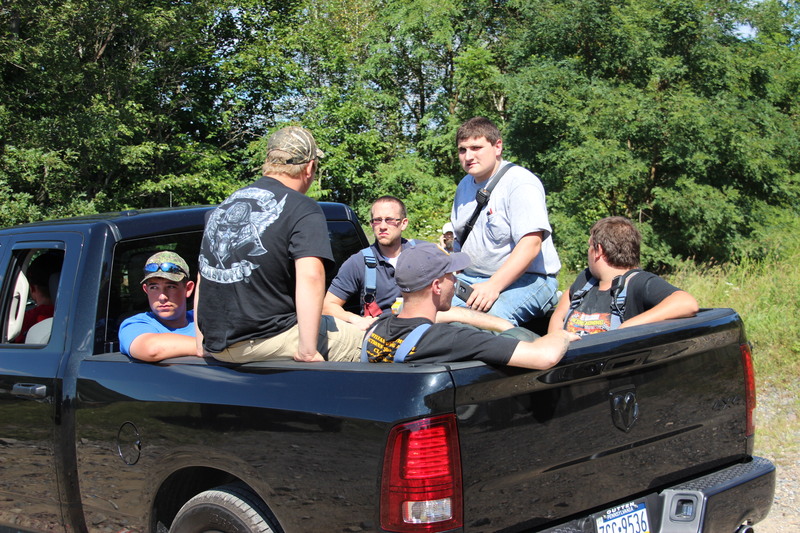 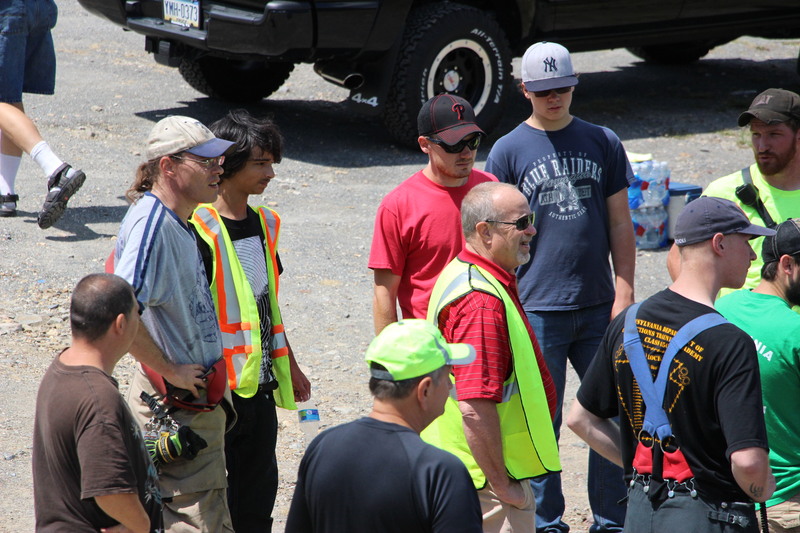 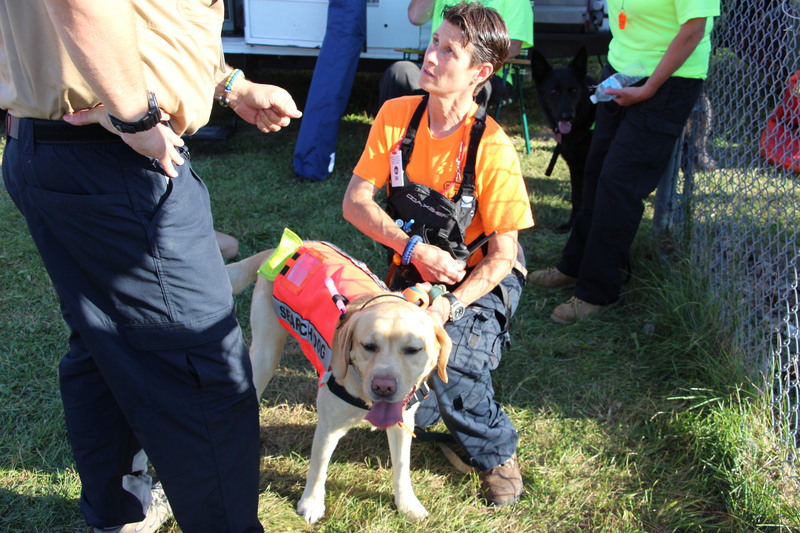 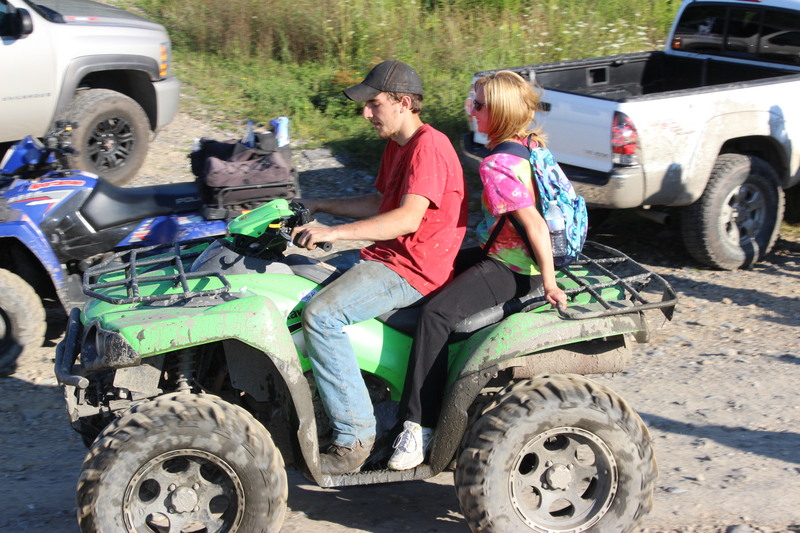 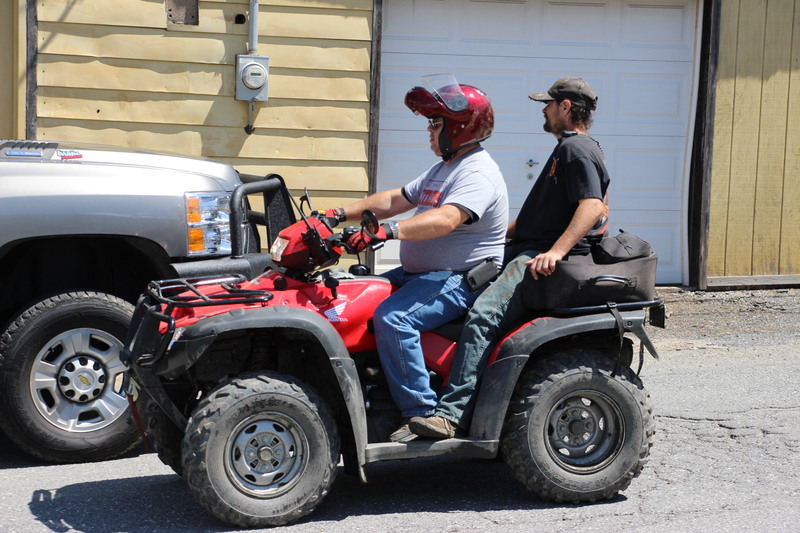 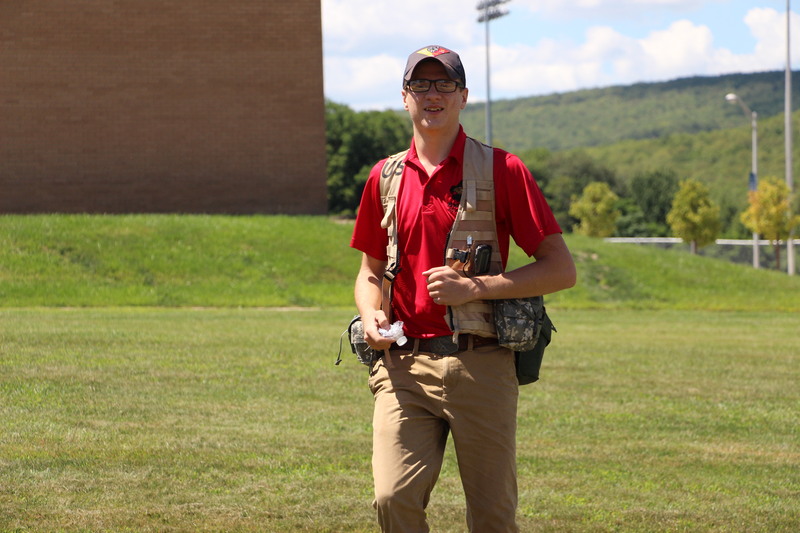 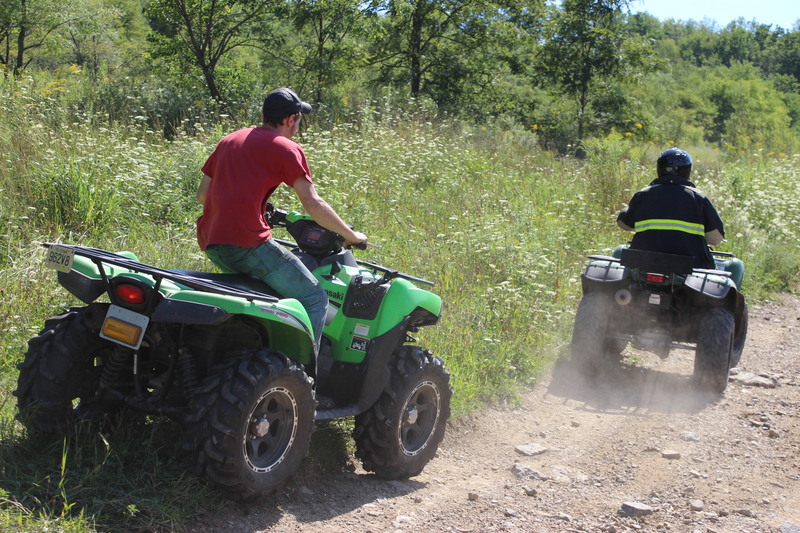 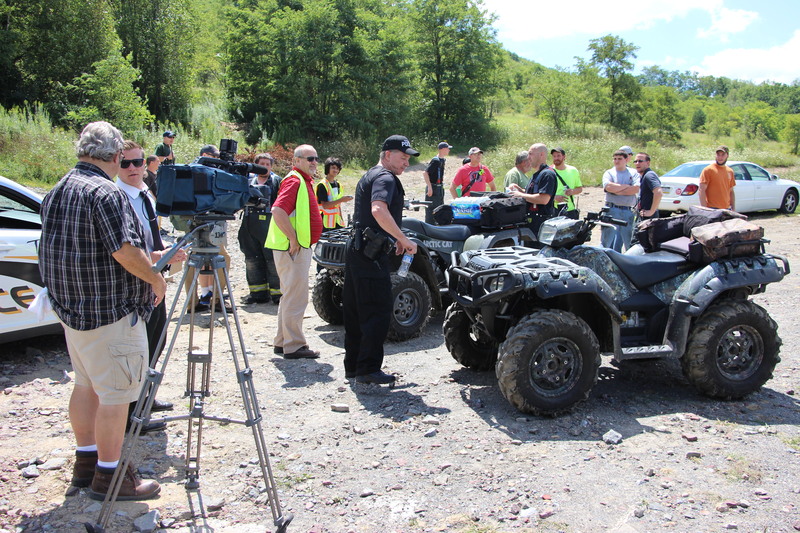 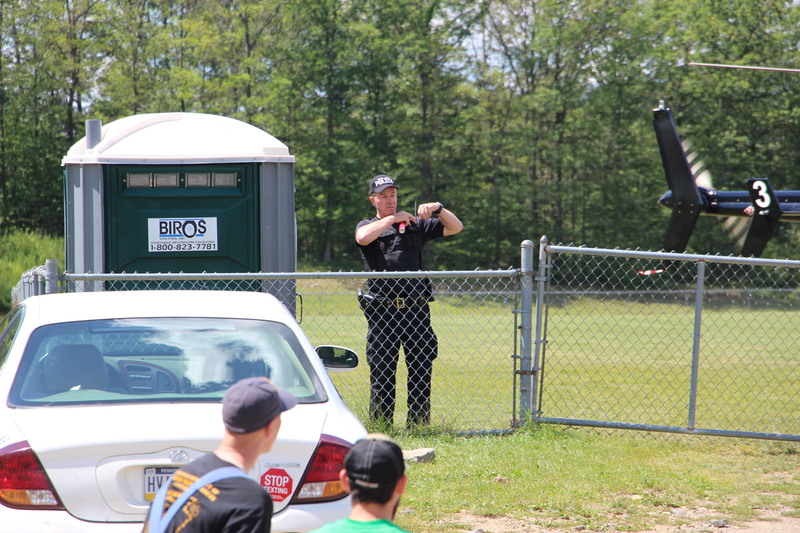 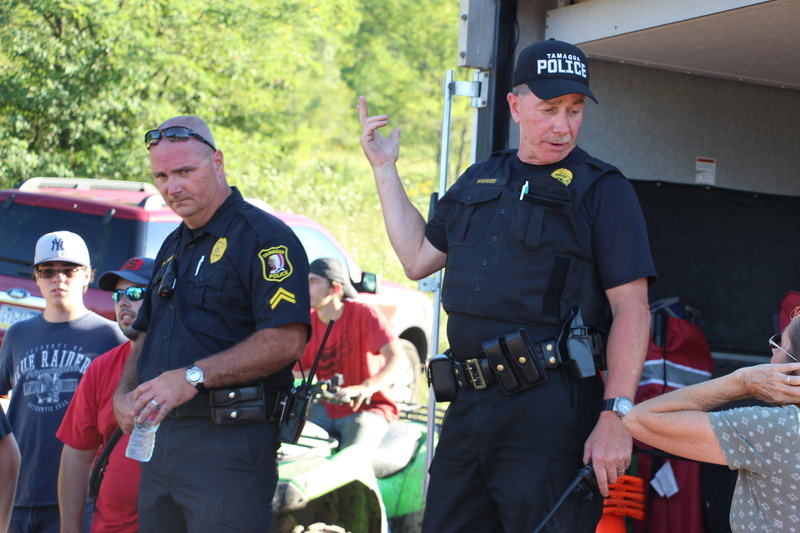 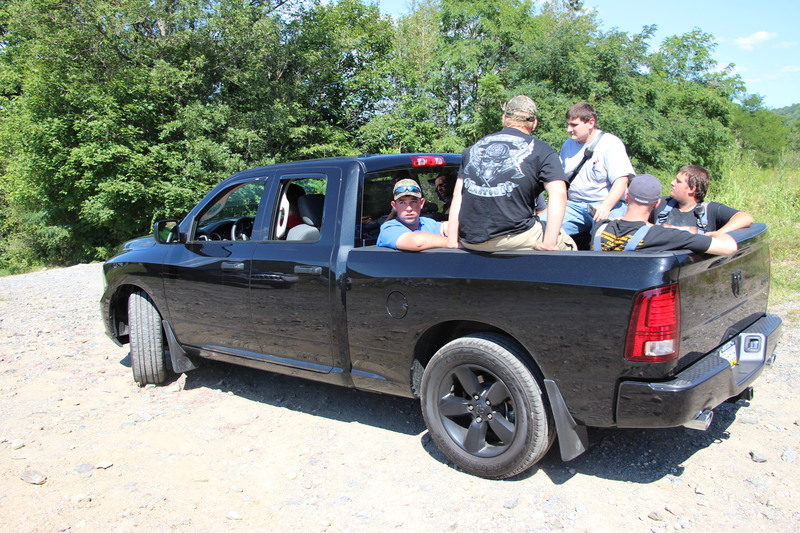 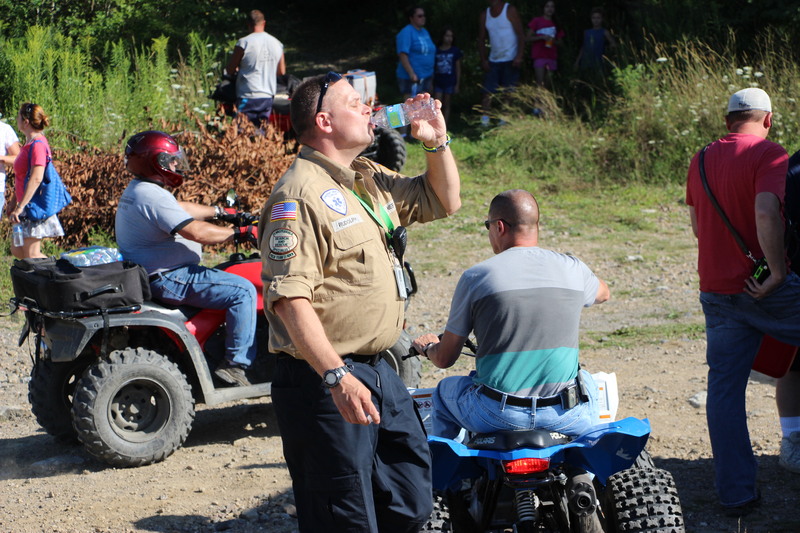 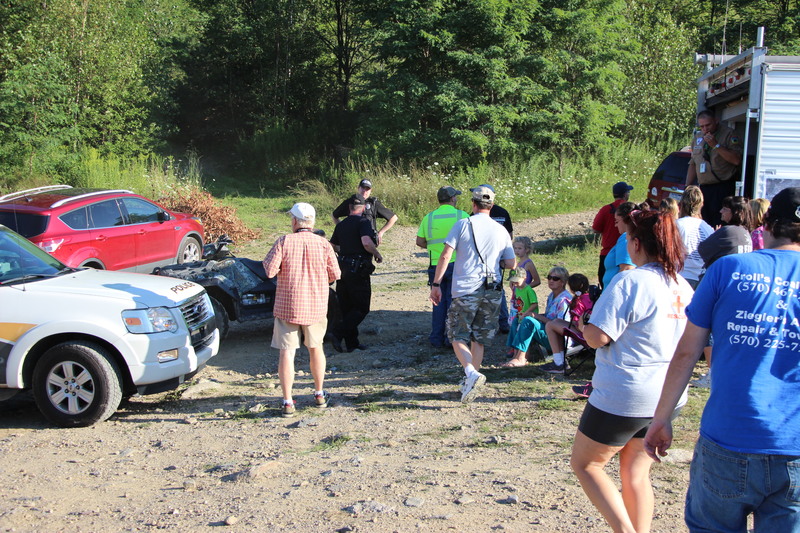 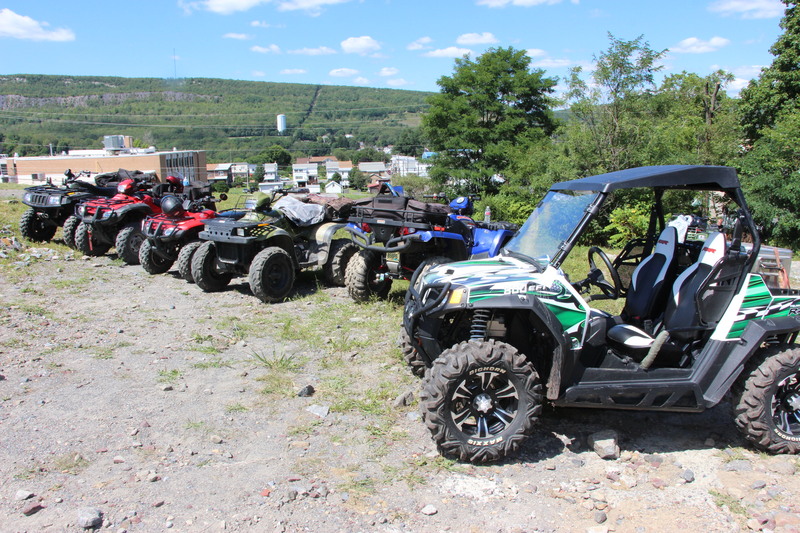 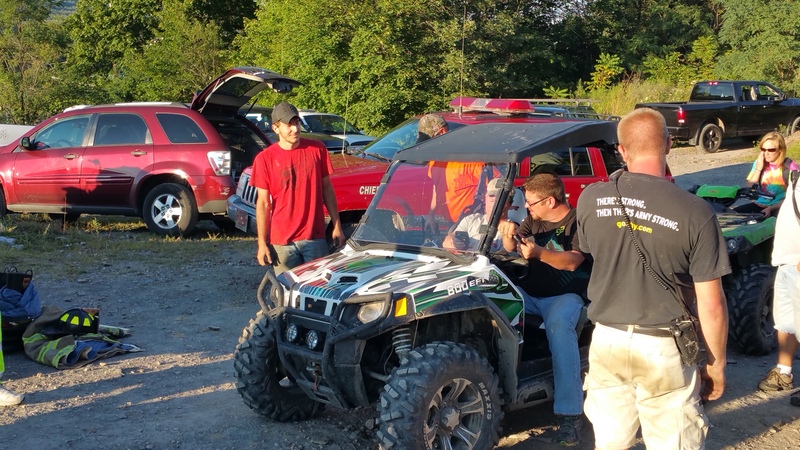 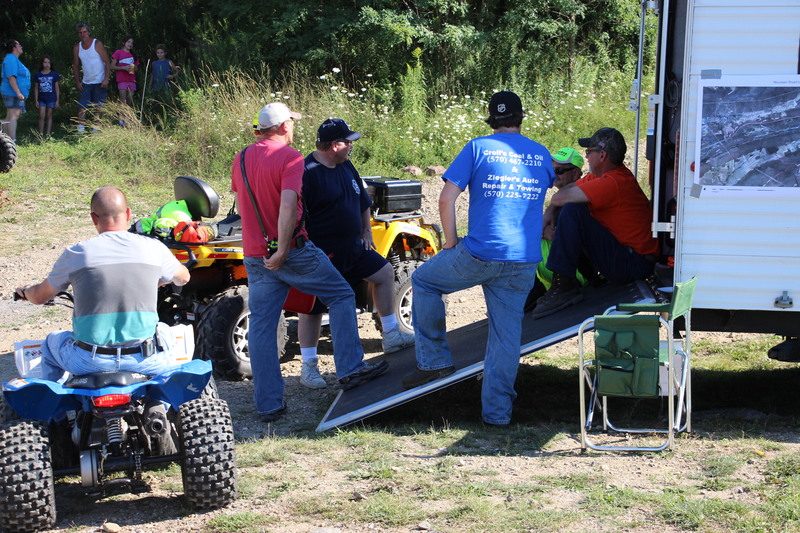 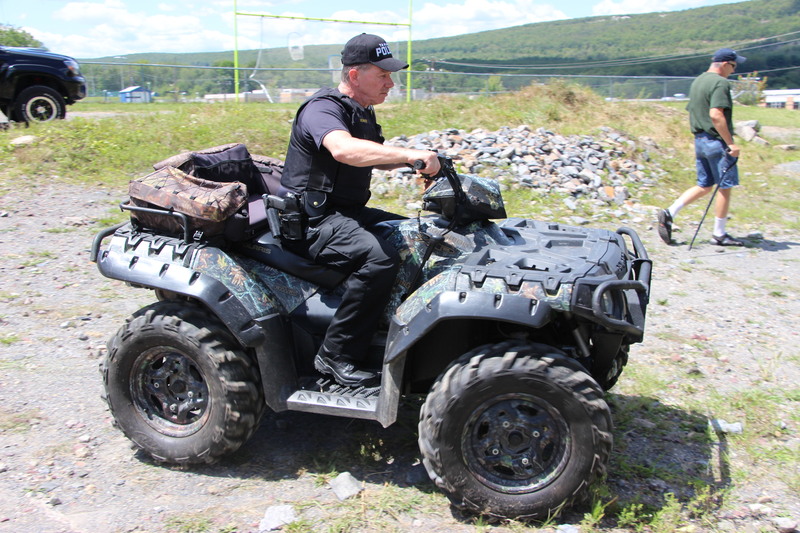 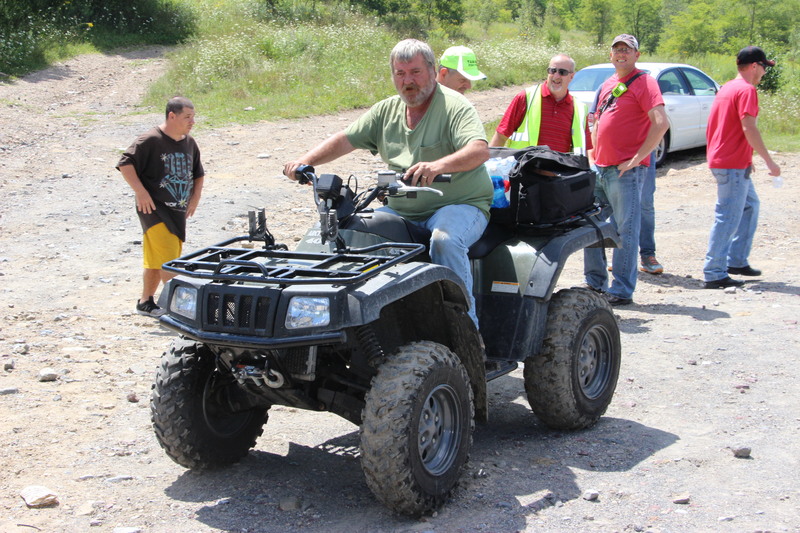 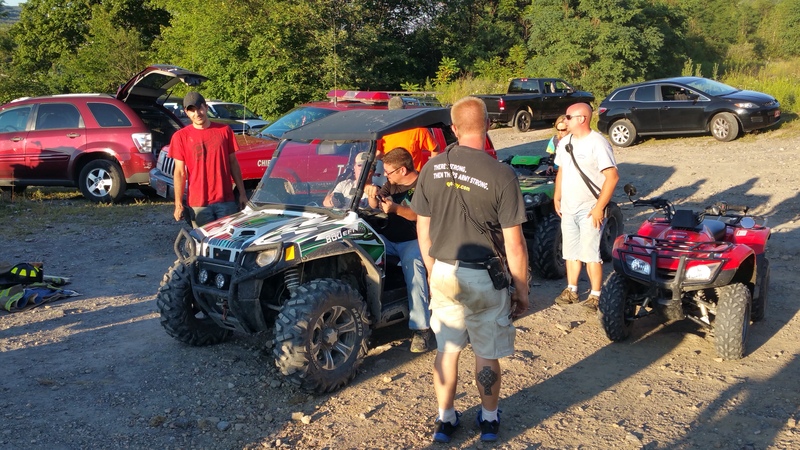 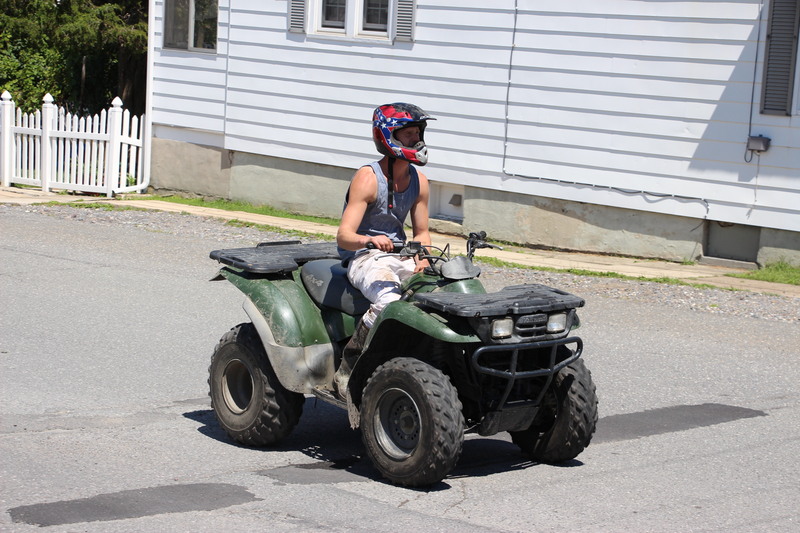 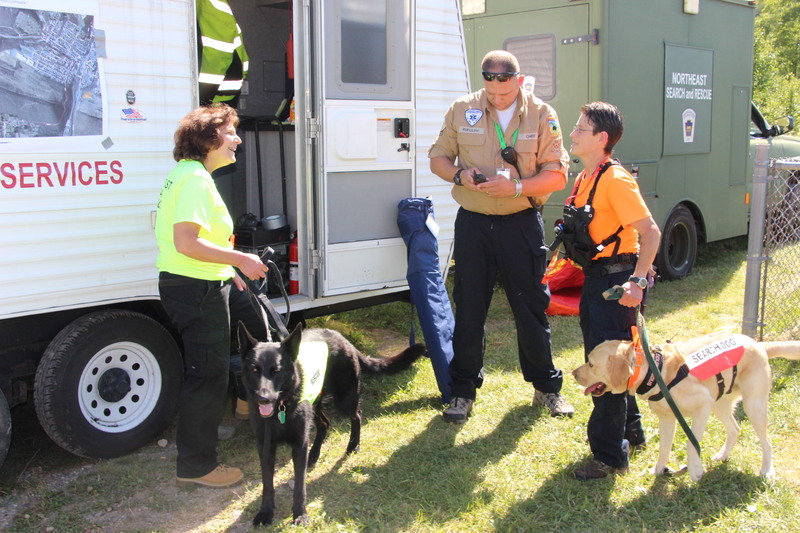 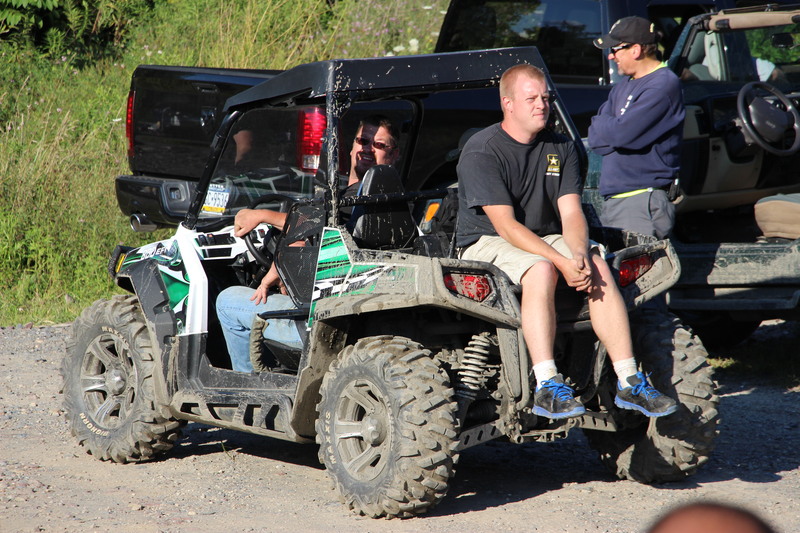 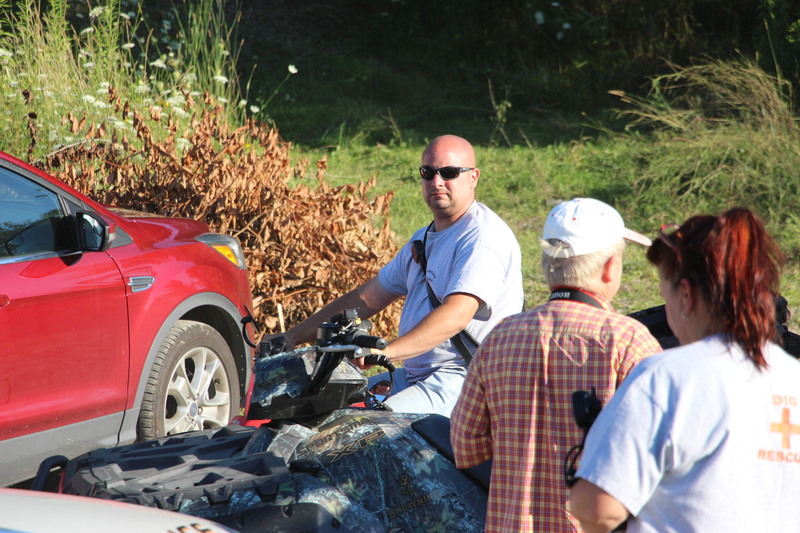 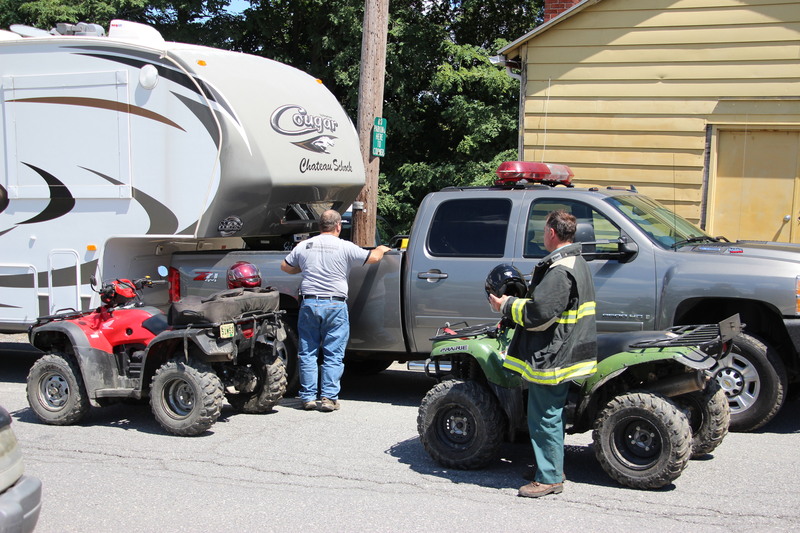 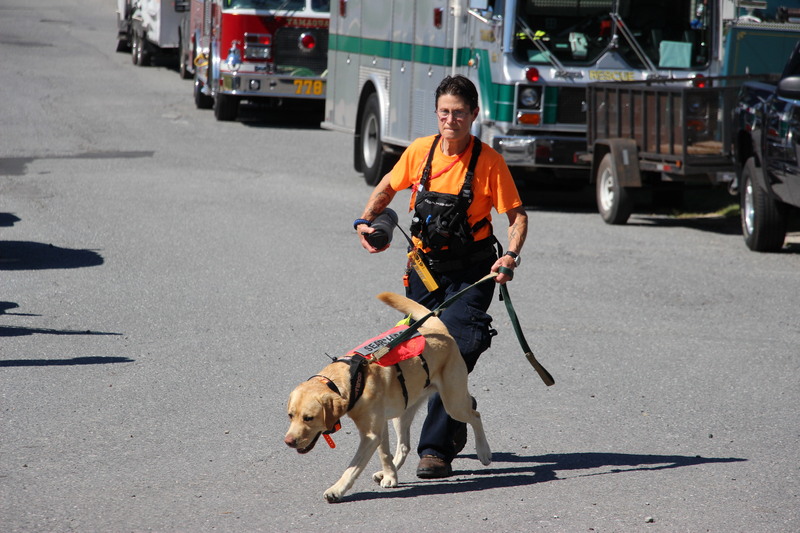 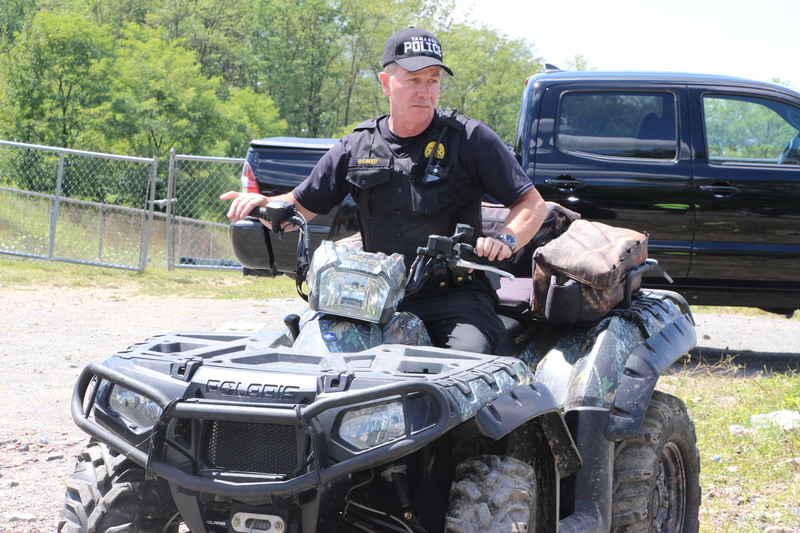 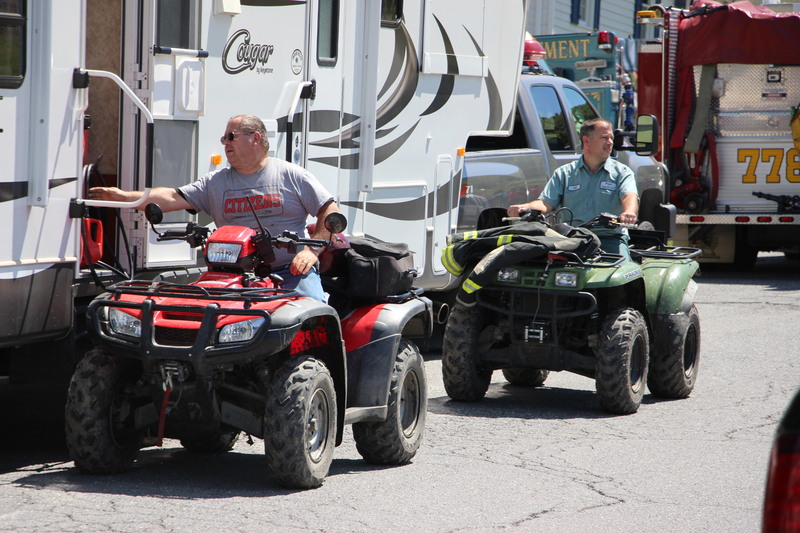 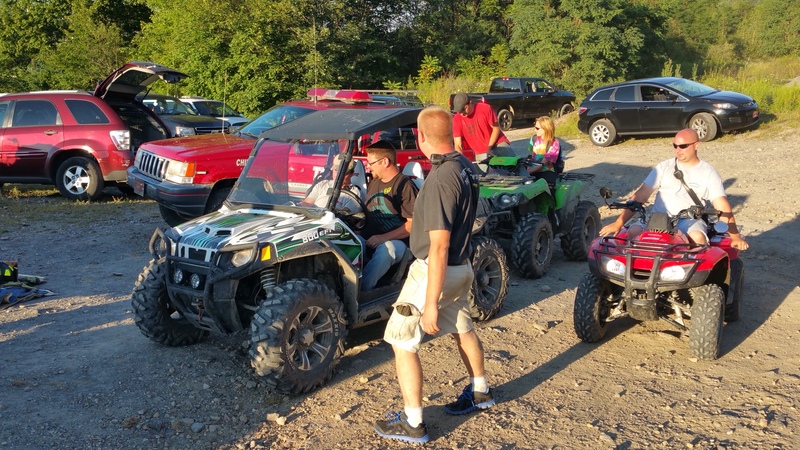 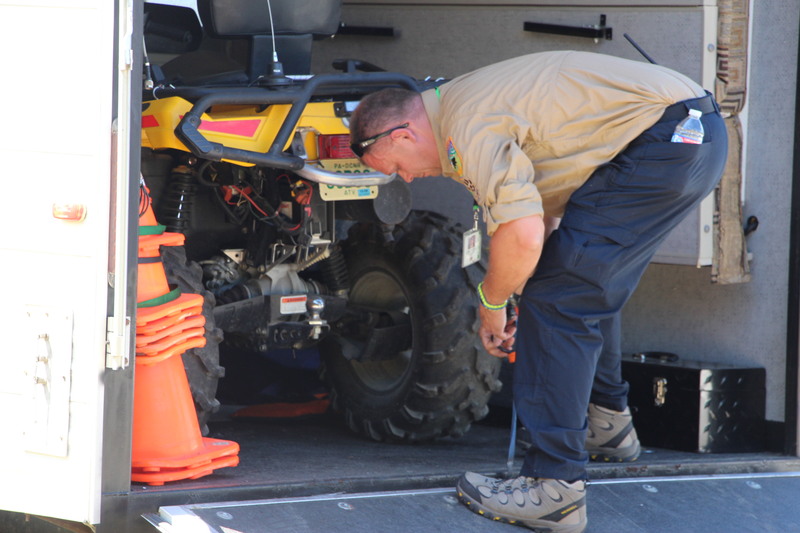 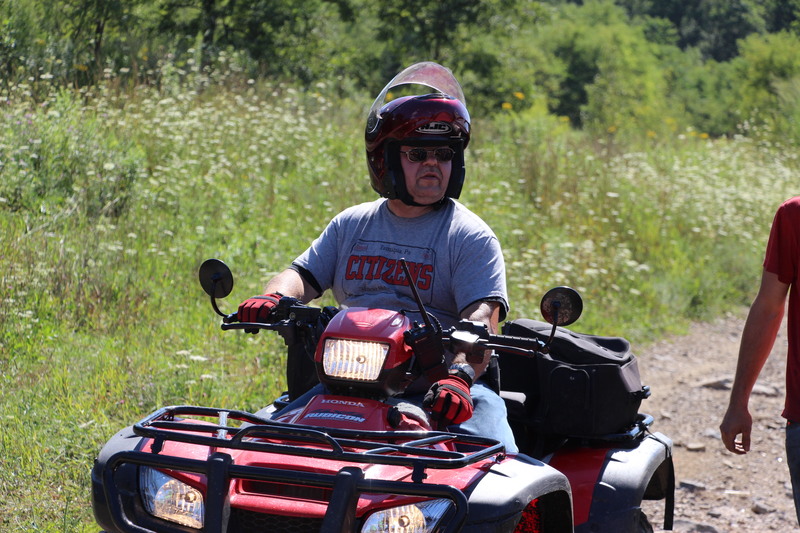 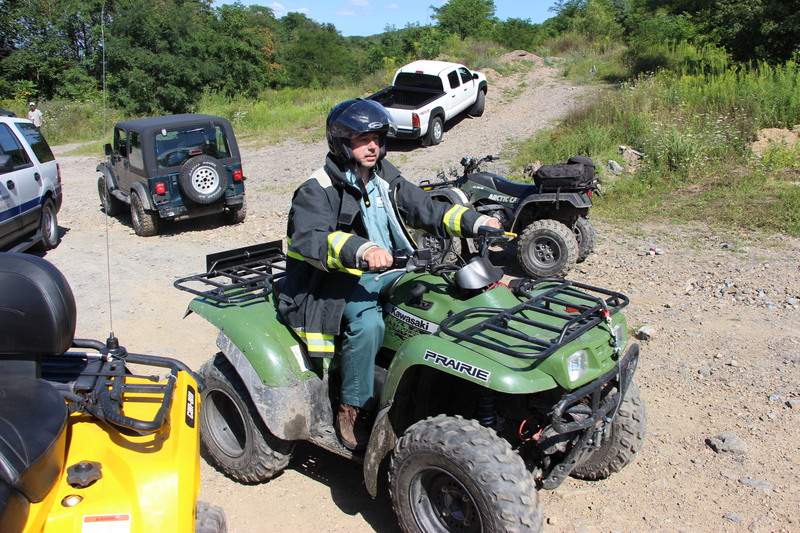 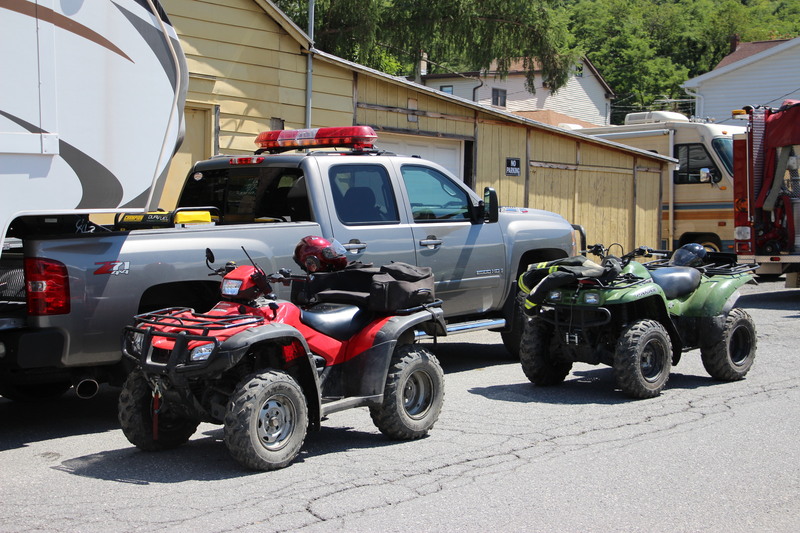 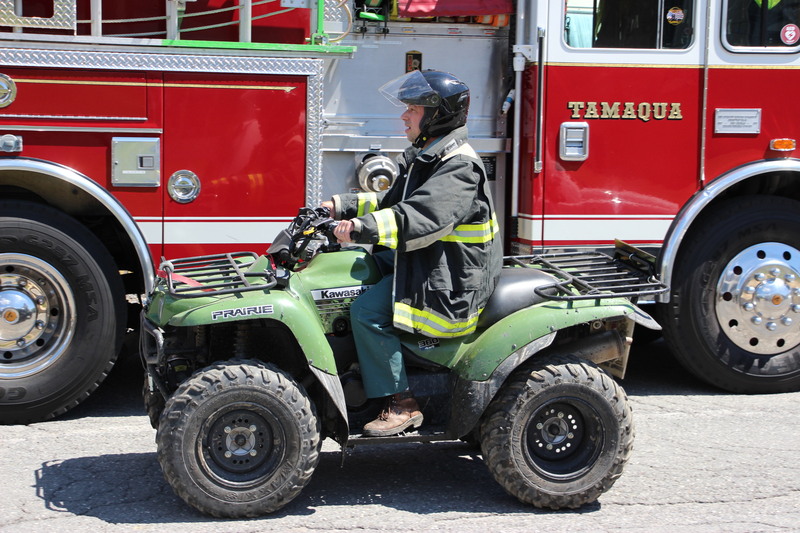 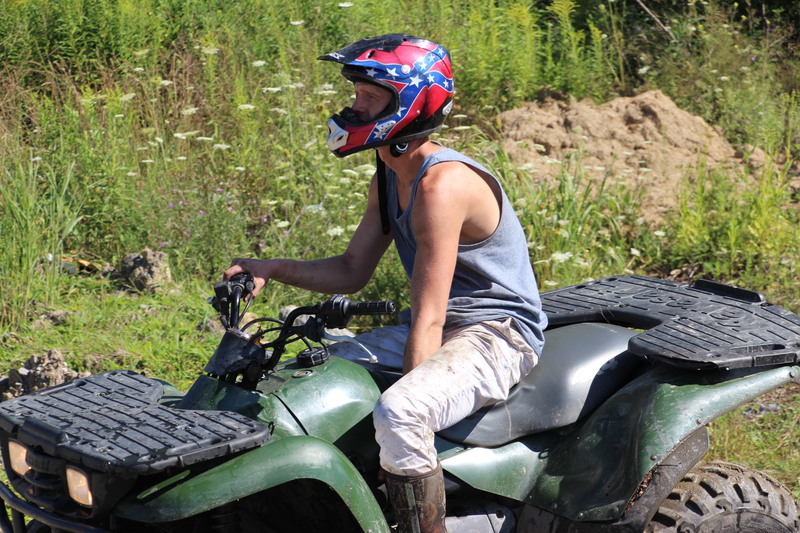 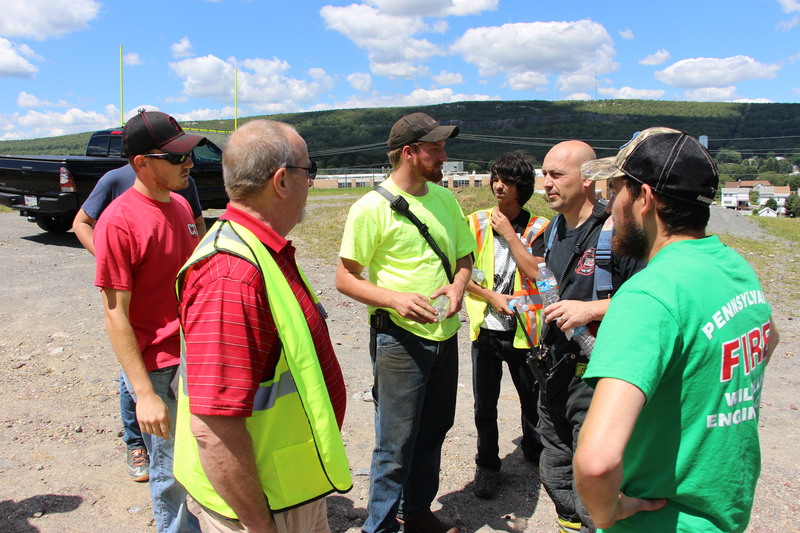 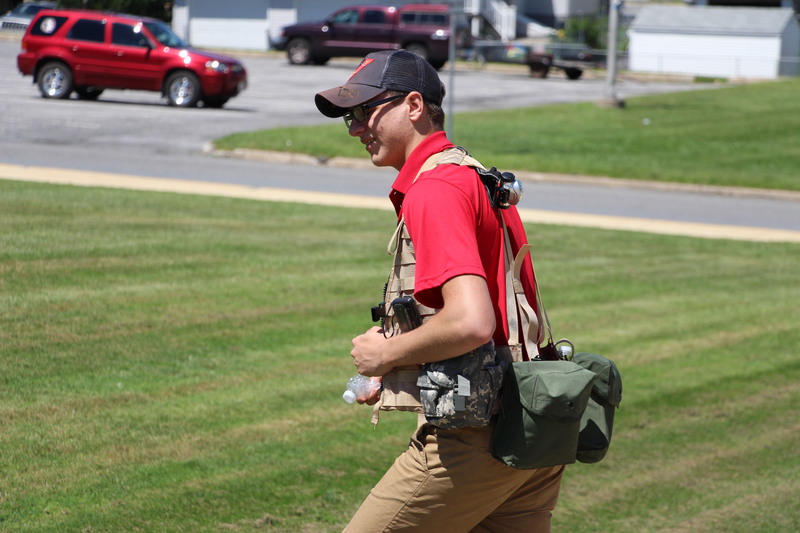 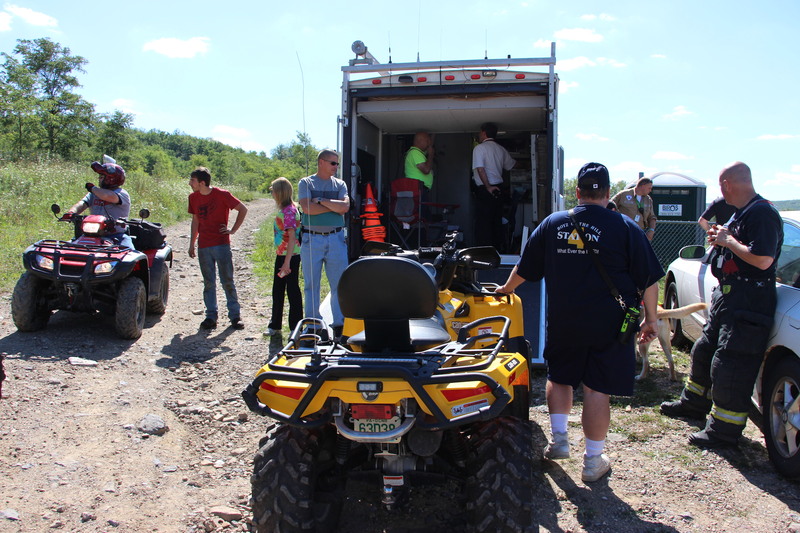 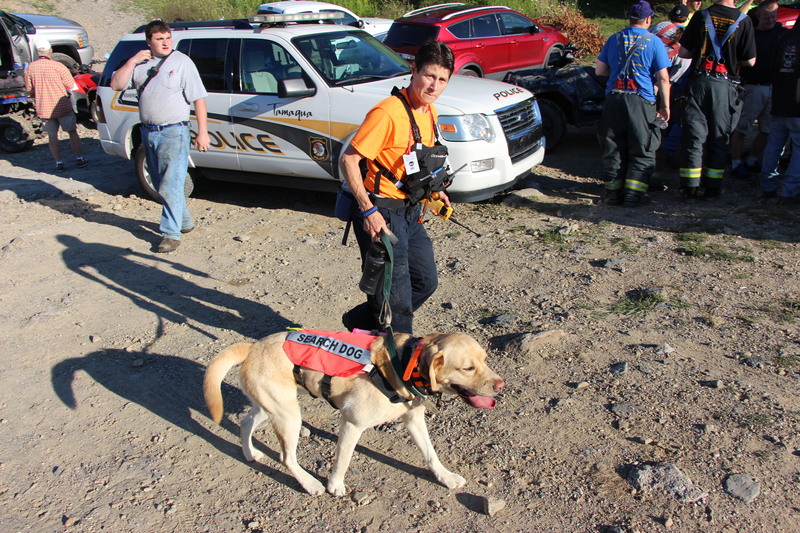 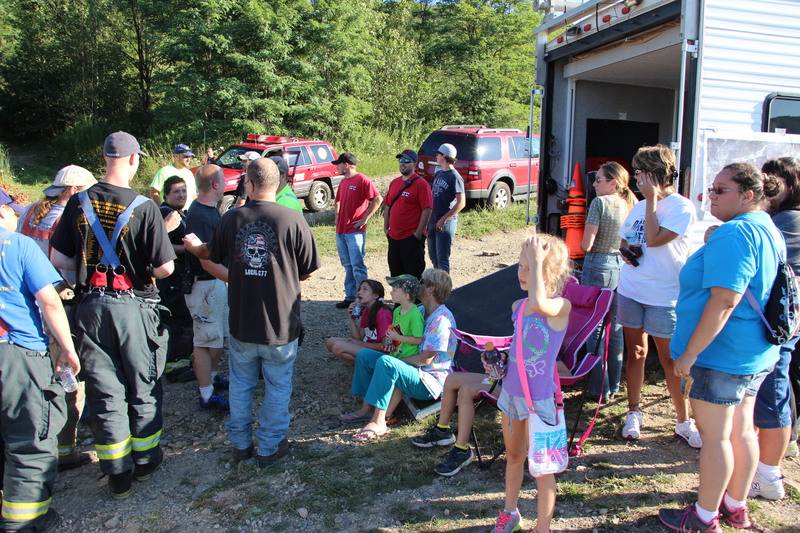 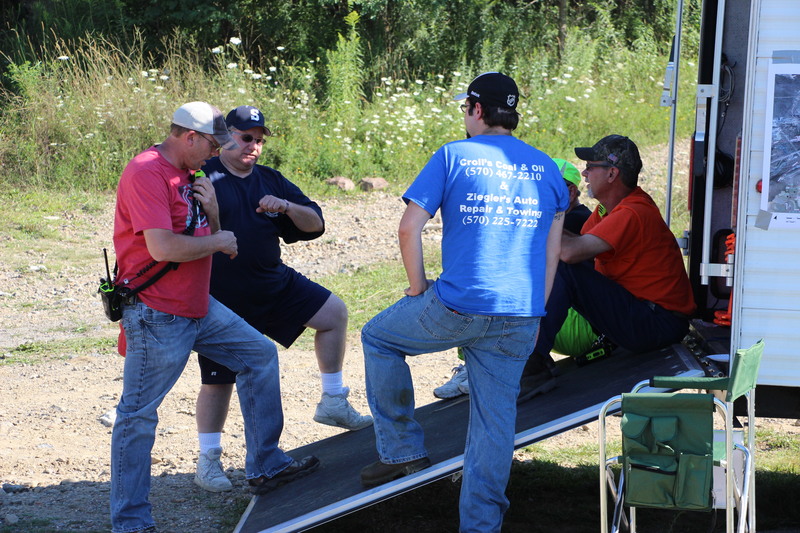 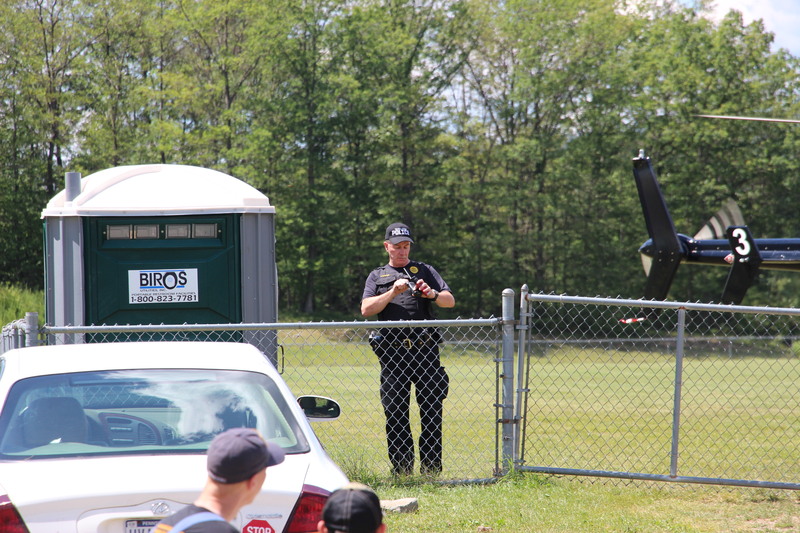 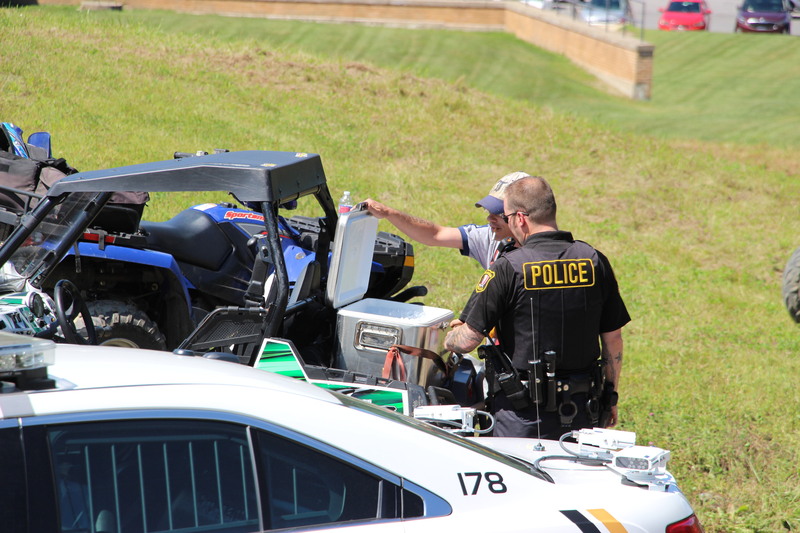 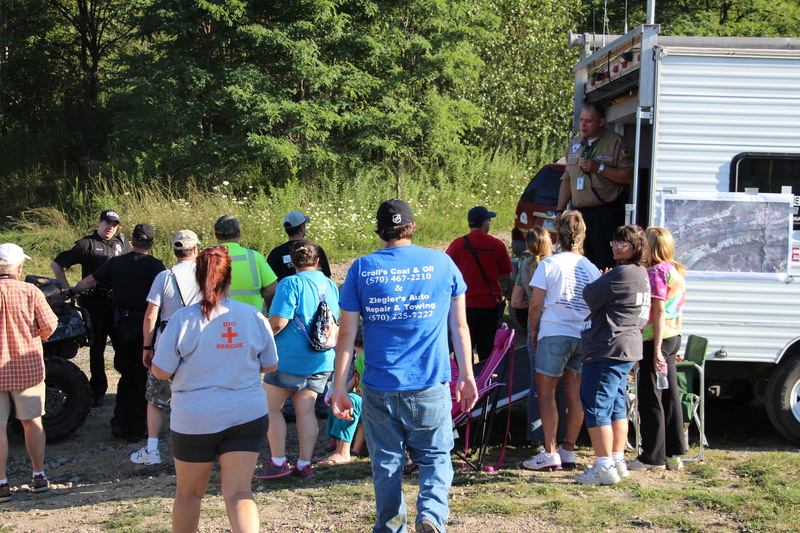 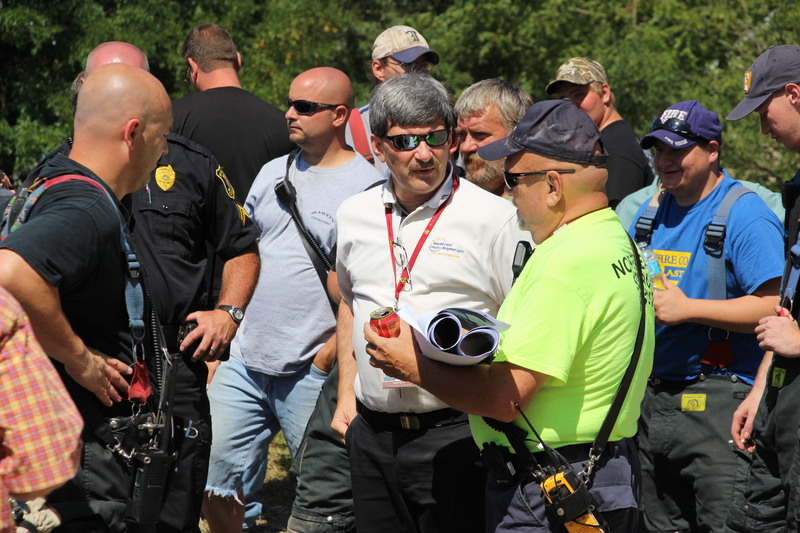 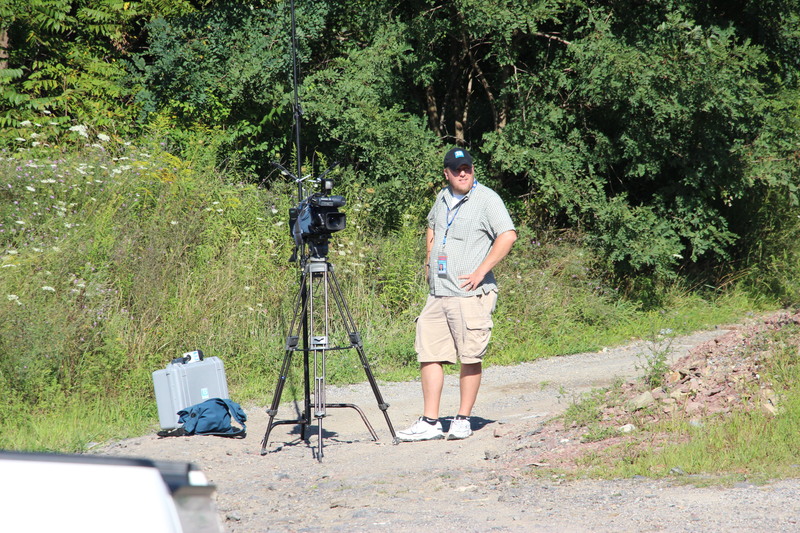 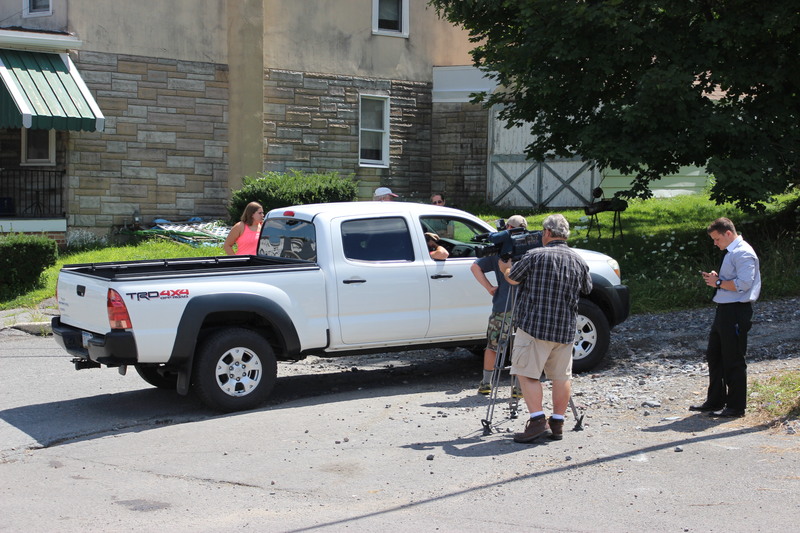 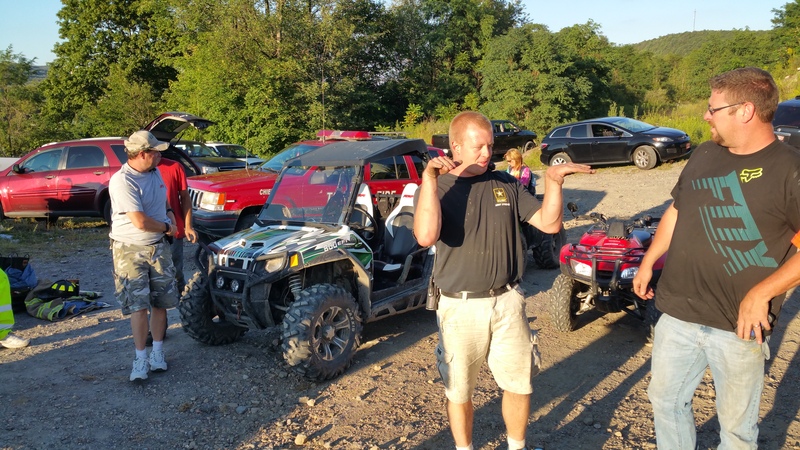 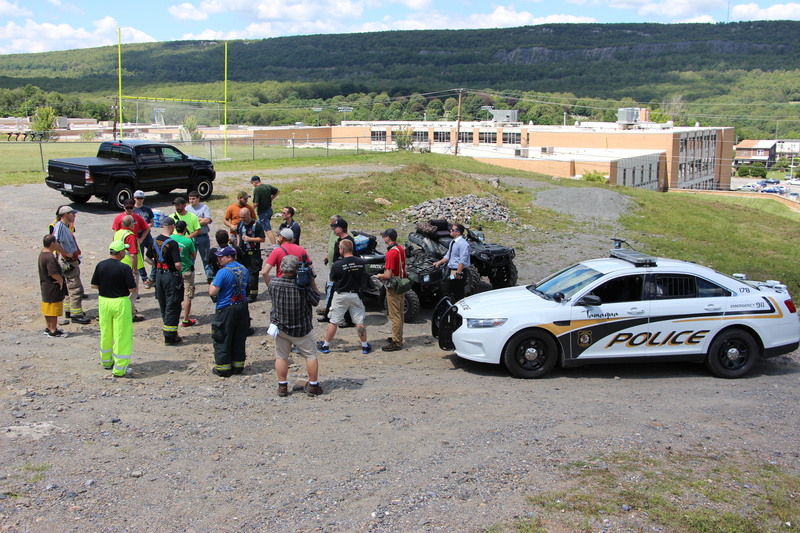 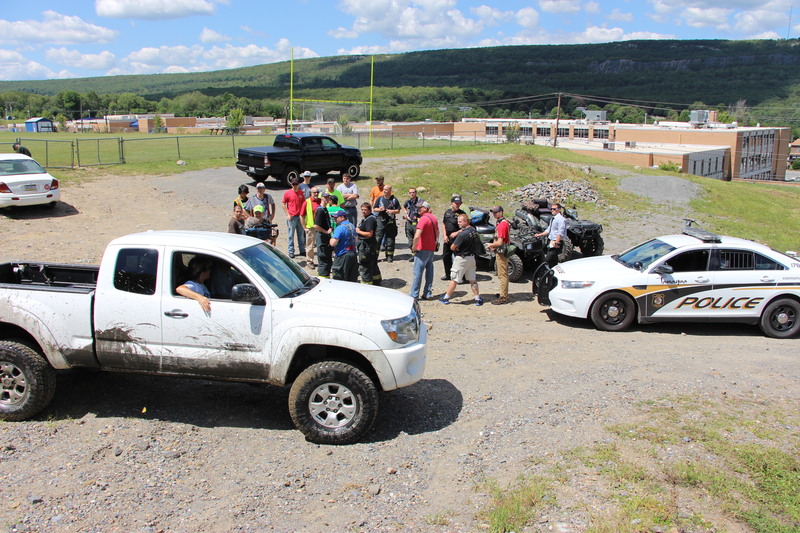 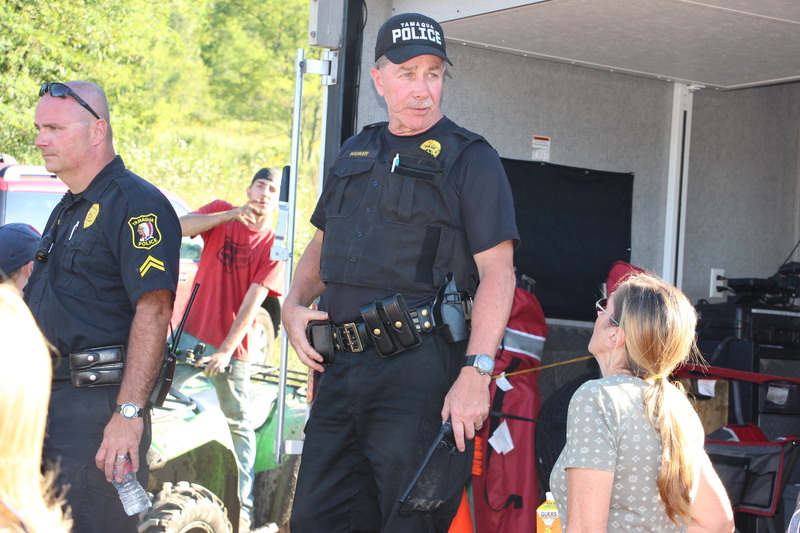 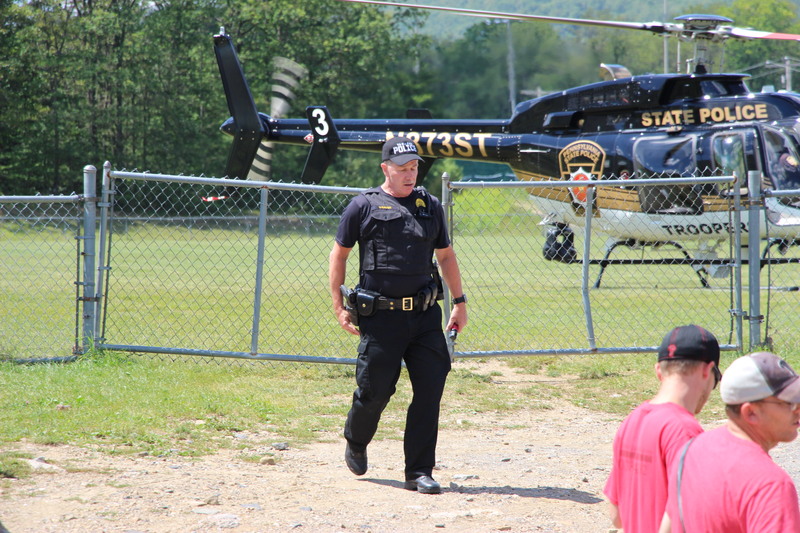 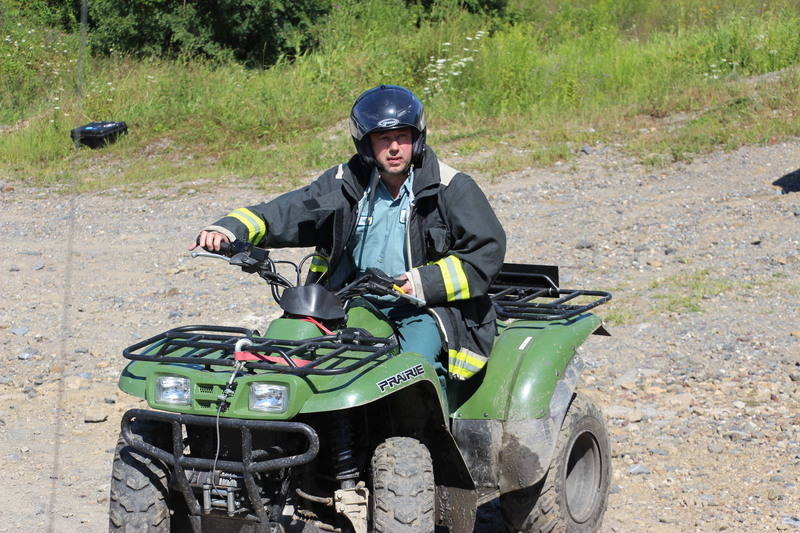 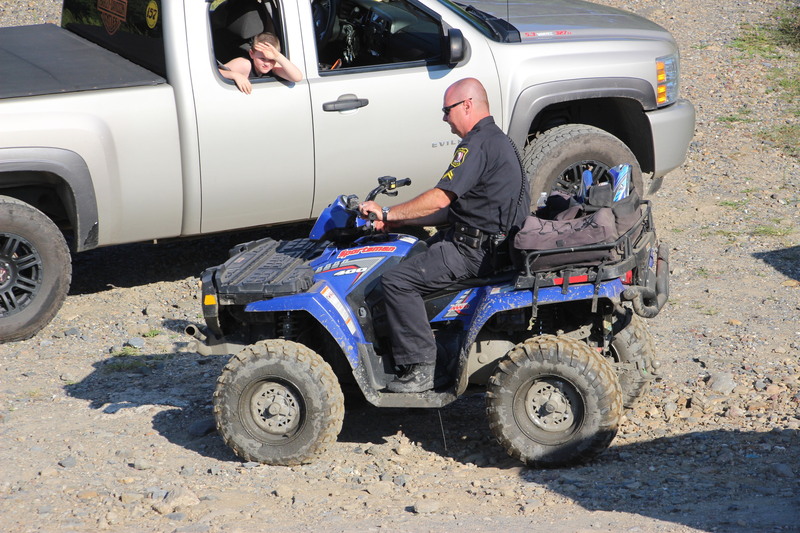 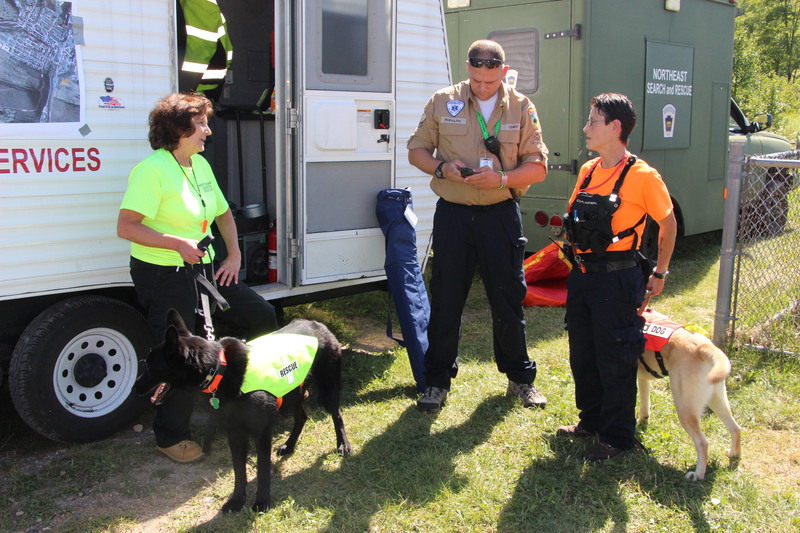 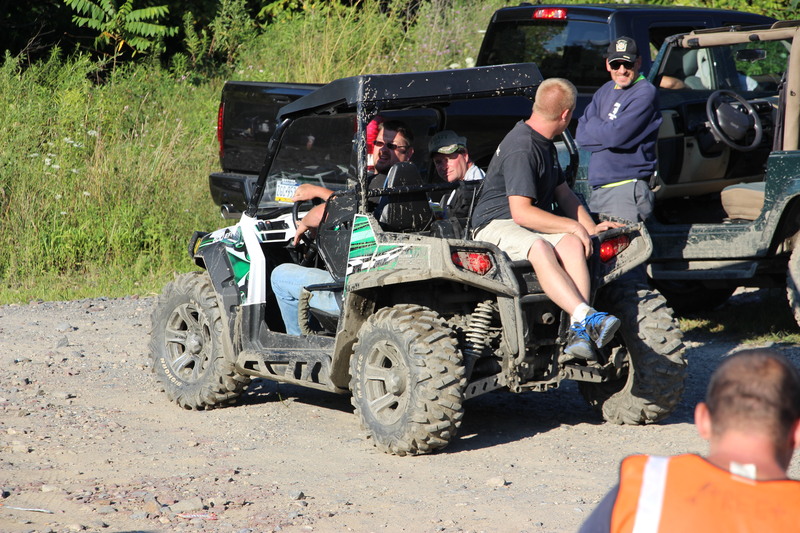 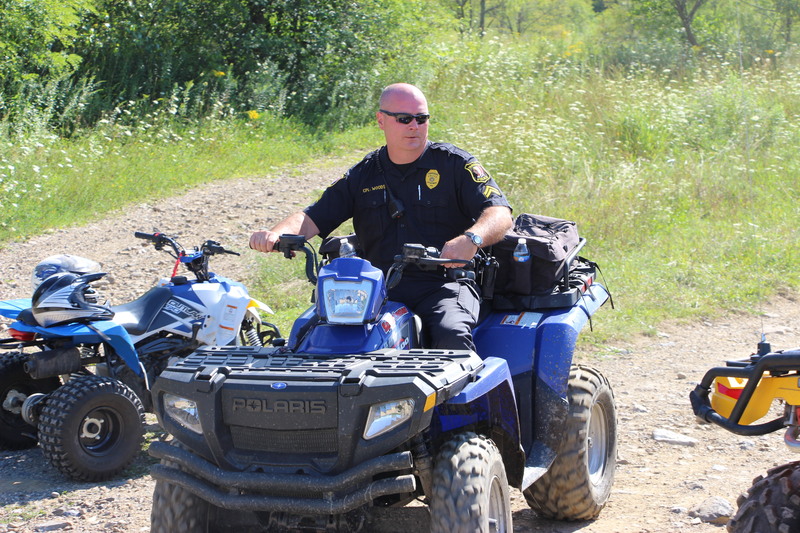 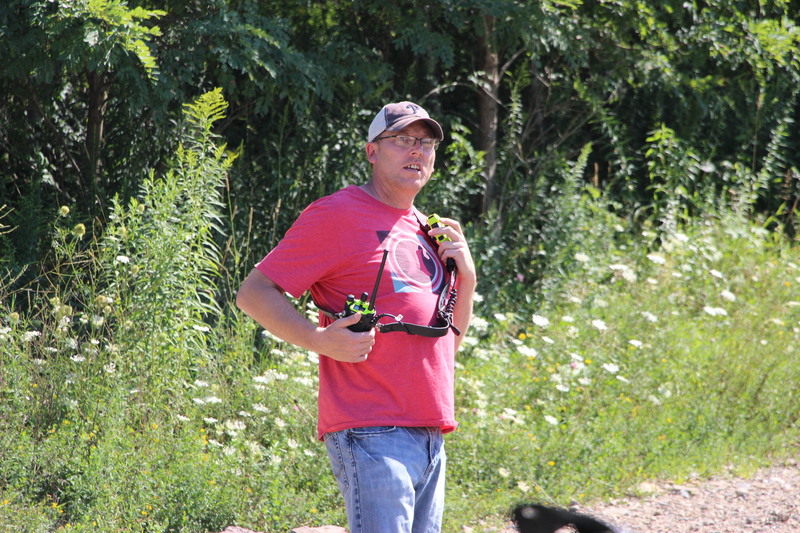 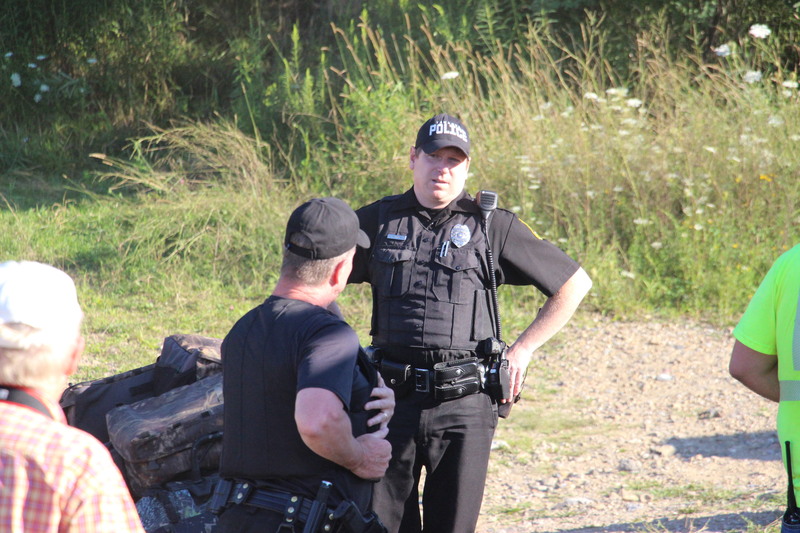 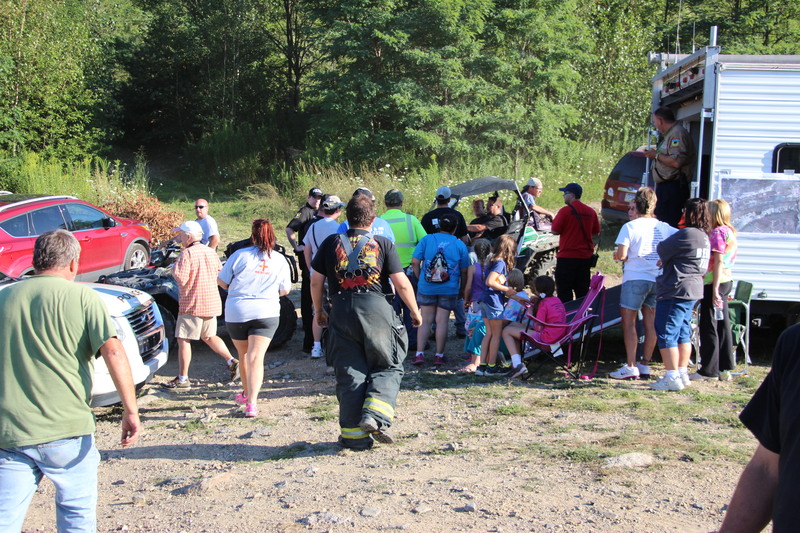 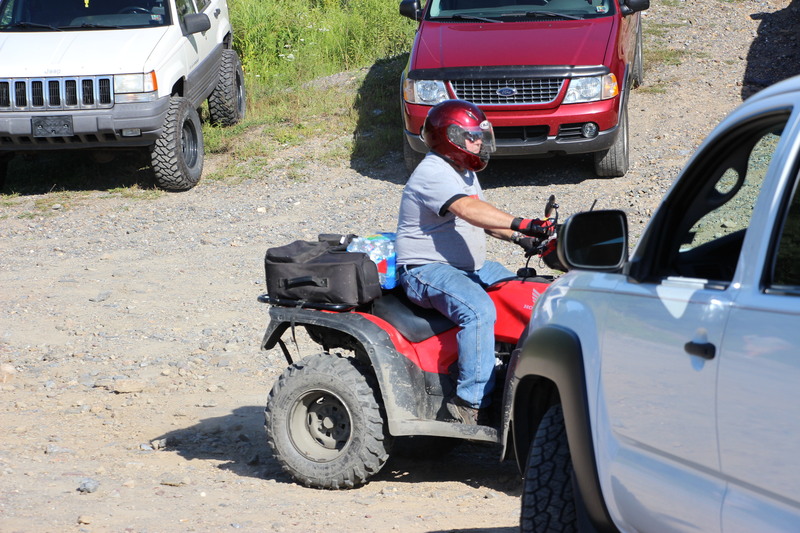 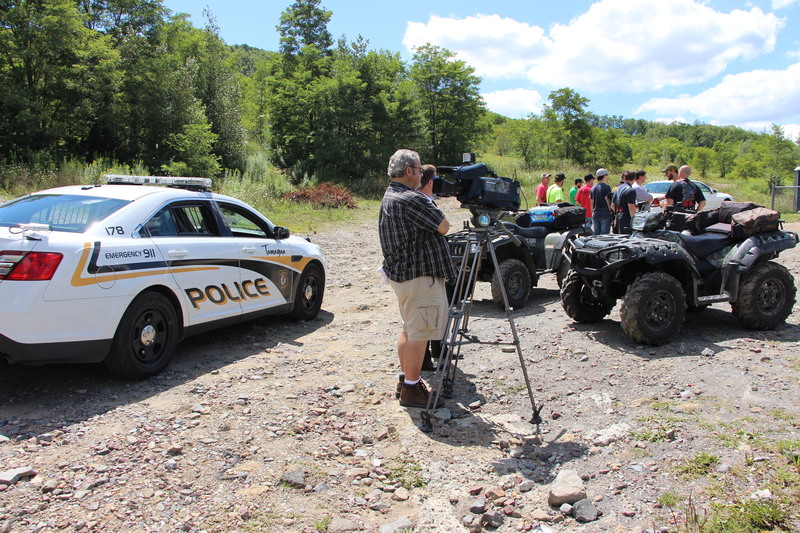 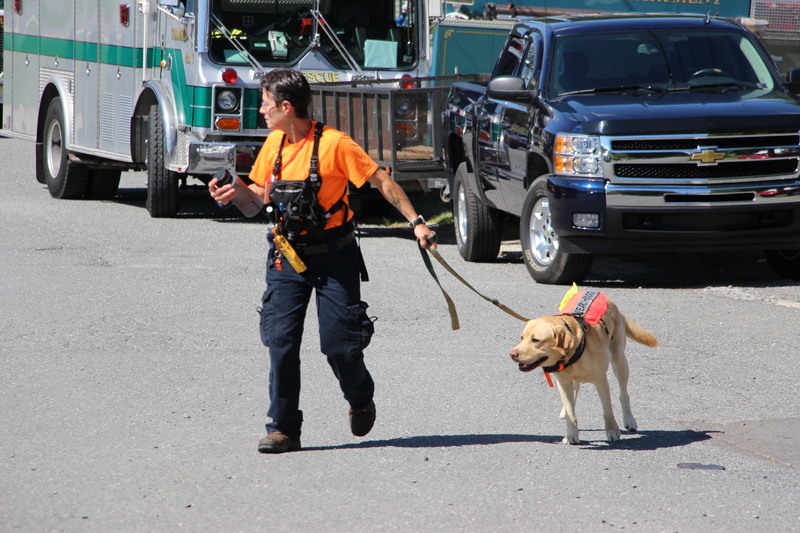 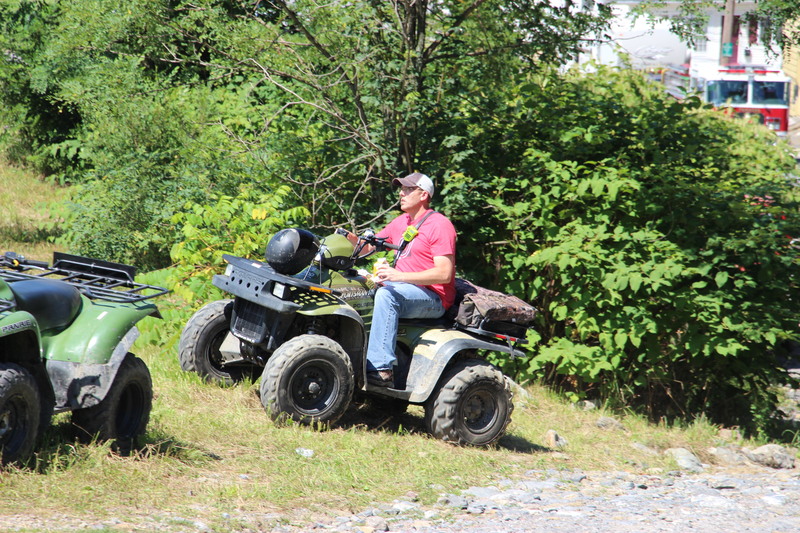 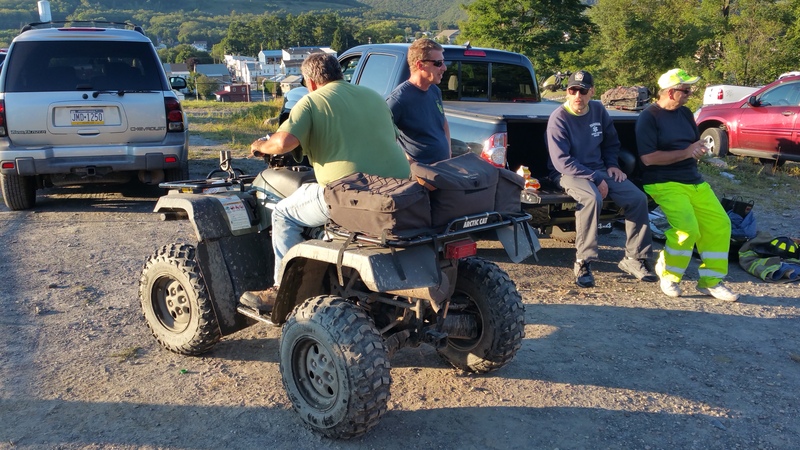 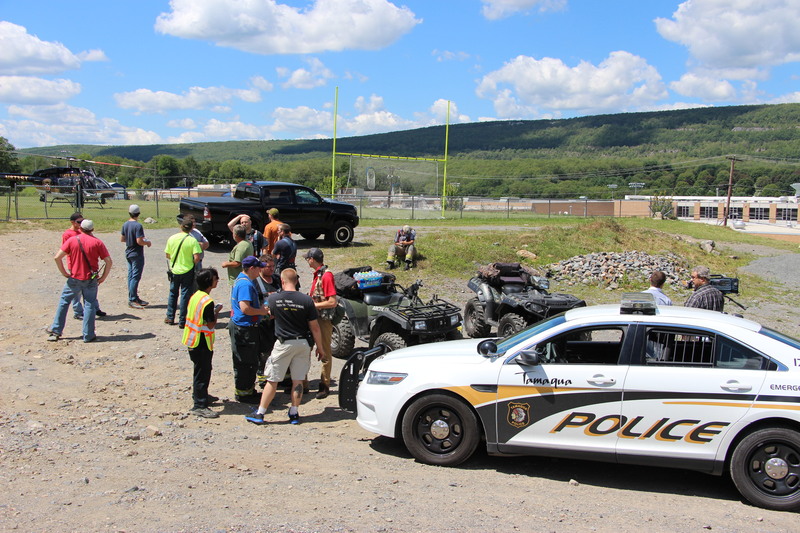 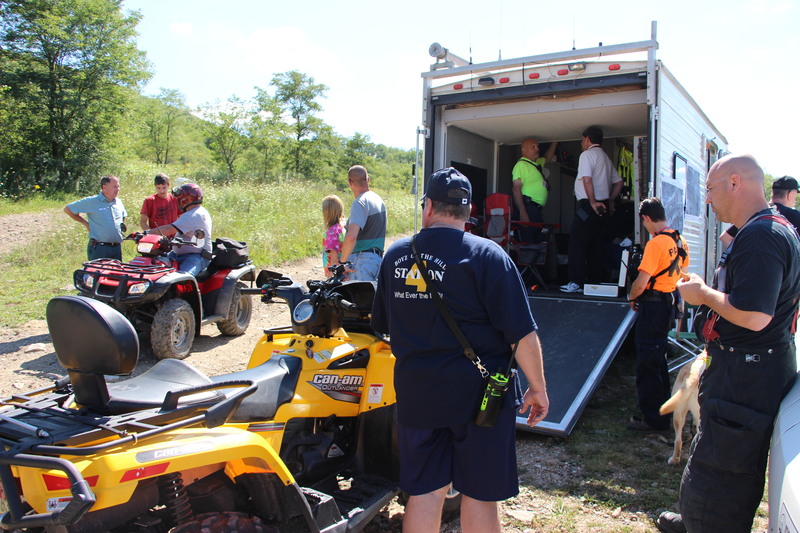 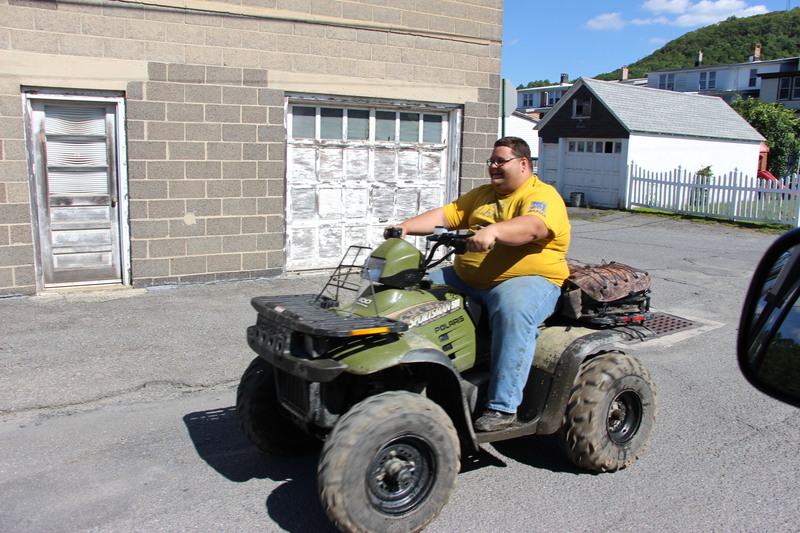 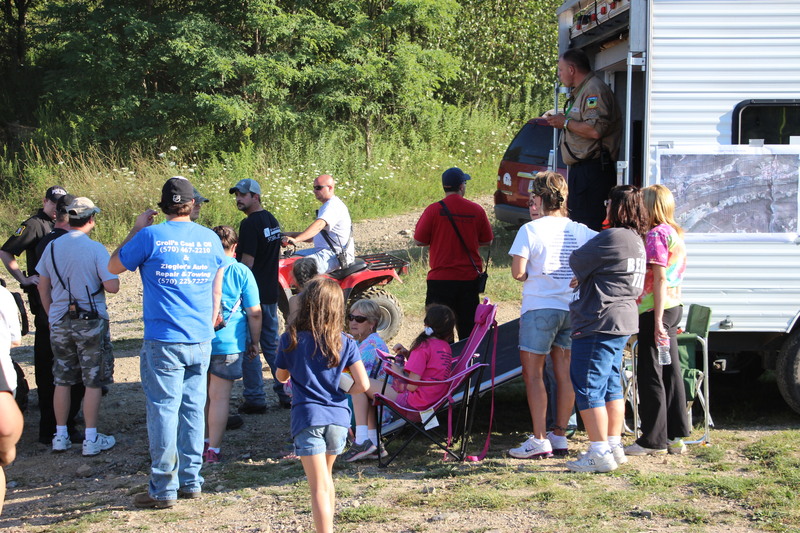 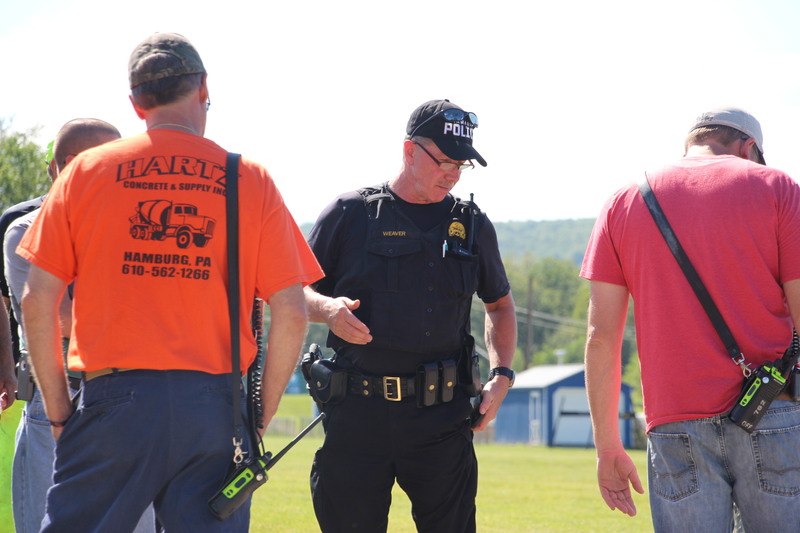 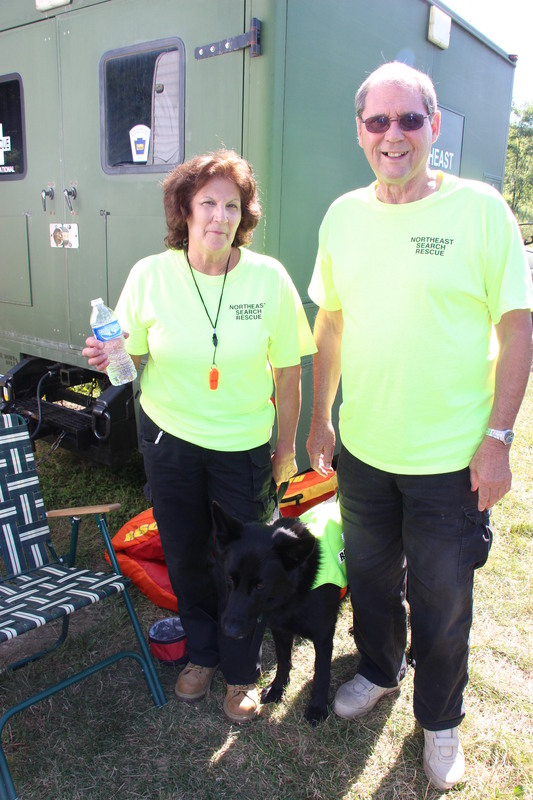 Teams utilized all terrain vehicles (ATV’s), off-road vehicles, a drone, and search dogs. 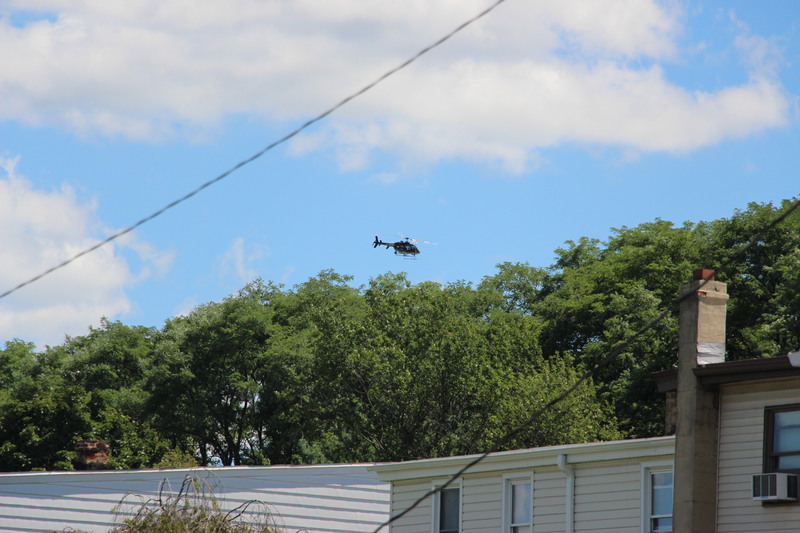 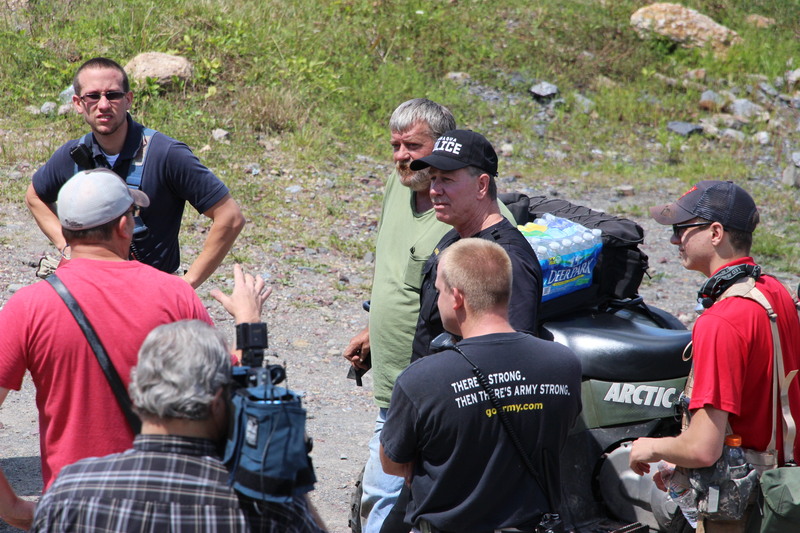 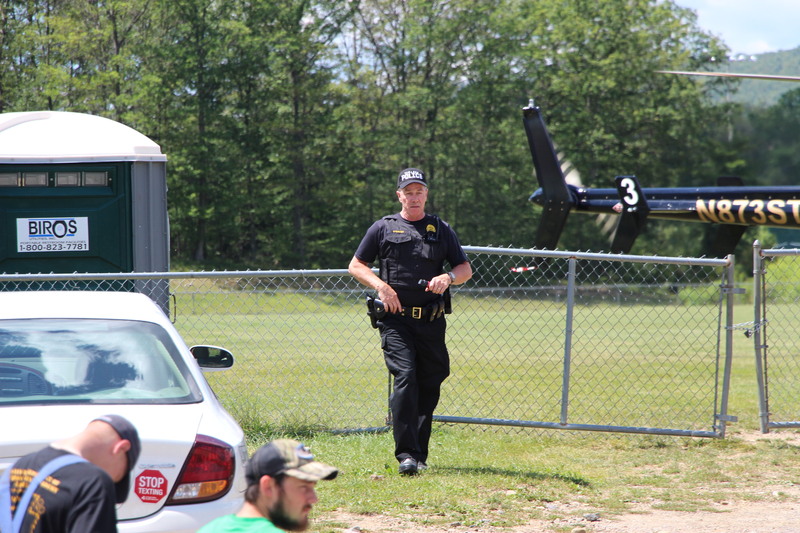 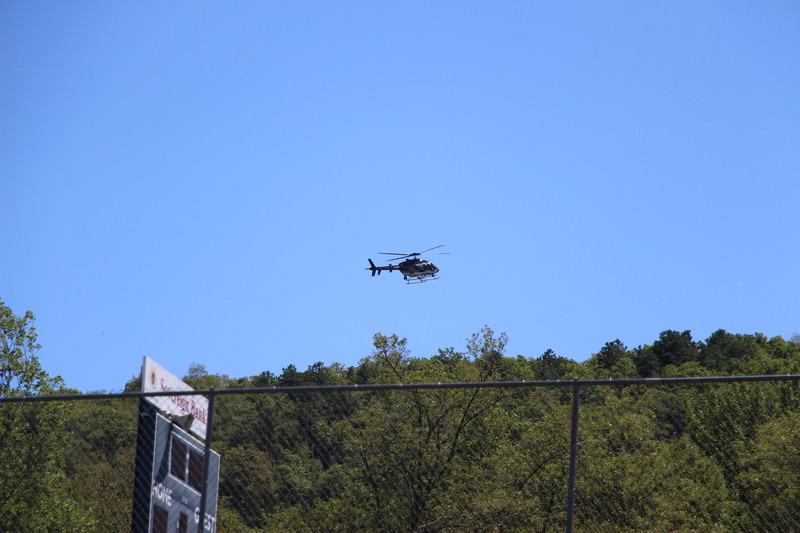 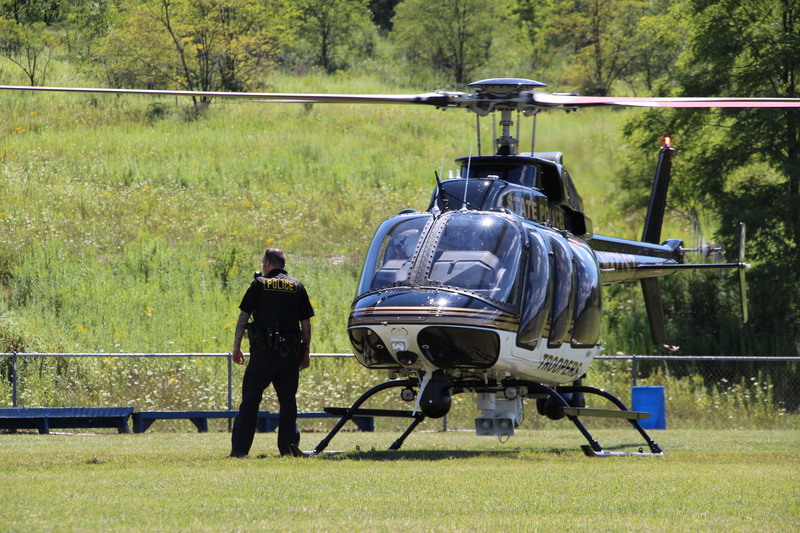 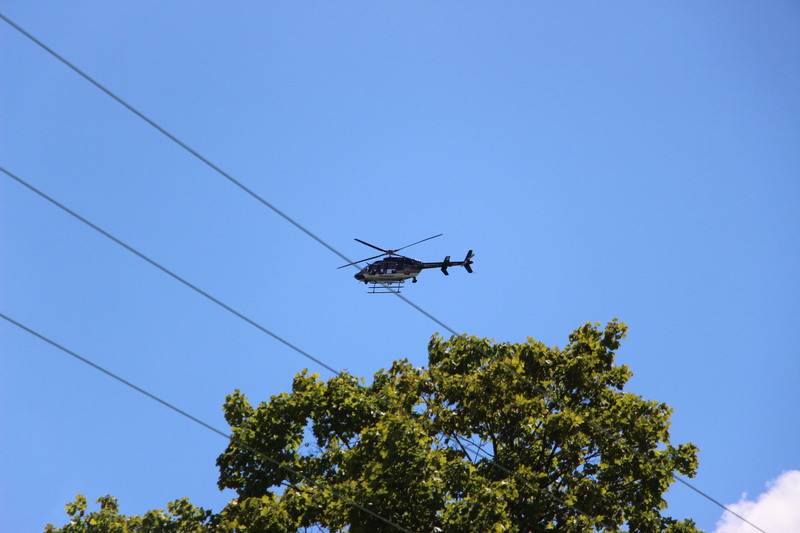 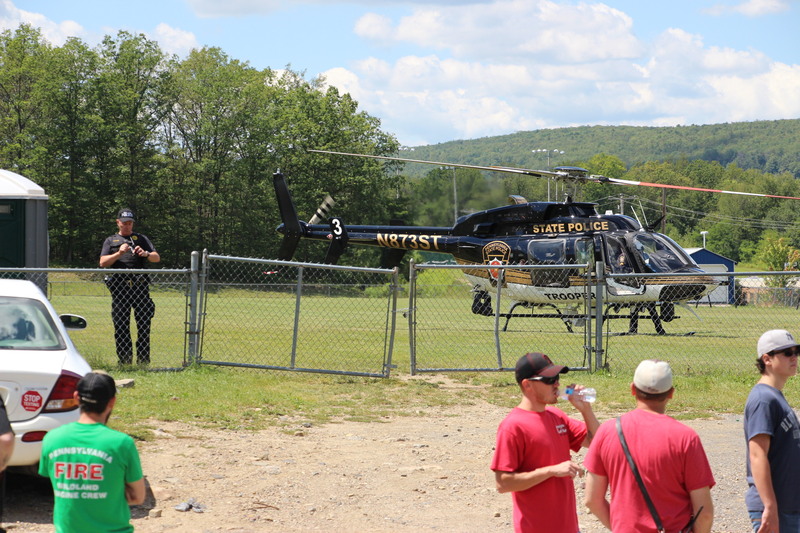 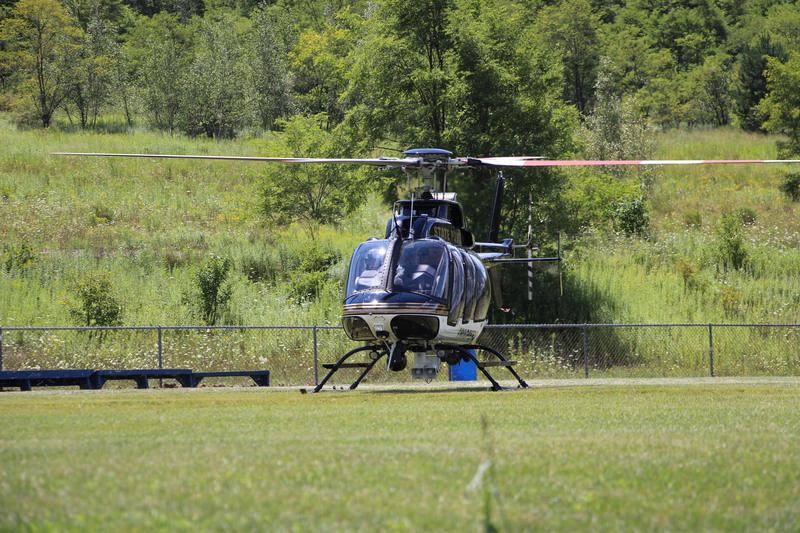 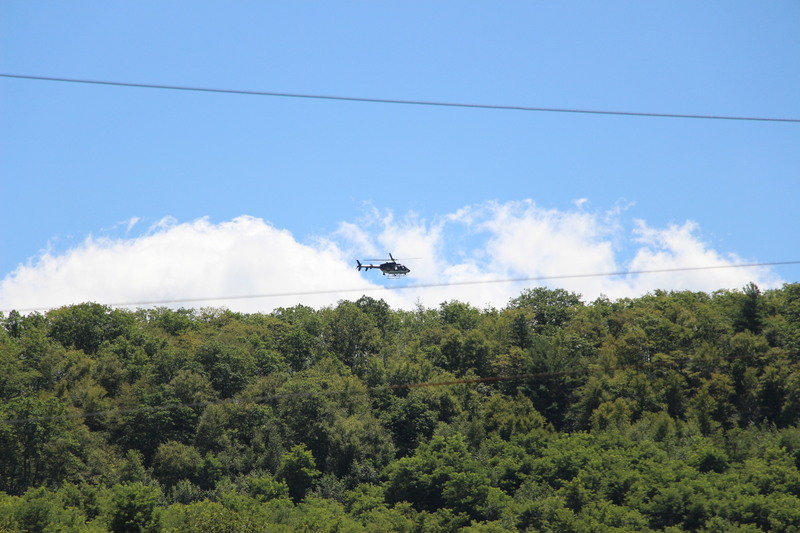 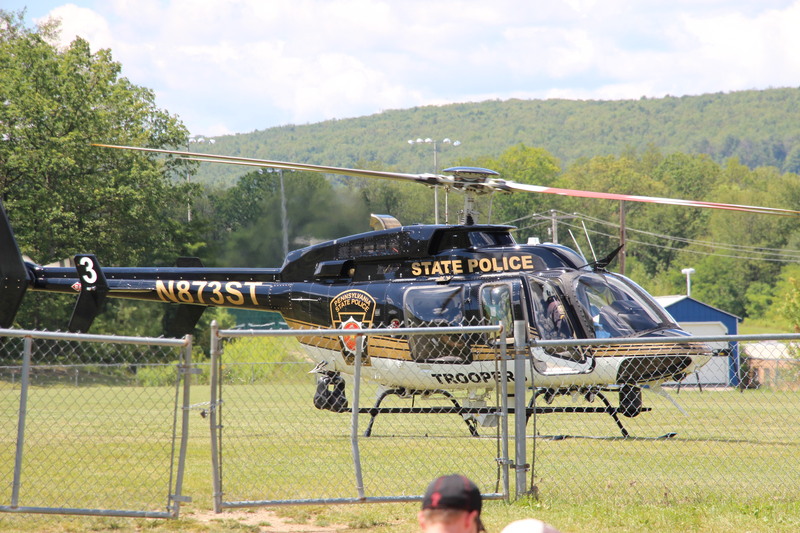 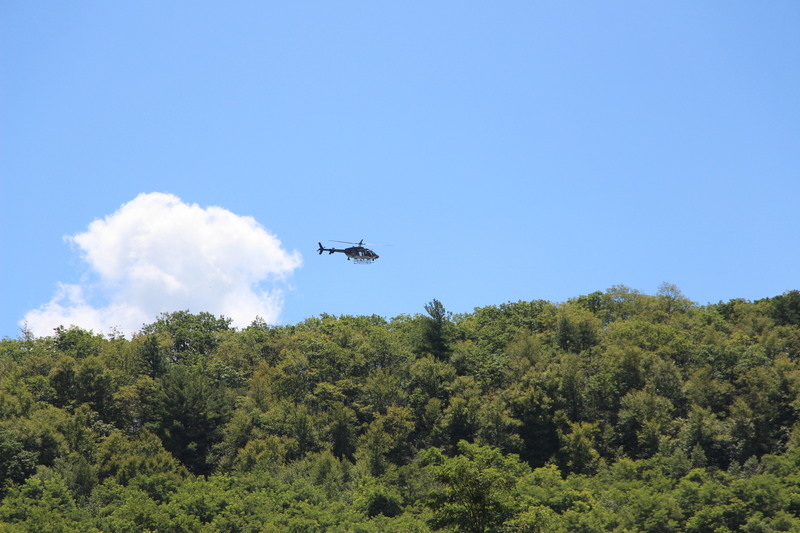 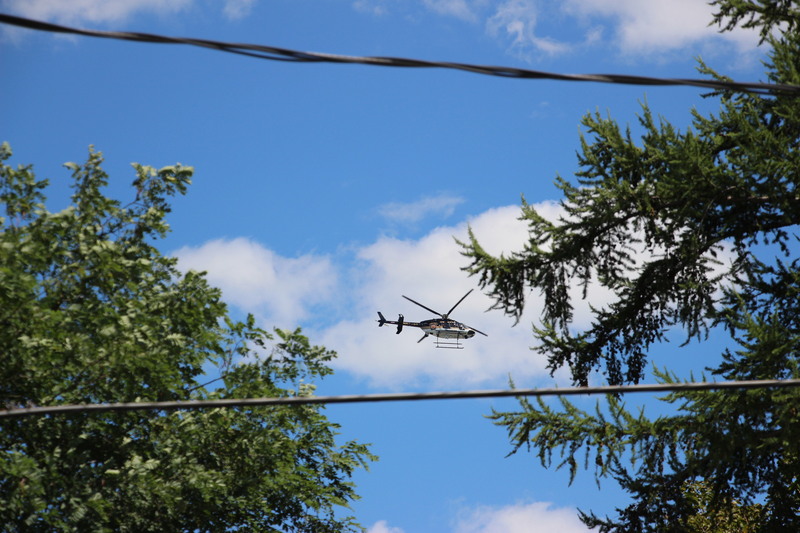 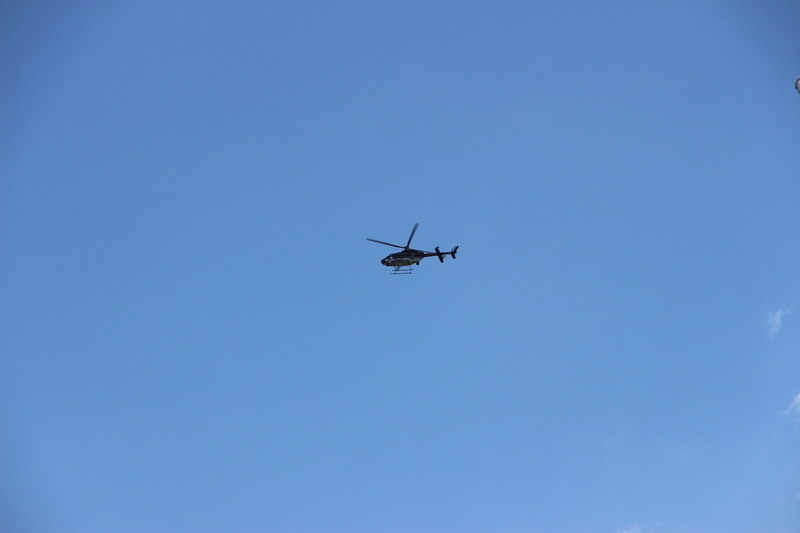 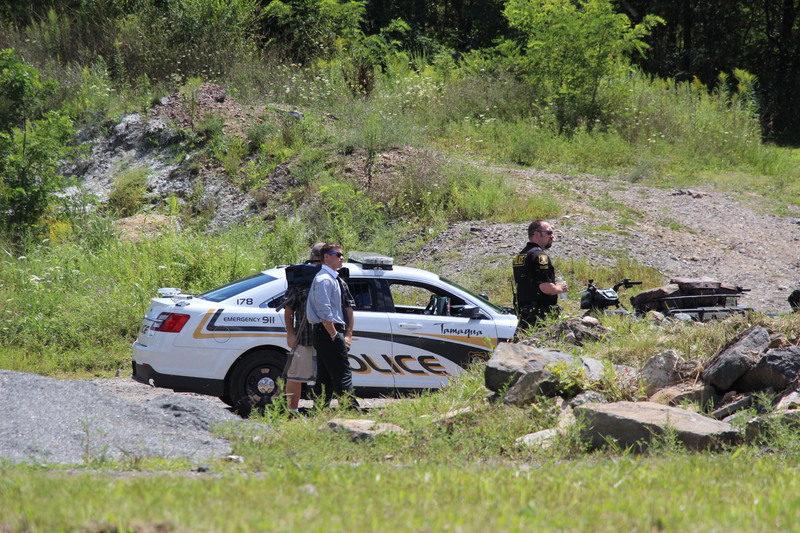 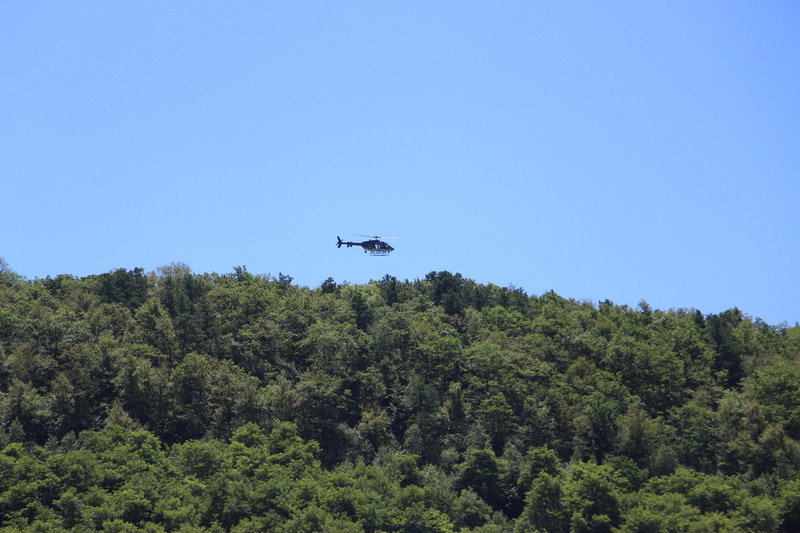 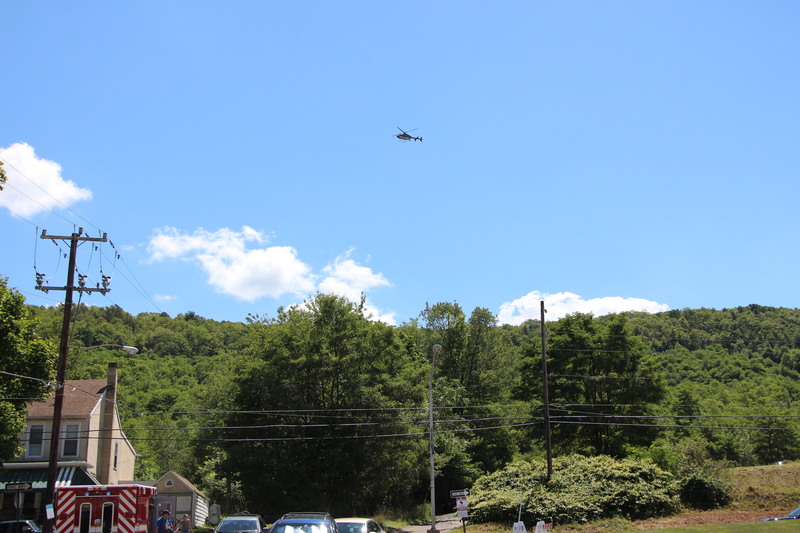 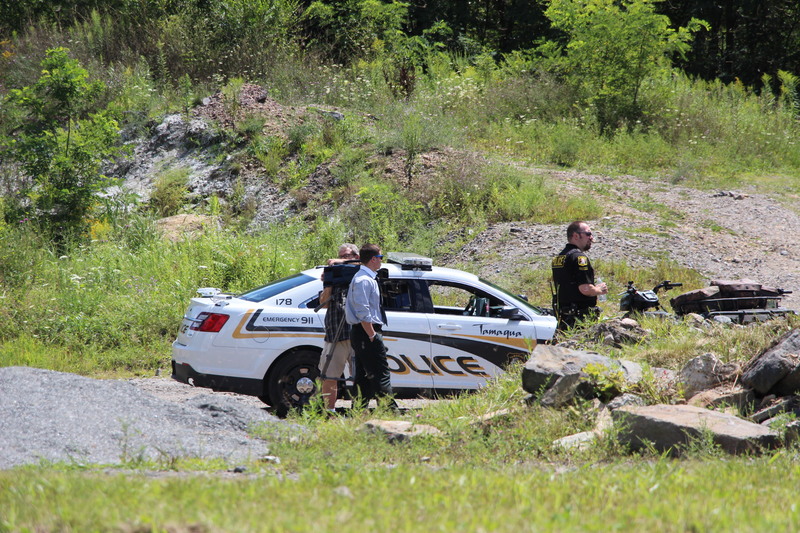 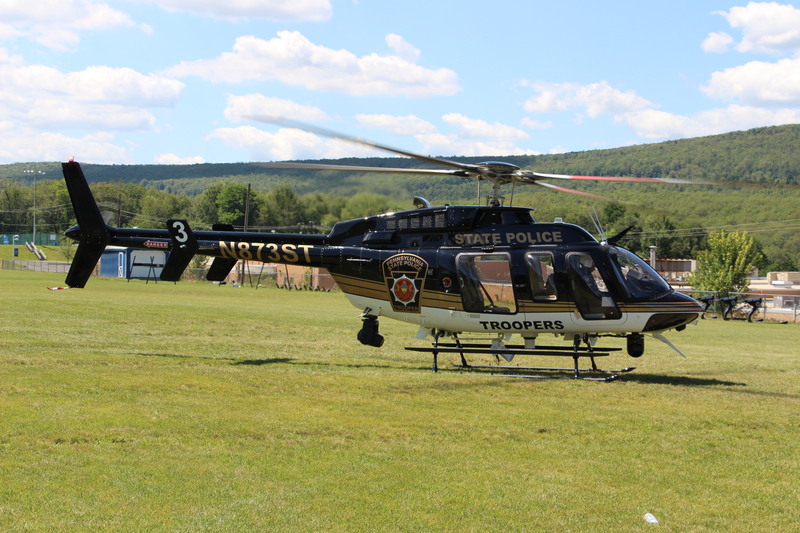 State Police searched both sides of the mountain with a helicopter. 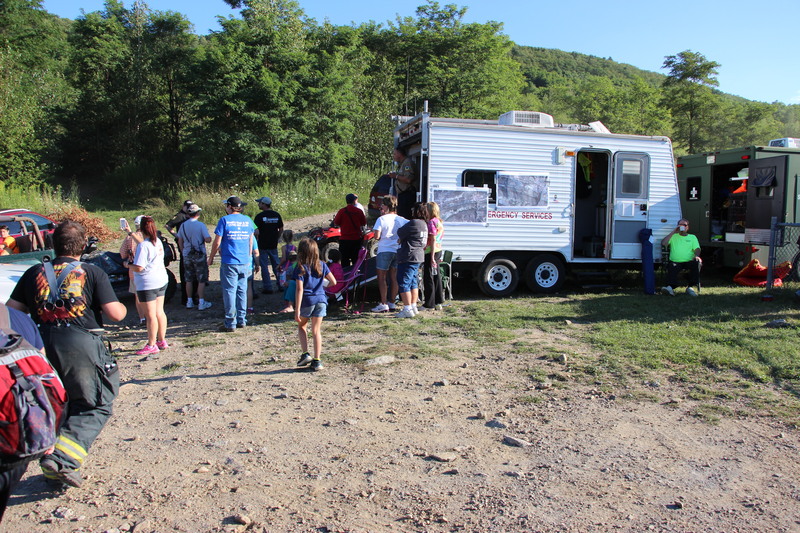 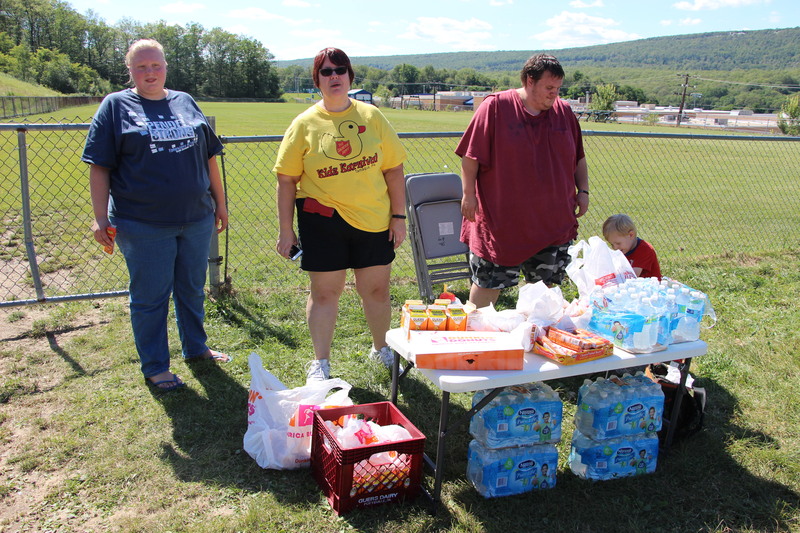 Also responding were members of the Tamaqua Salvation Army, who set up a food and refreshment station for all the responders. 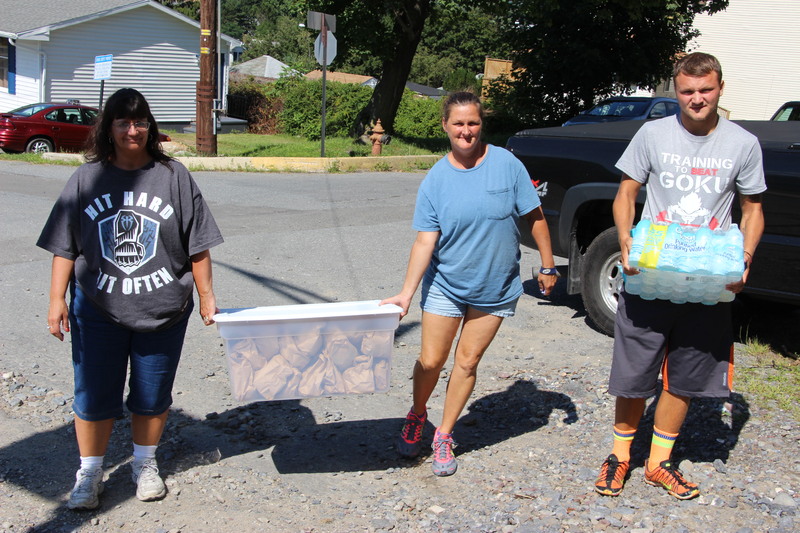 Tamaqua Major Sharon Whispell stated her appreciation to a number of businesses and organizations that donated items during the search. 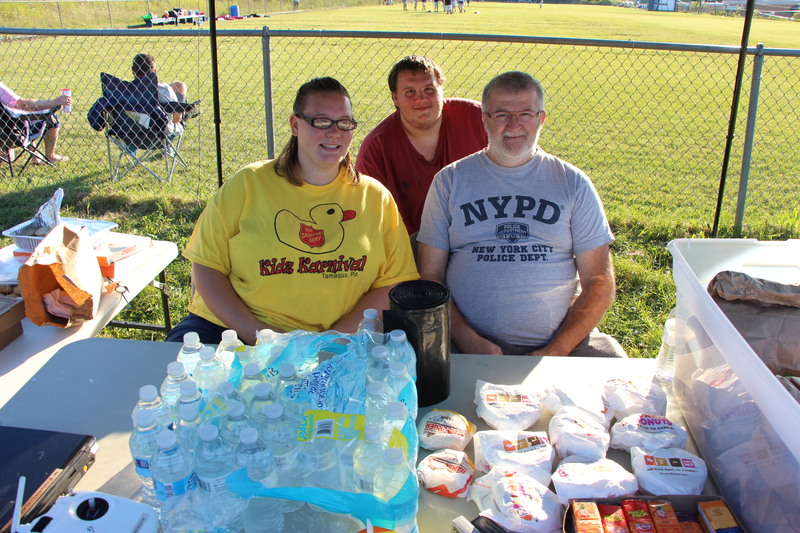 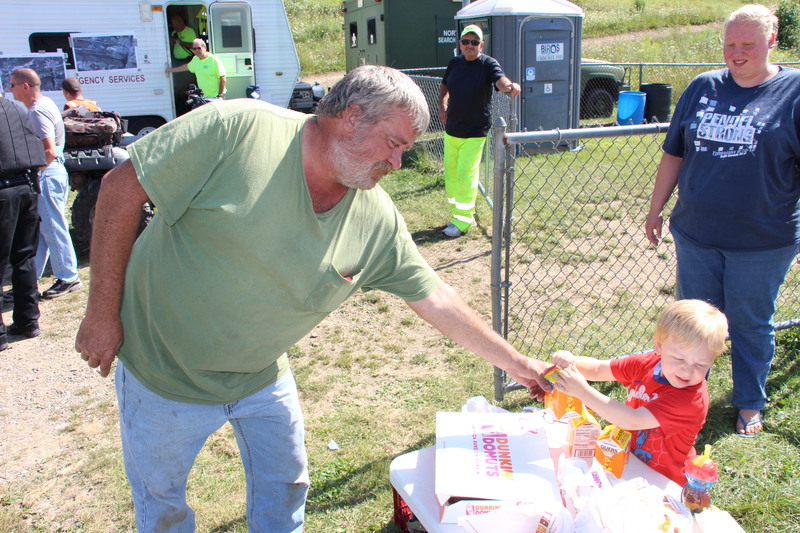 They included La Dolce Casa, Burger King in Tamaqua, South Ward Playground volunteers, and a couple community members. 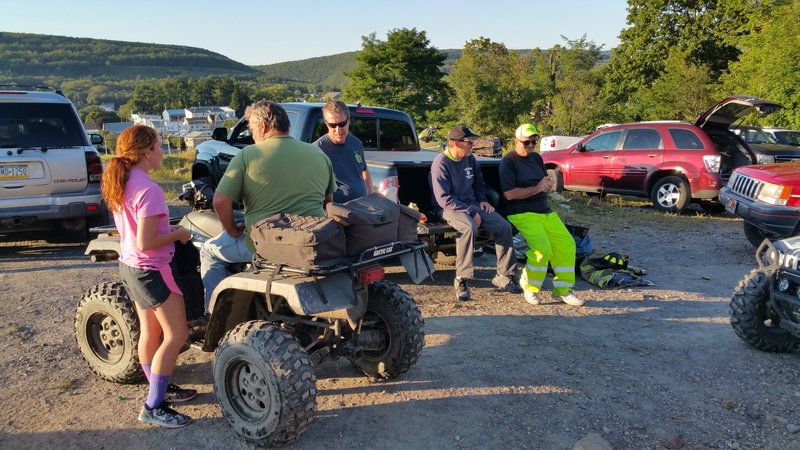 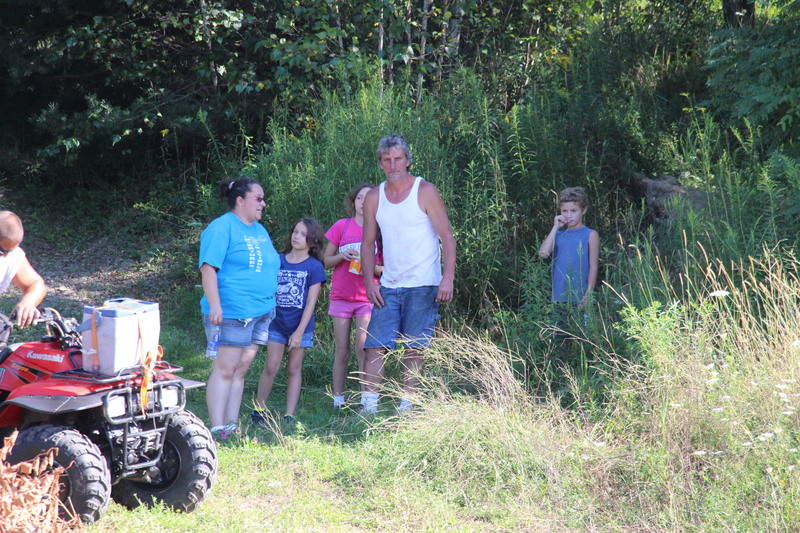 Family members, who stated they last saw Jesse Tuesday afternoon, spent the last two days searching Sharp Mountain for Jesse. 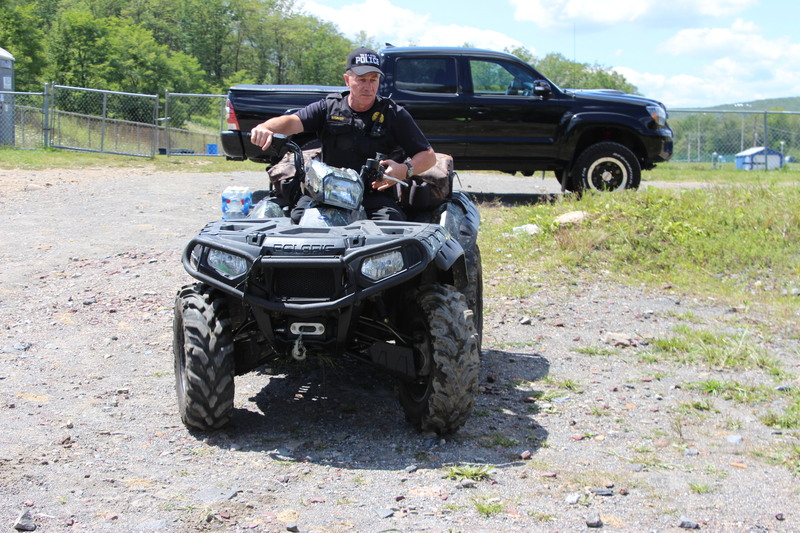 They added that his last communication was via a short cell phone call to his girlfriend, Rachel Carroll, at around 8:45 PM on Tuesday. 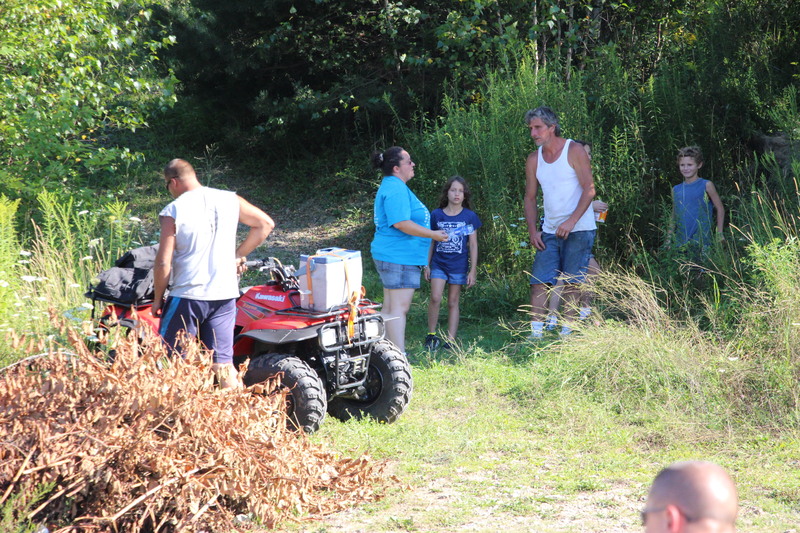 Family members noted that Jesse sounded frantic and ask for help. 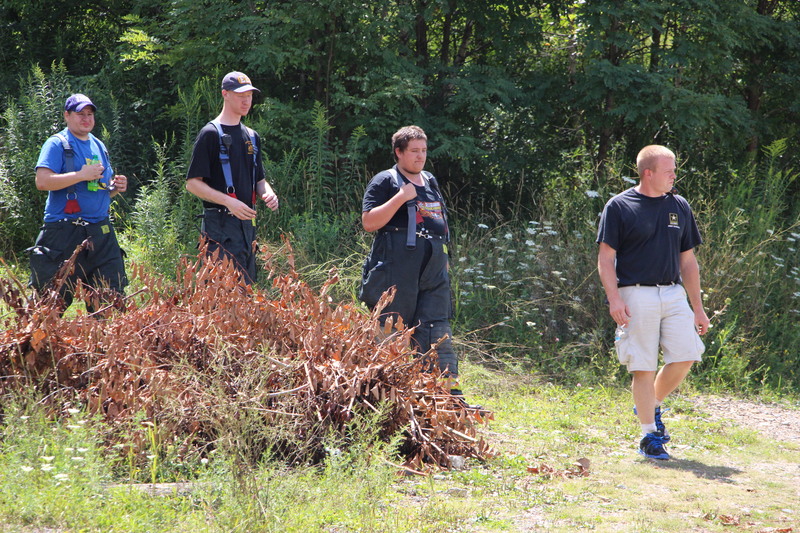 Search parties had located a backpack, although it didn’t match the one he normally carried. 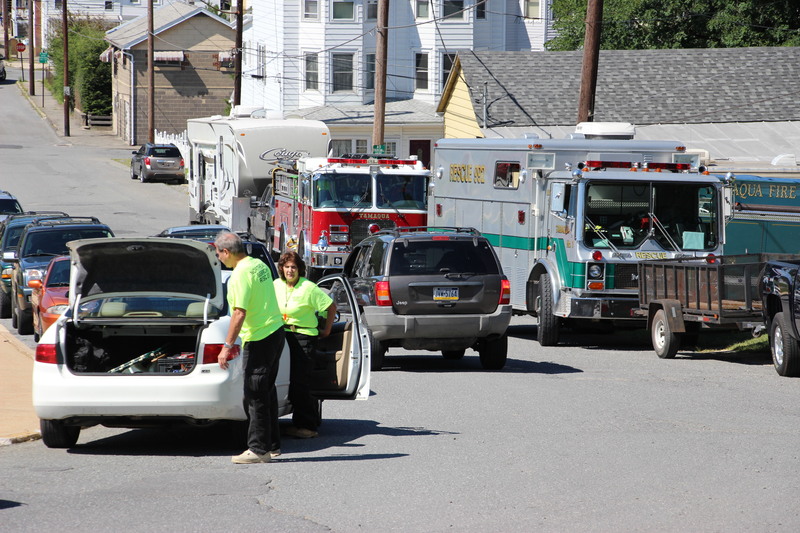 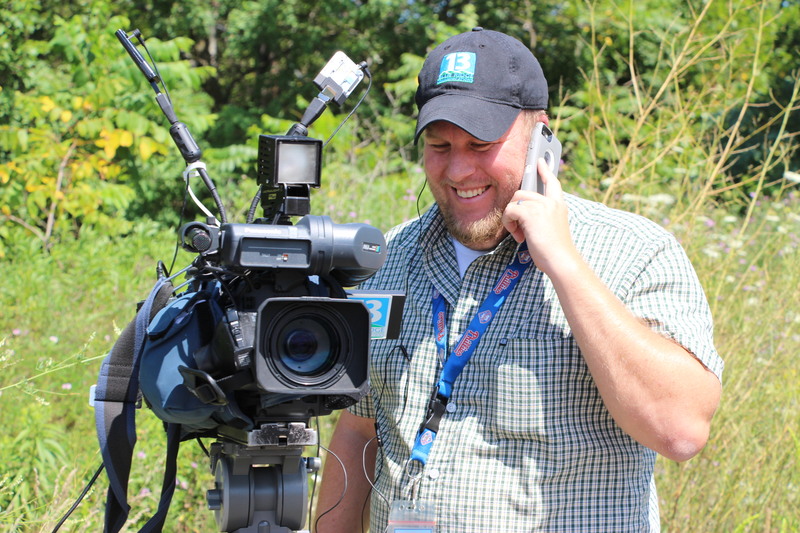 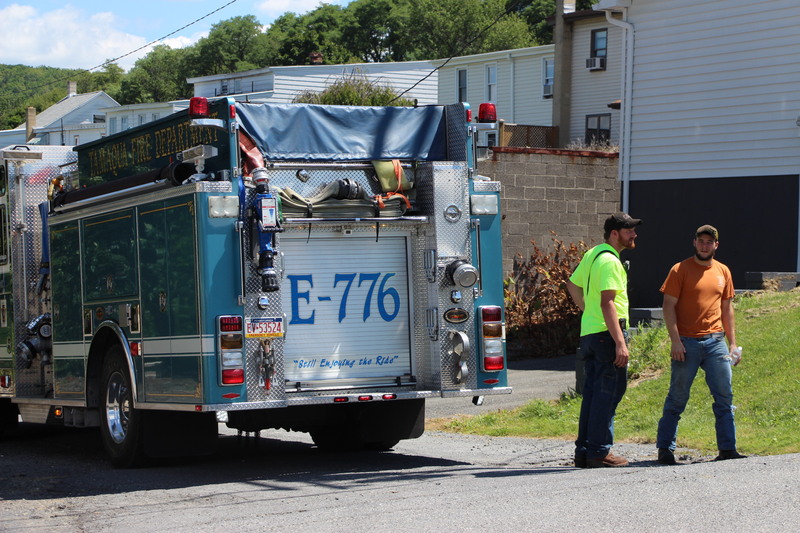 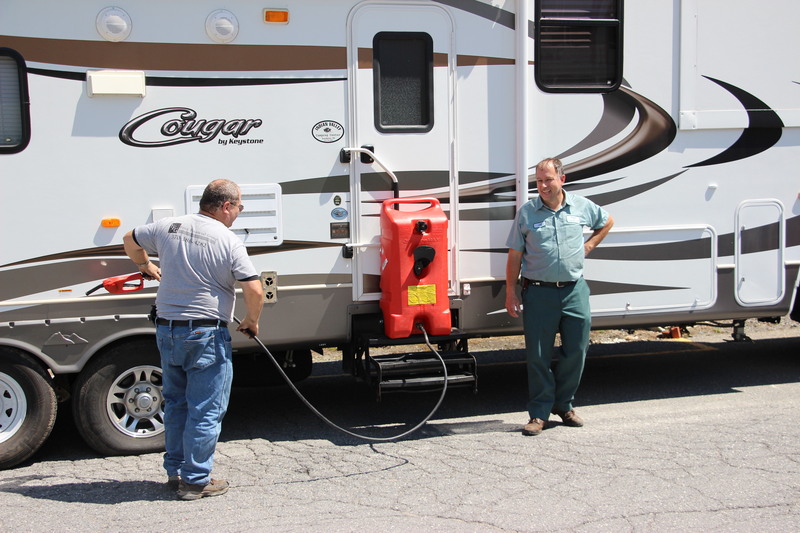 Click HERE to view a related story on the WNEP TV website.